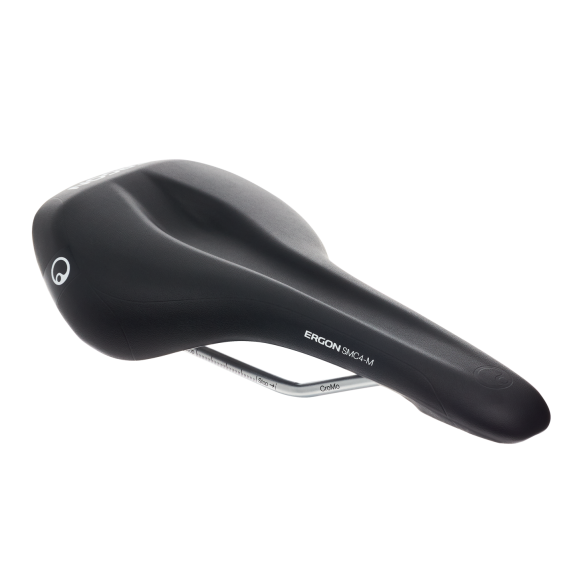 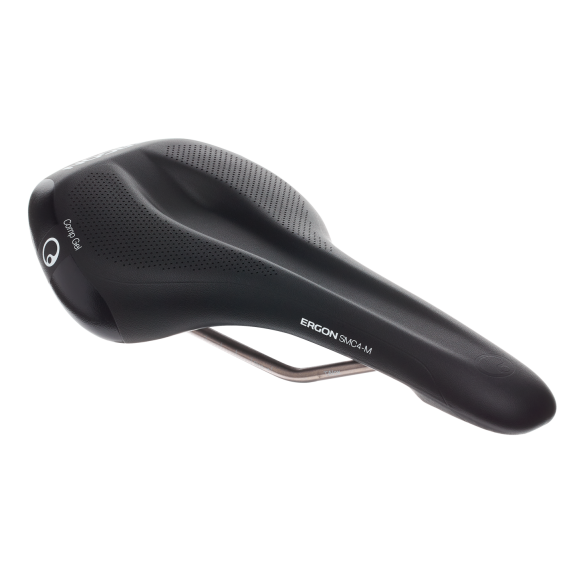 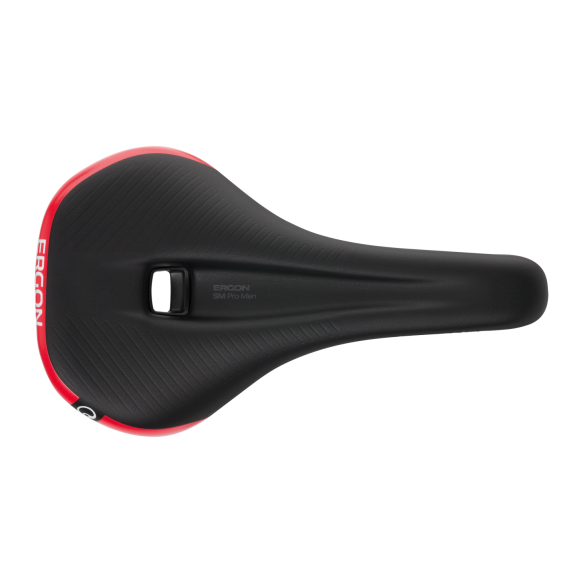 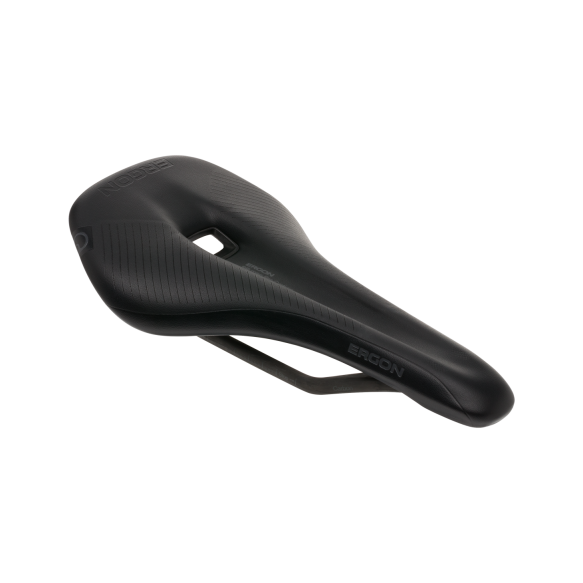 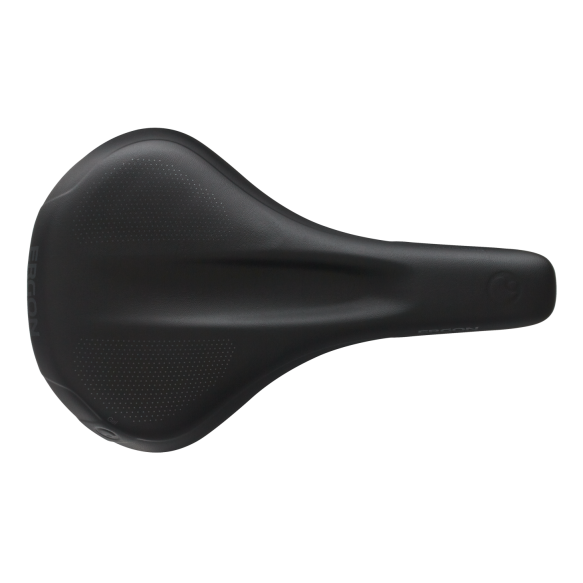 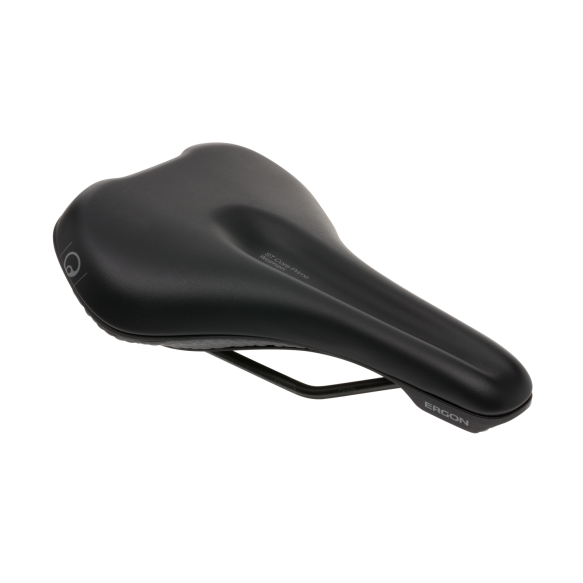 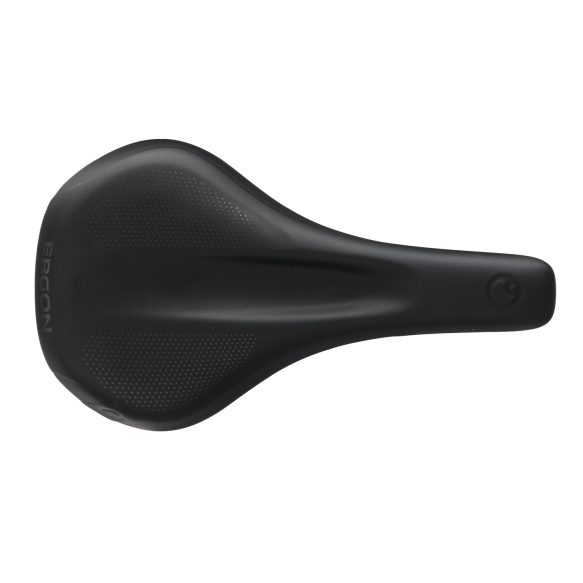 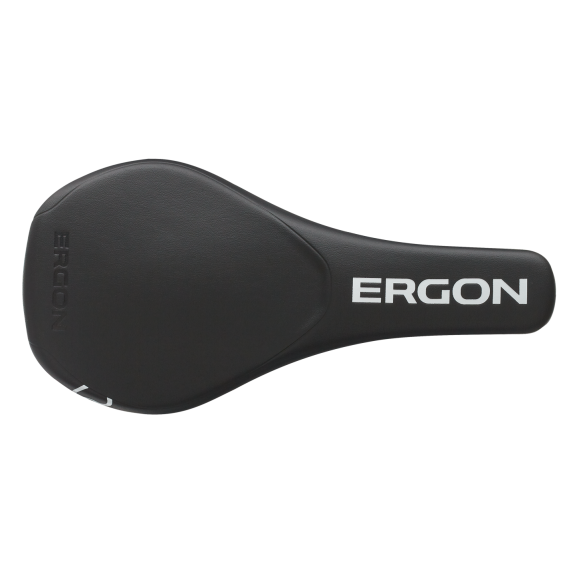 The ergonomic saddle revolution for touring bikes ensures maximum long-distance comfort for men and women. 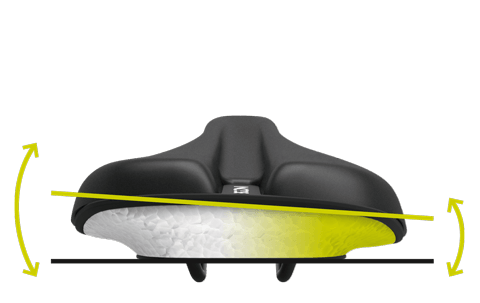 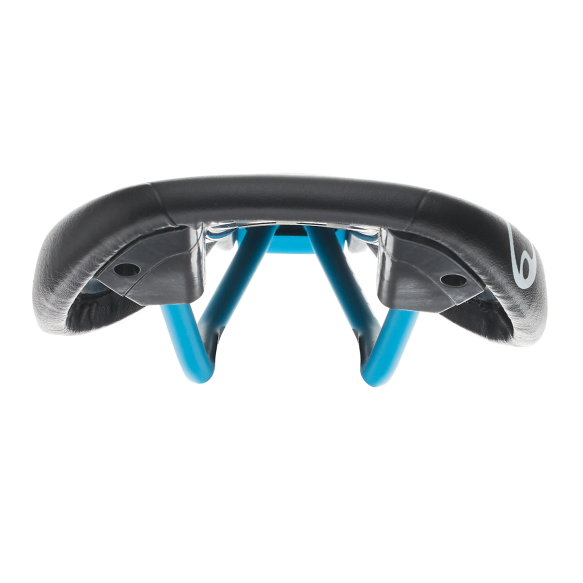 The floating TwinShell concept with the Ergonomic Core supports the natural pelvic movements while pedaling, actively relieves the sit bones, and reliably dampens bumps caused by the riding surface. The core consists of Infinergy®, the latest E-TPU material bringing state of the art technology in responsiveness and damping. 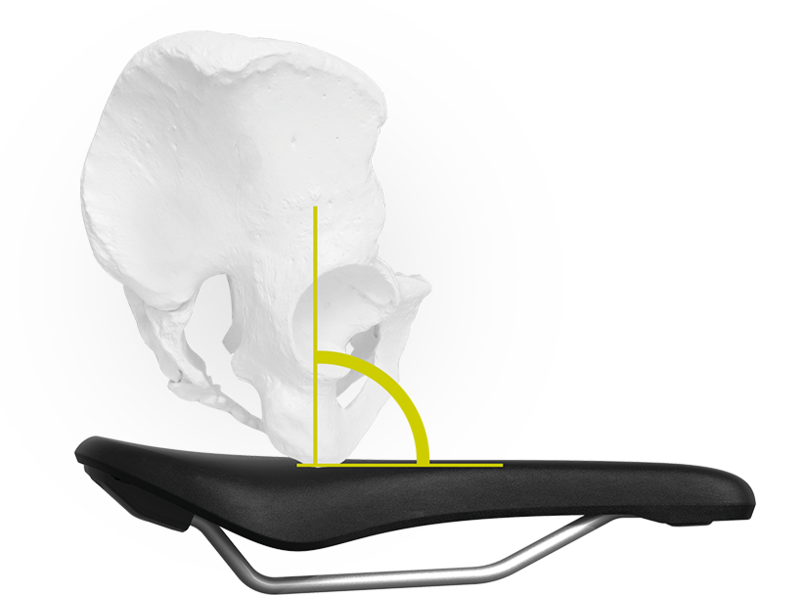 The anatomically adapted seating area has been optimized in elaborate studies and field tests for men and women. Thanks to the significant relief channel, numbness and pain are effectively prevented. 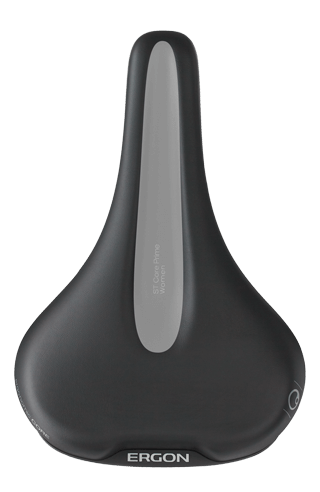 The new ST Core Saddle is tailored in detail to the needs and requirements of touring and e-bike riders around the world. 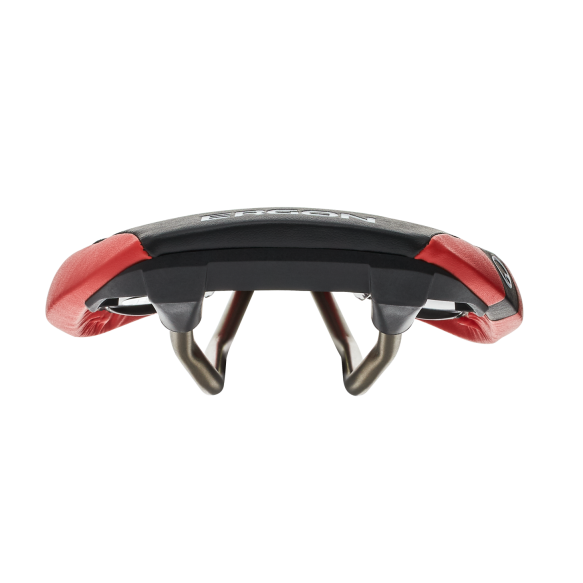 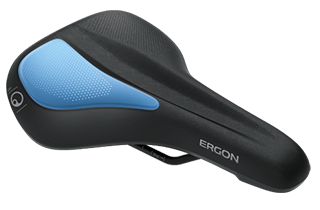 The Dynamic Saddle With Ergonomic Core. 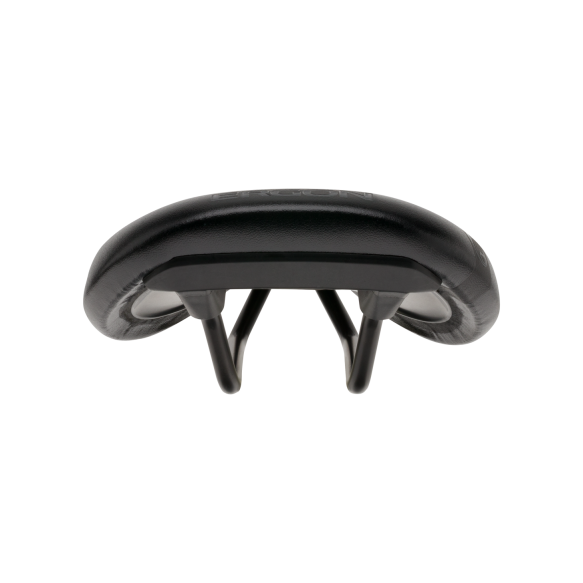 Prevents Numbness in the Soft Tissue Area, Reduced Sit Bone Pressure, Medical Back Support and Floating Motion Support. In addition to the construction of the saddle, the gender specific form of the seating area is also brand new. 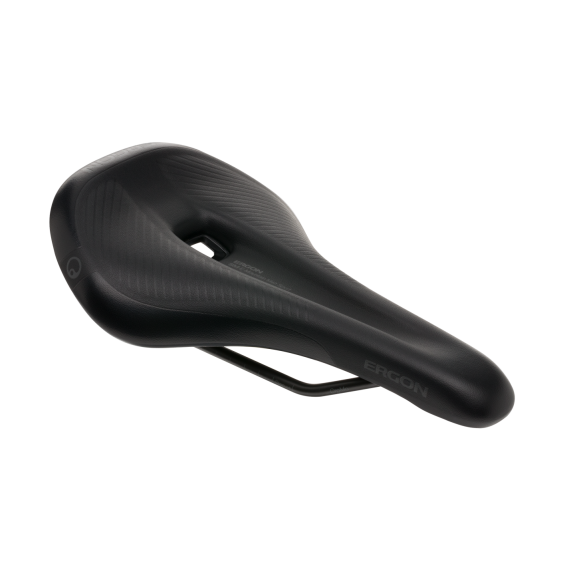 In the genital area, men and women differentiate strongly. 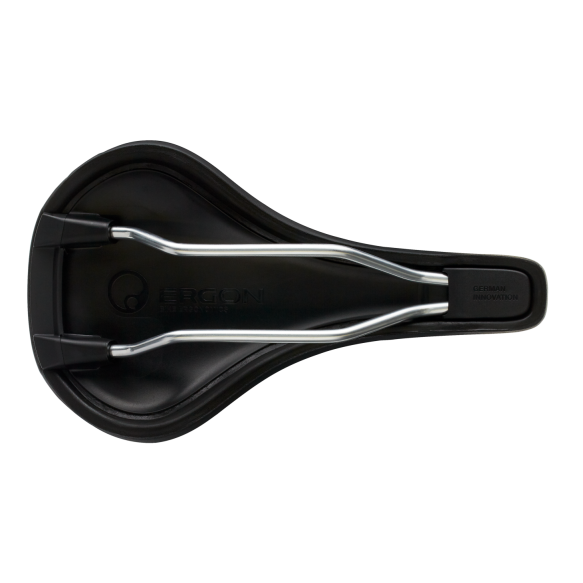 It is most often in this area that pressure points lead to numbness and difficulties while riding. 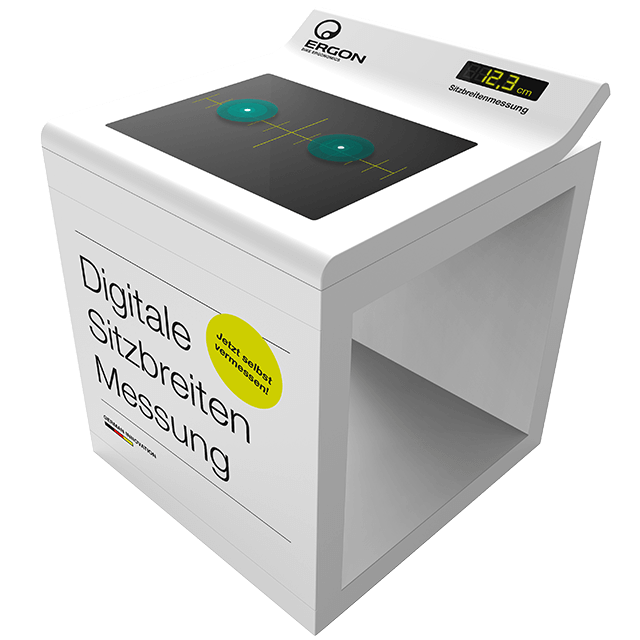 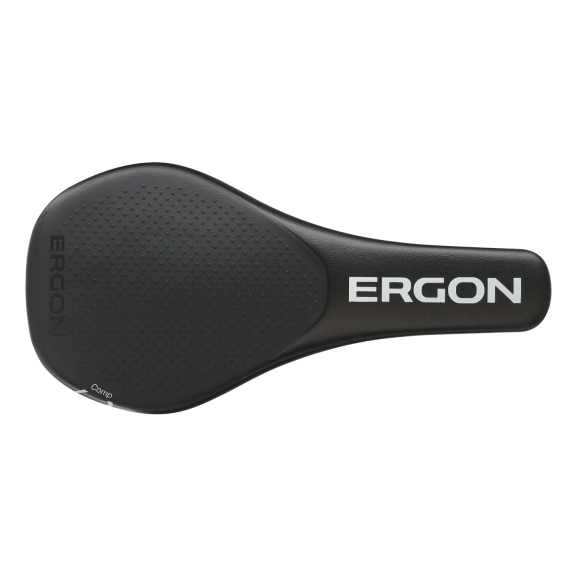 Ergon has designed the relief surfaces using the latest scientific research and extensive testing. 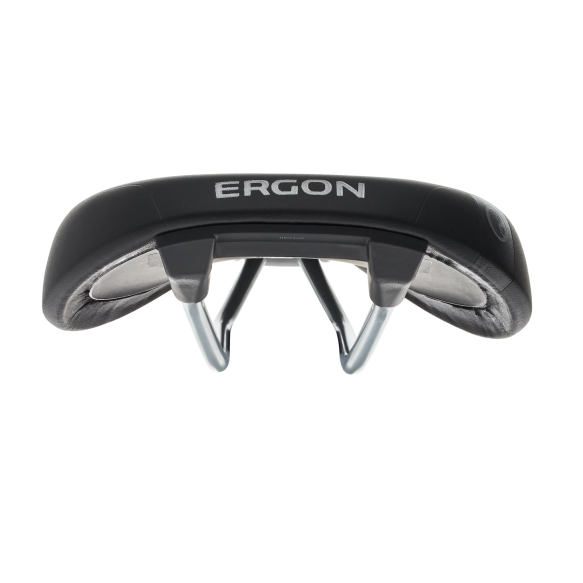 The results are gender specific shapes and relief channels – creating maximum comfort for women and men. 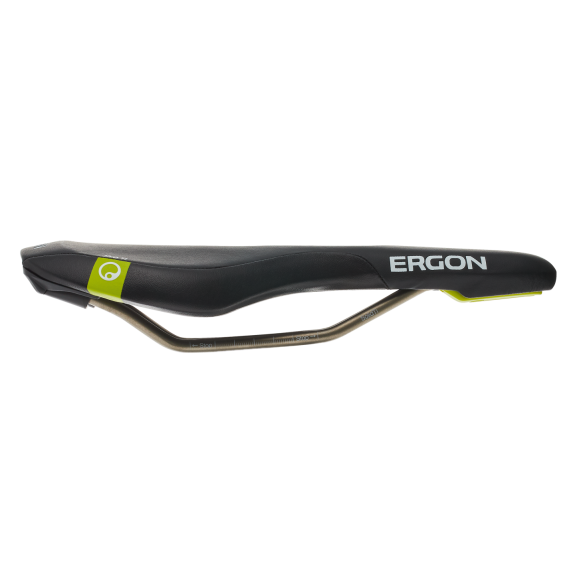 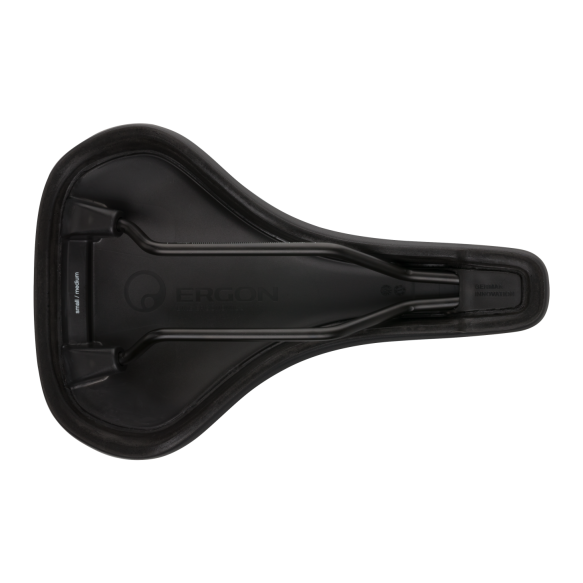 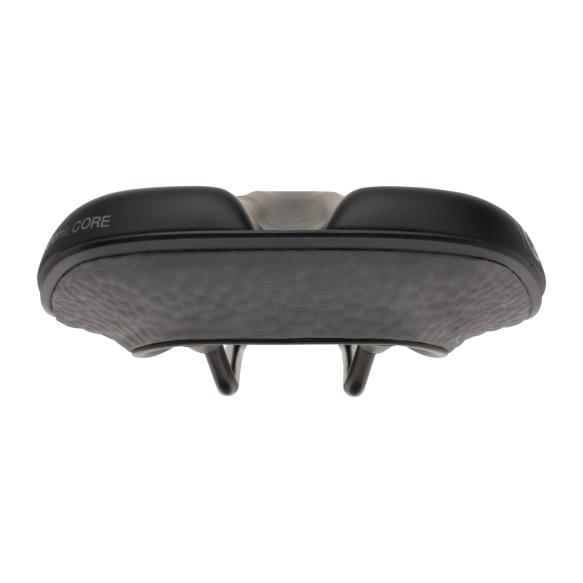 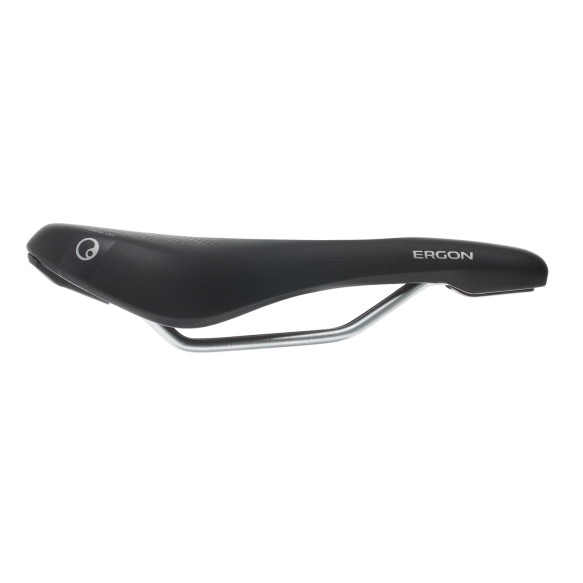 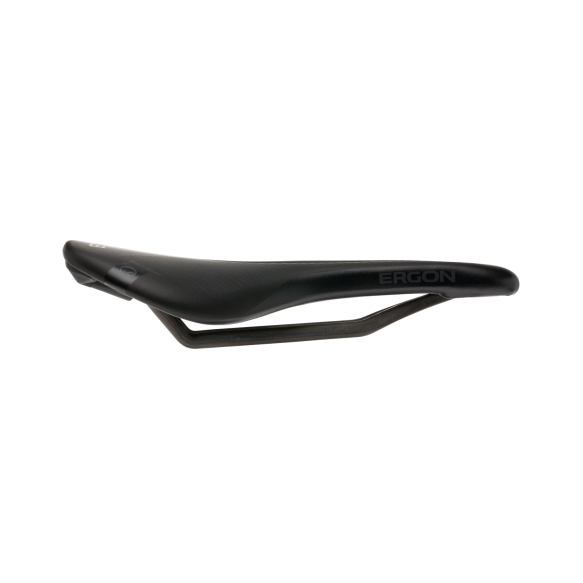 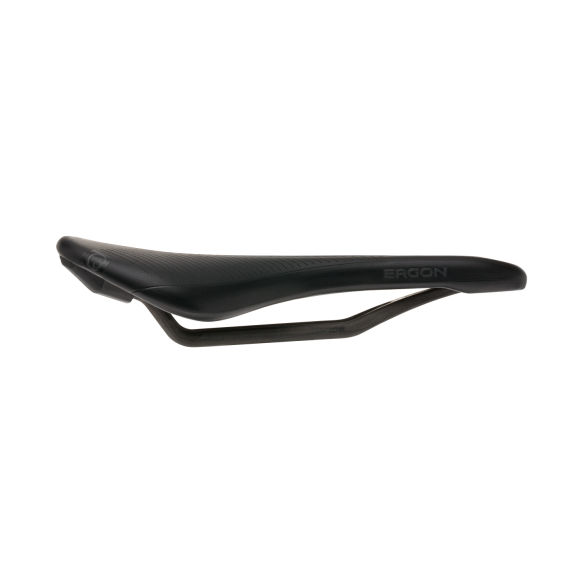 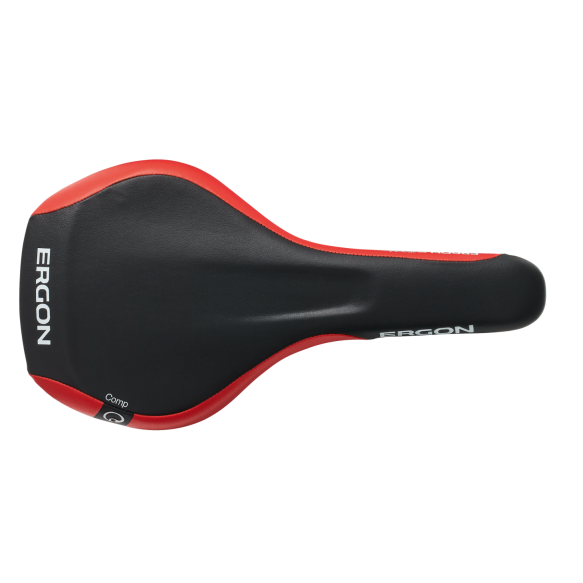 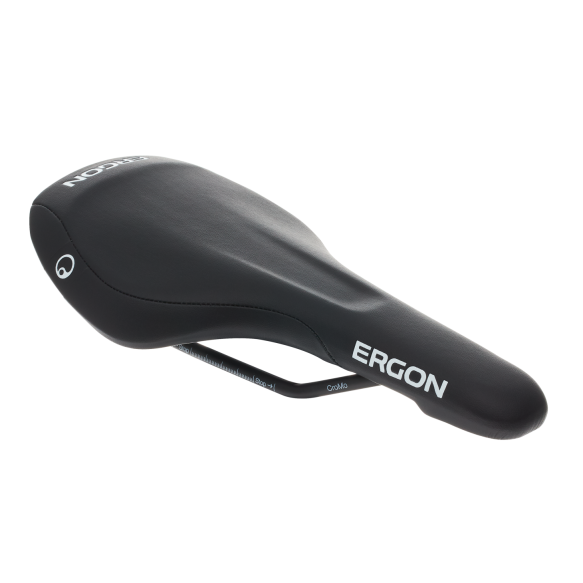 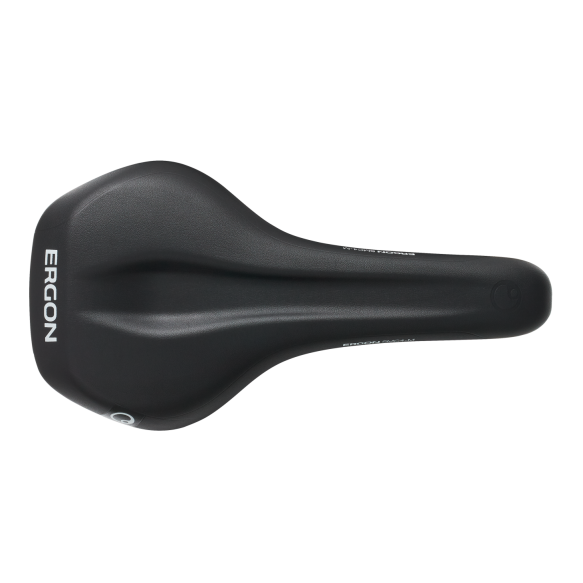 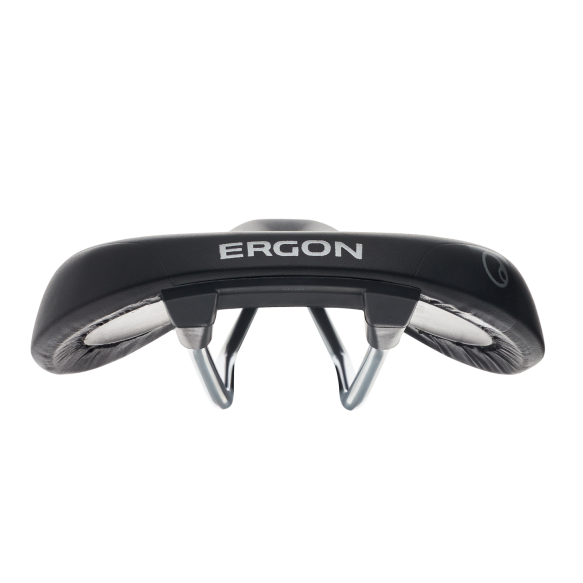 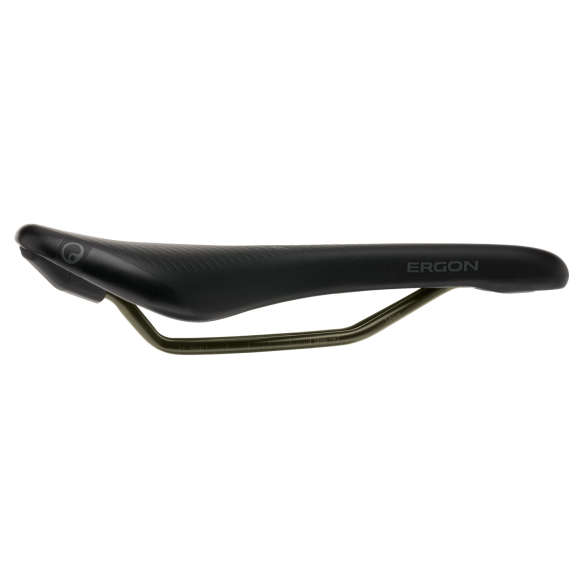 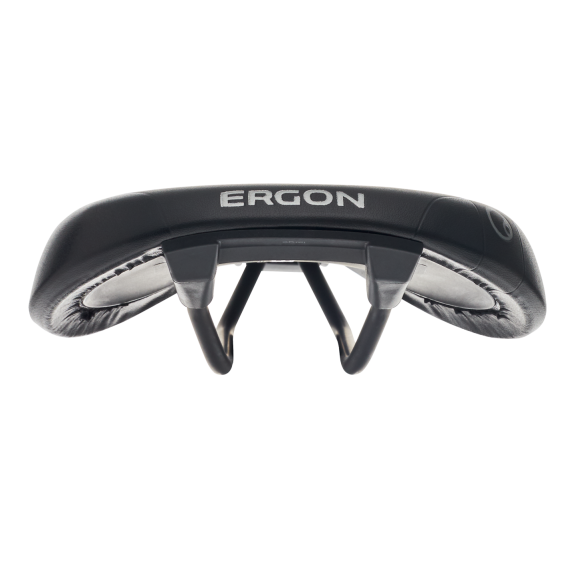 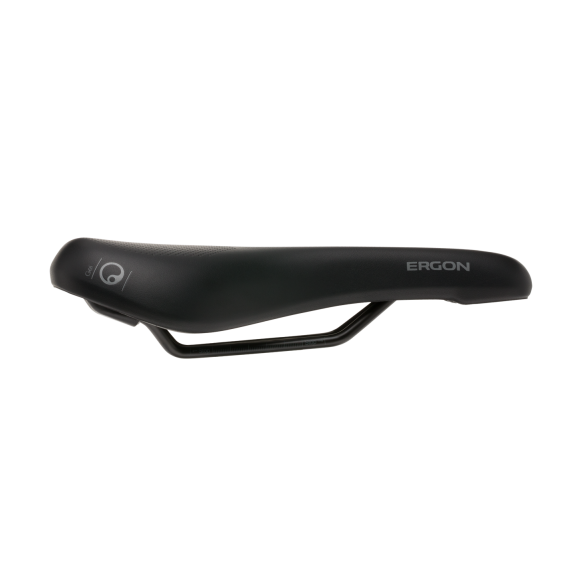 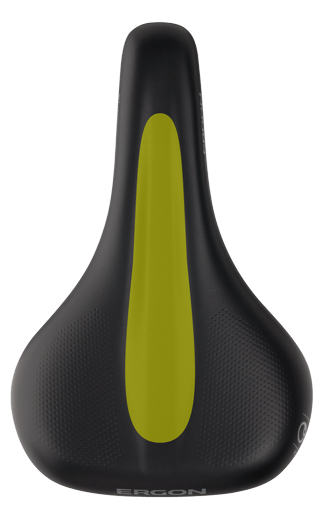 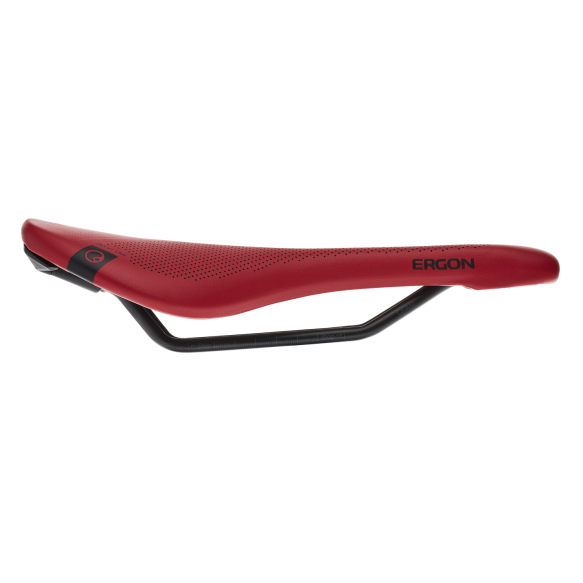 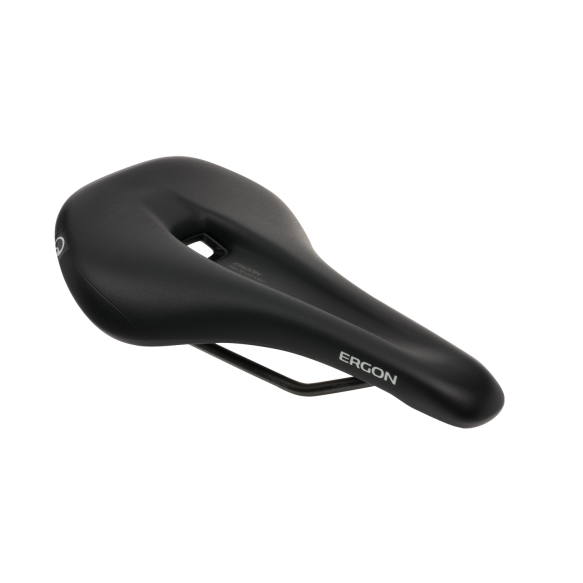 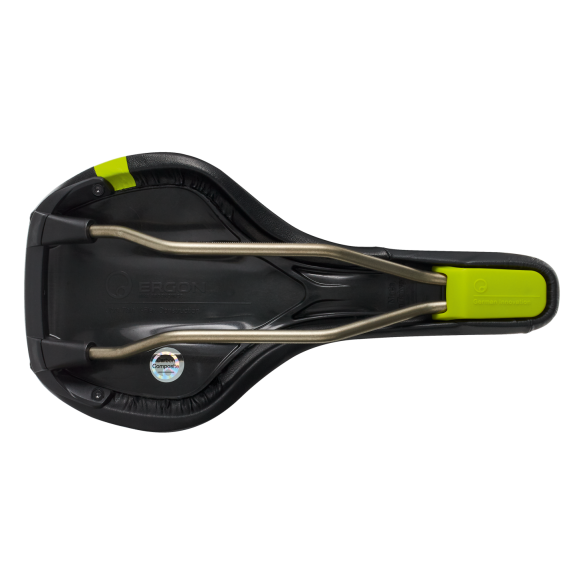 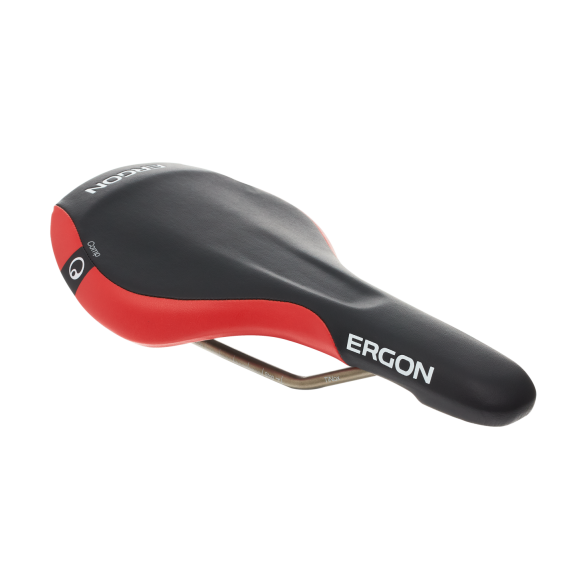 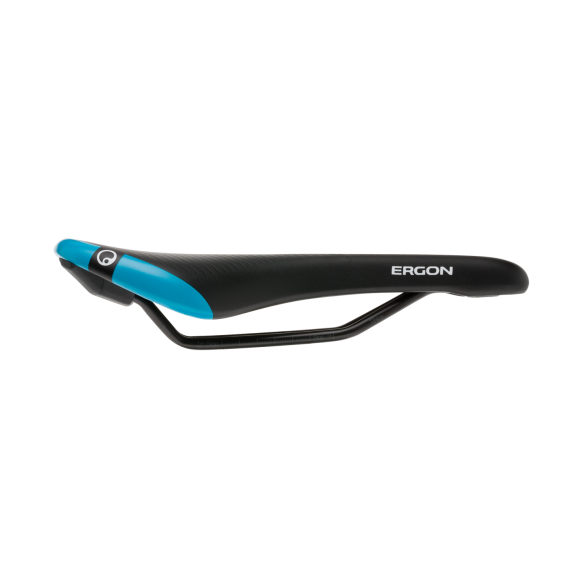 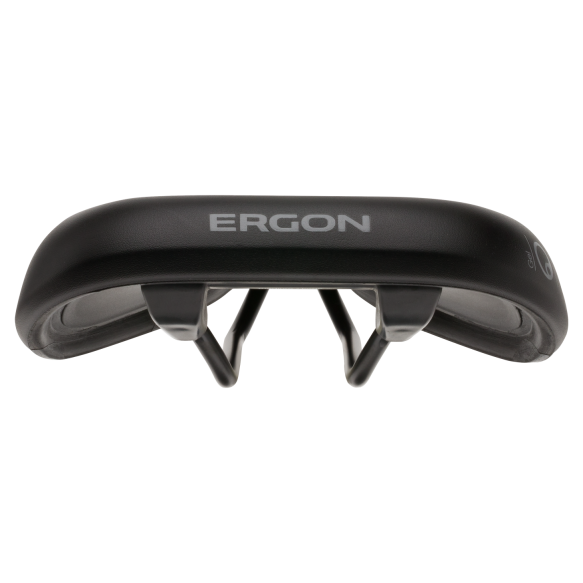 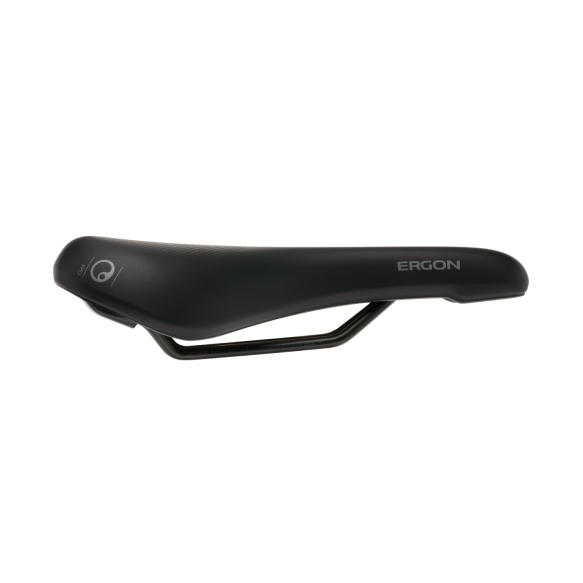 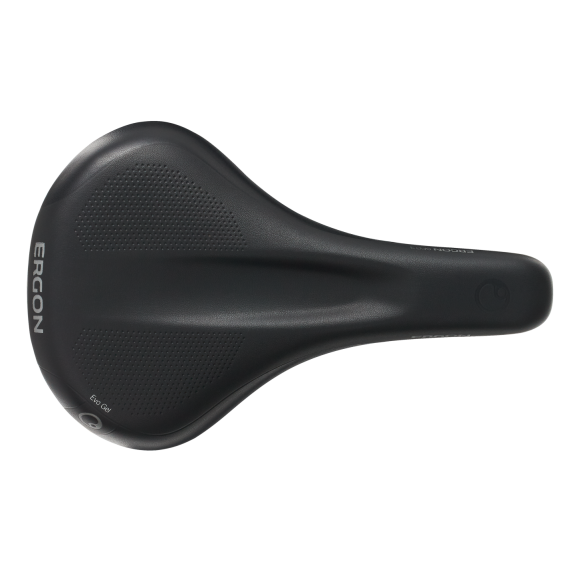 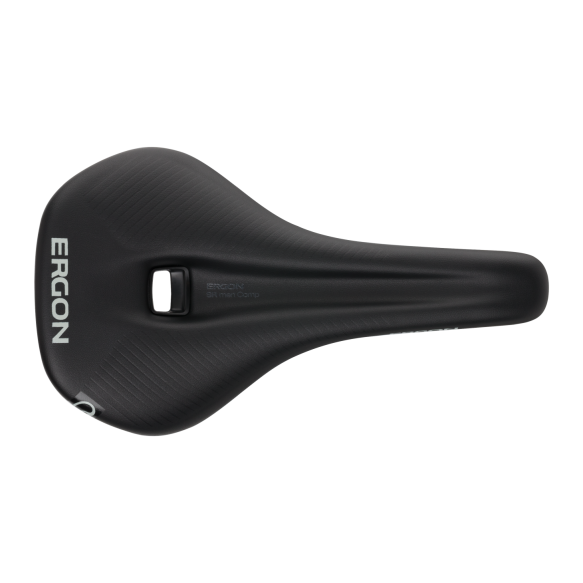 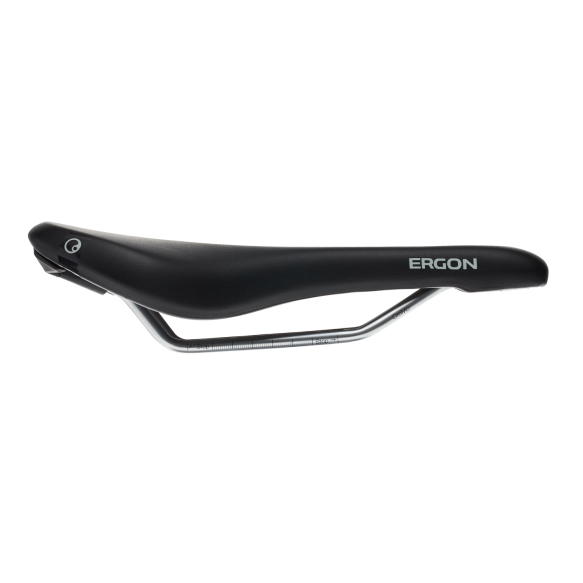 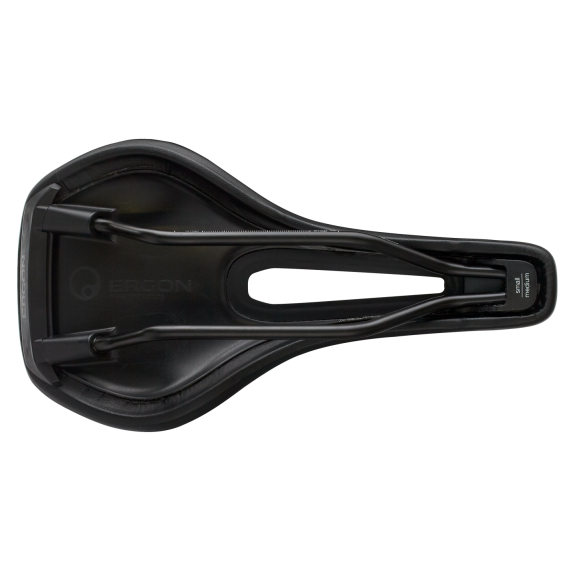 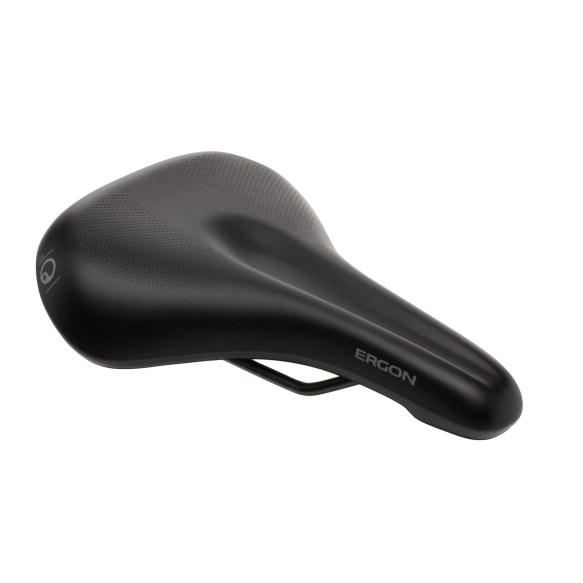 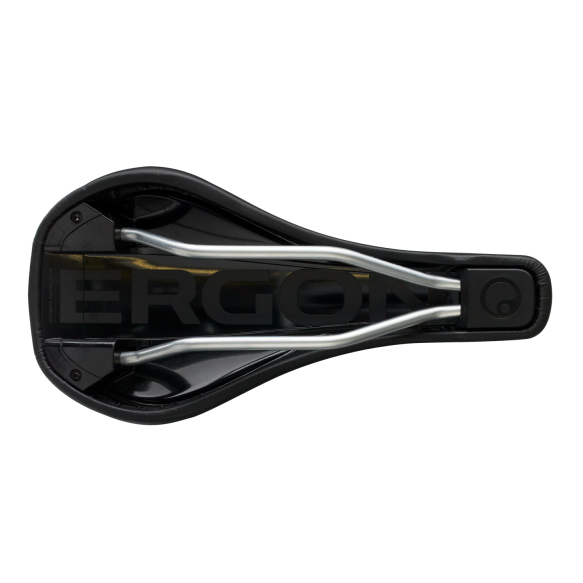 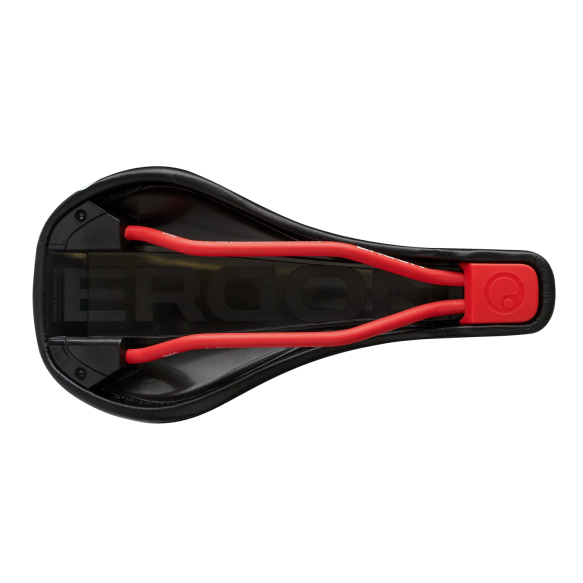 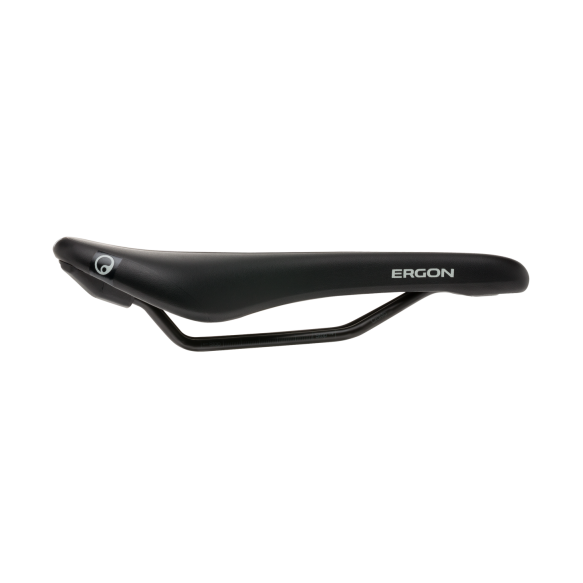 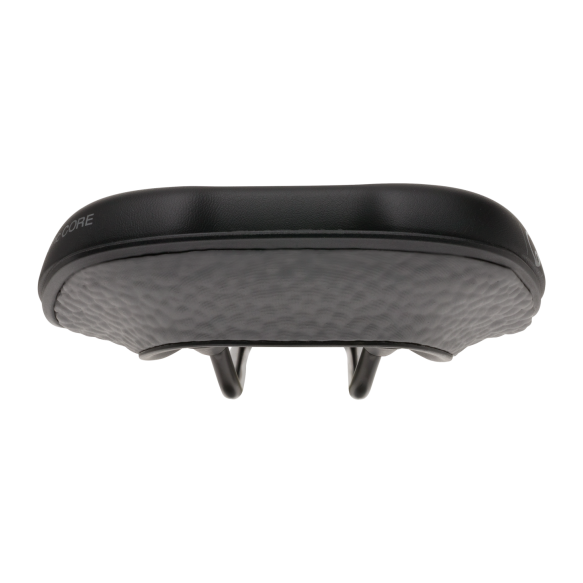 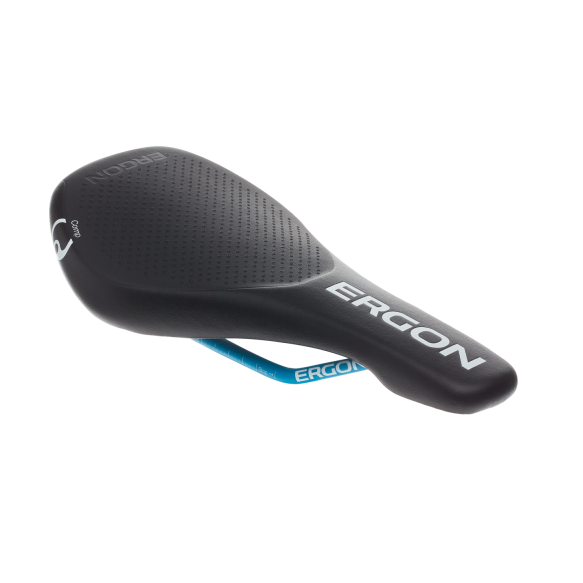 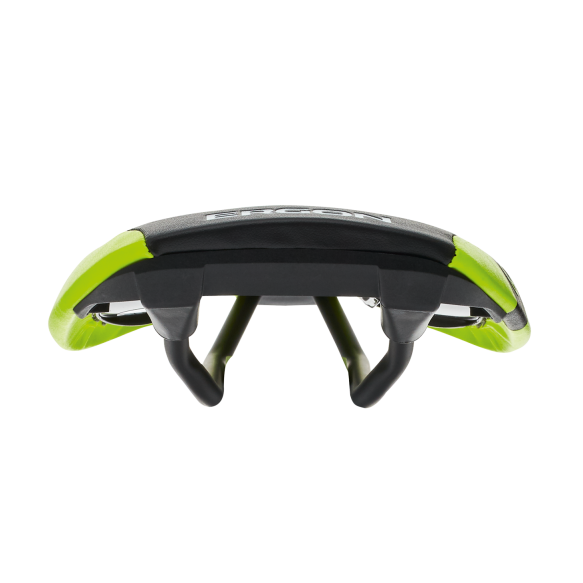 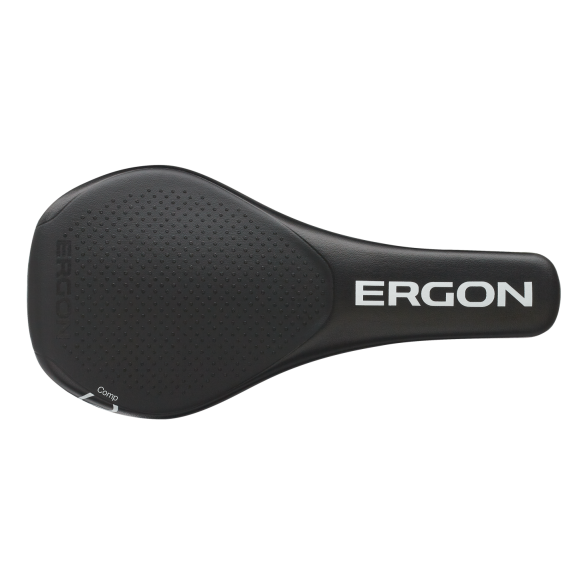 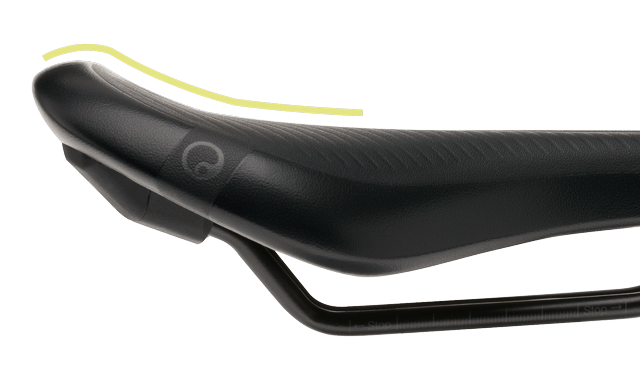 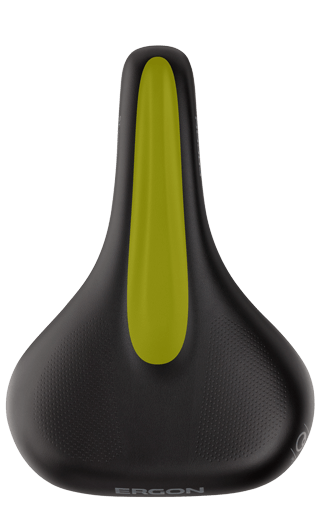 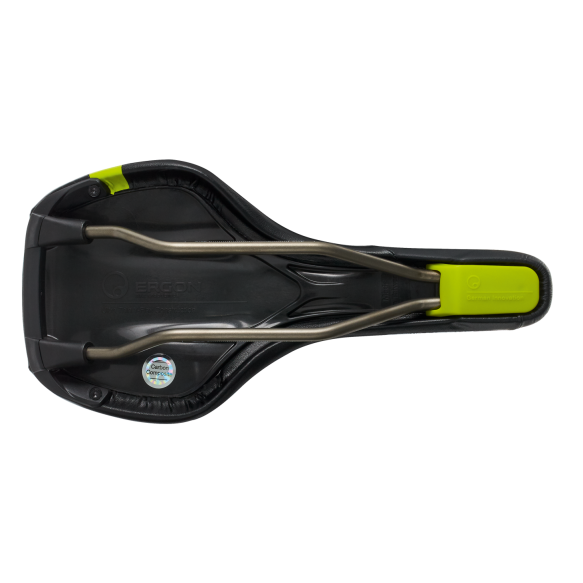 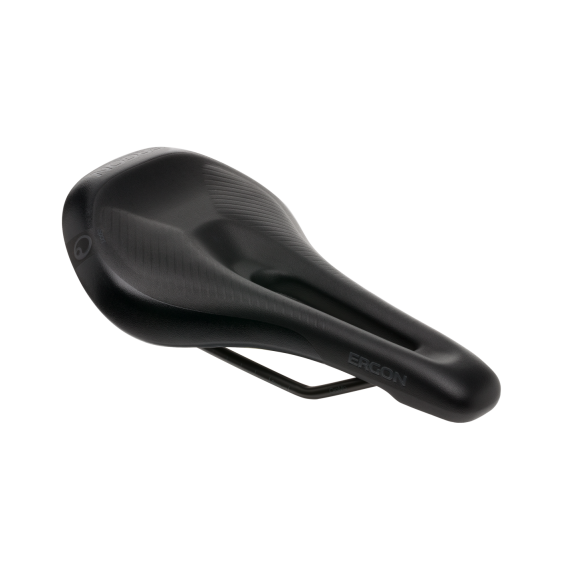 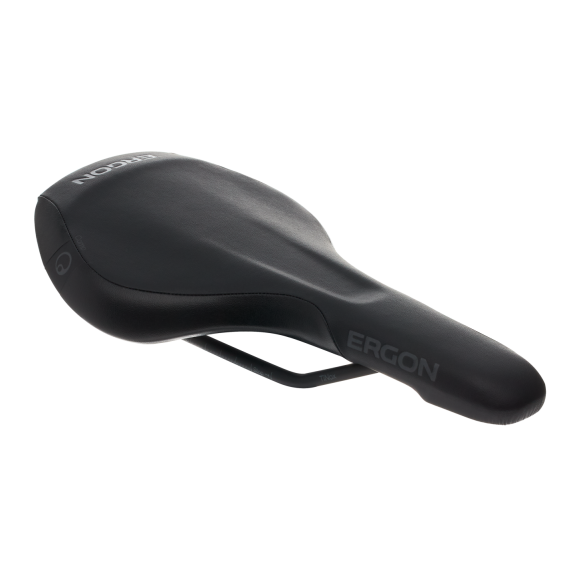 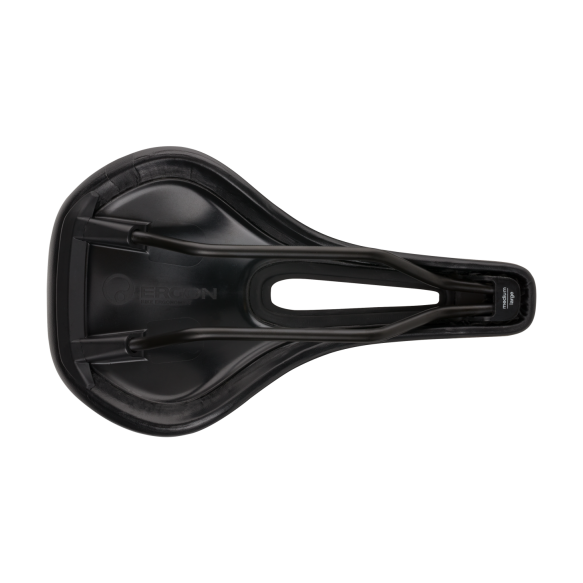 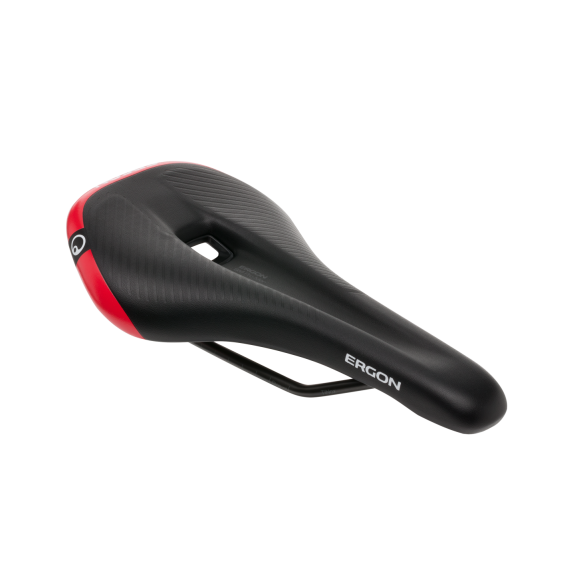 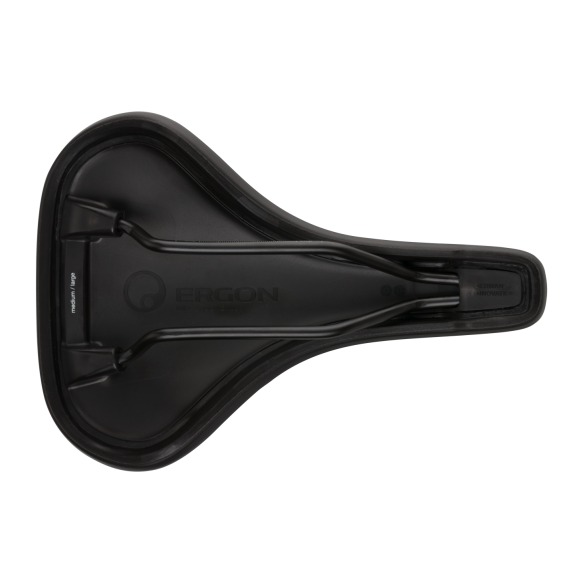 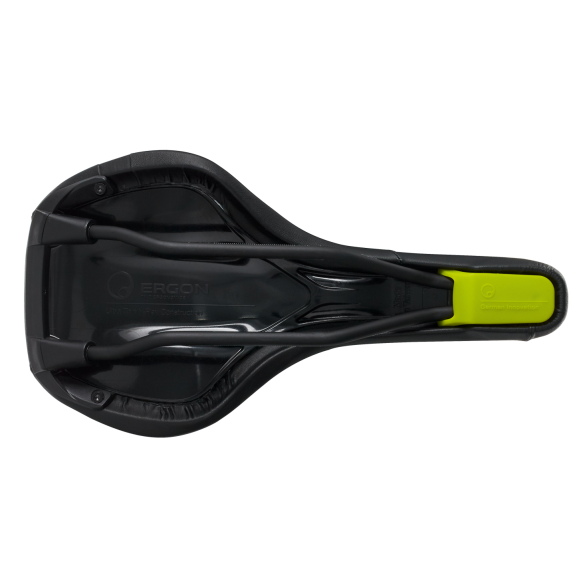 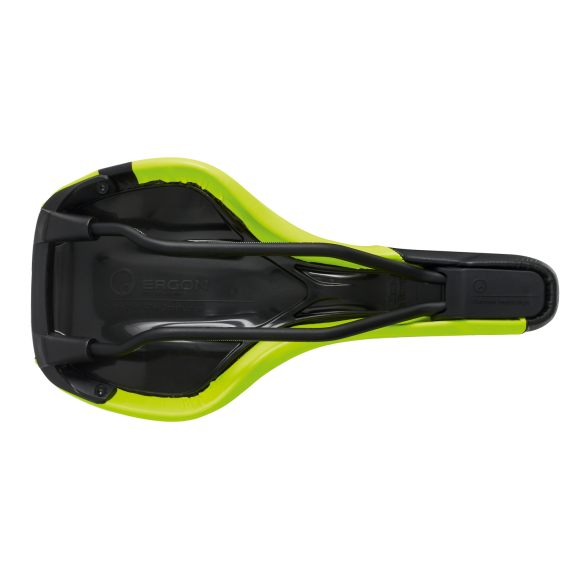 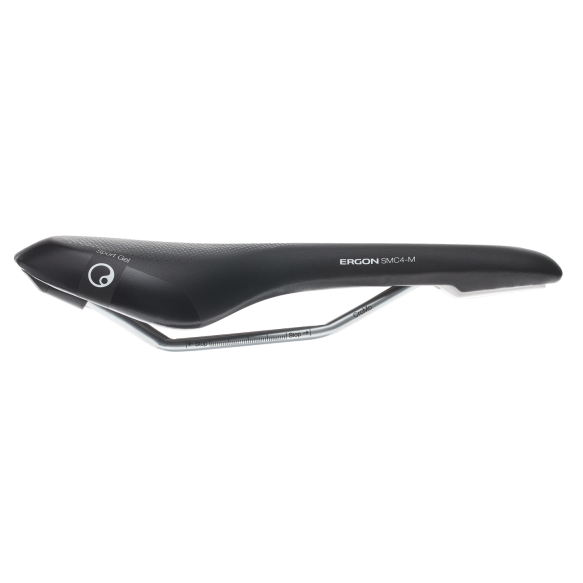 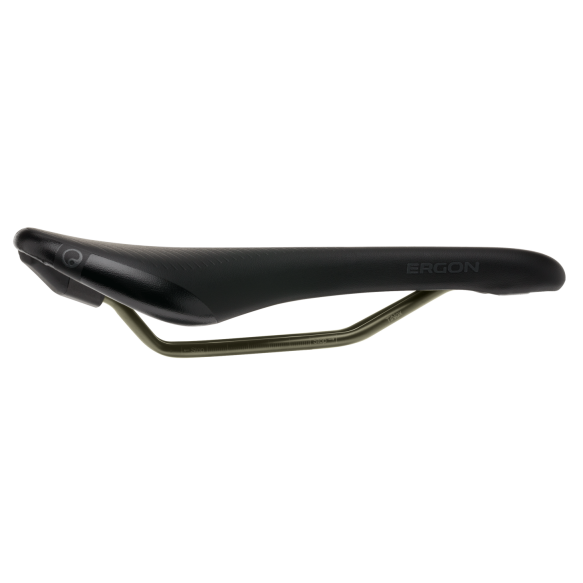 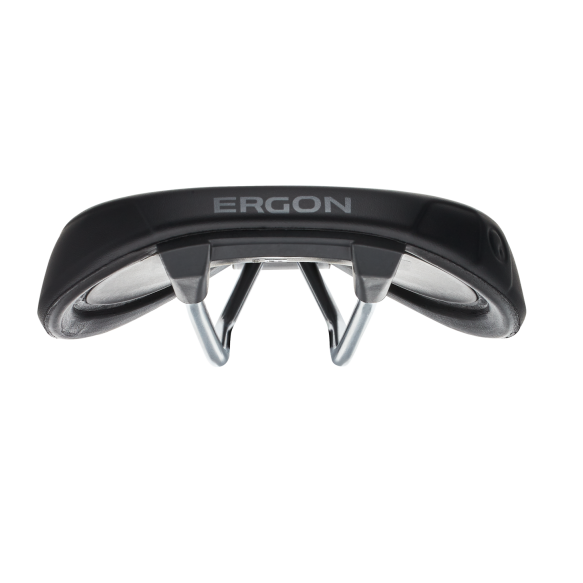 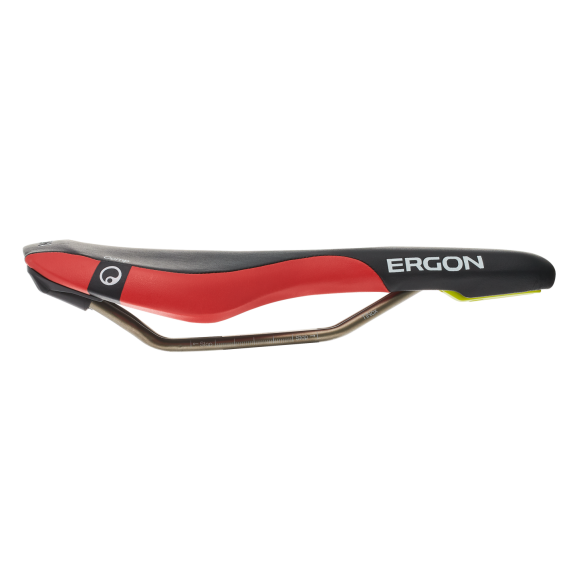 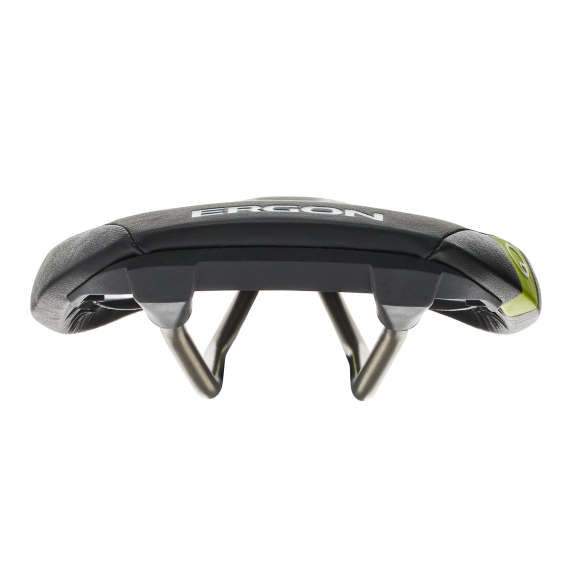 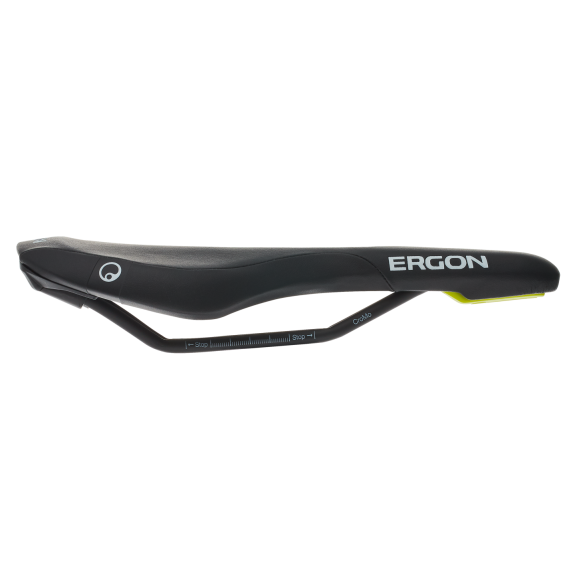 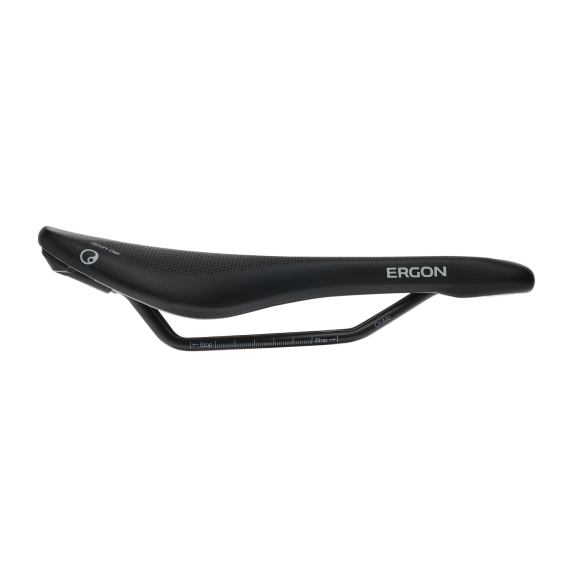 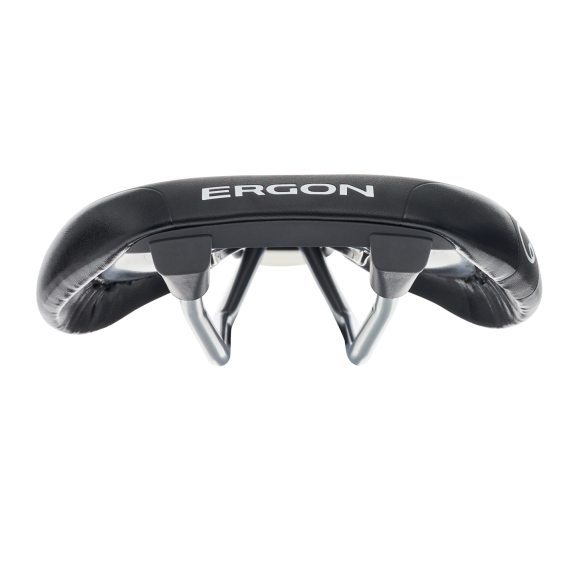 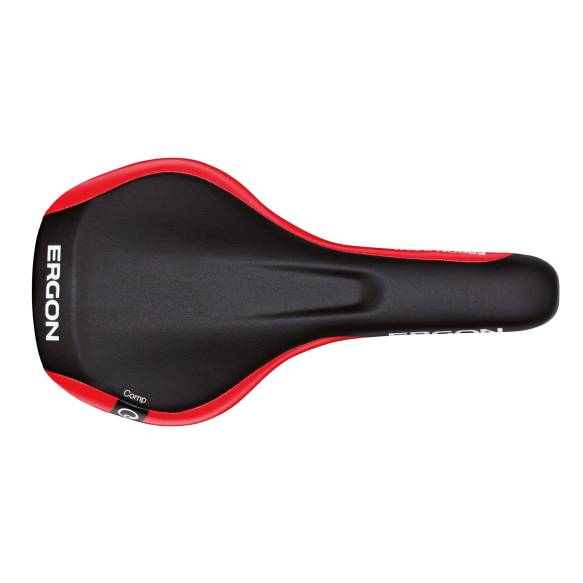 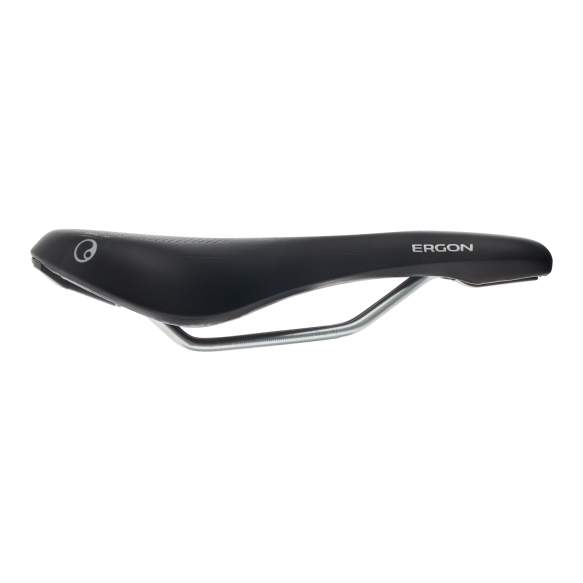 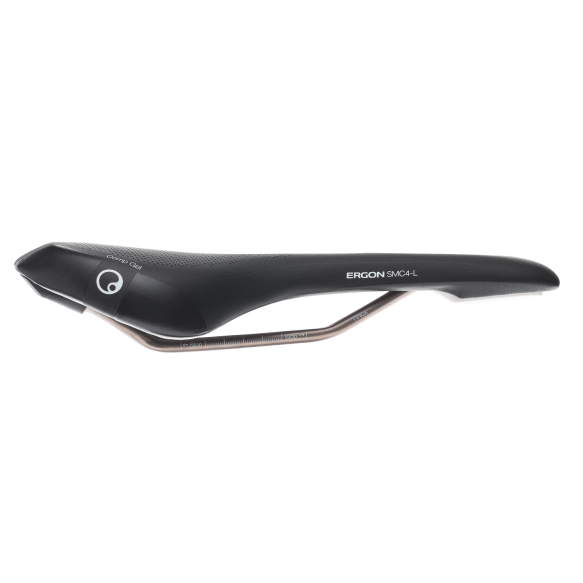 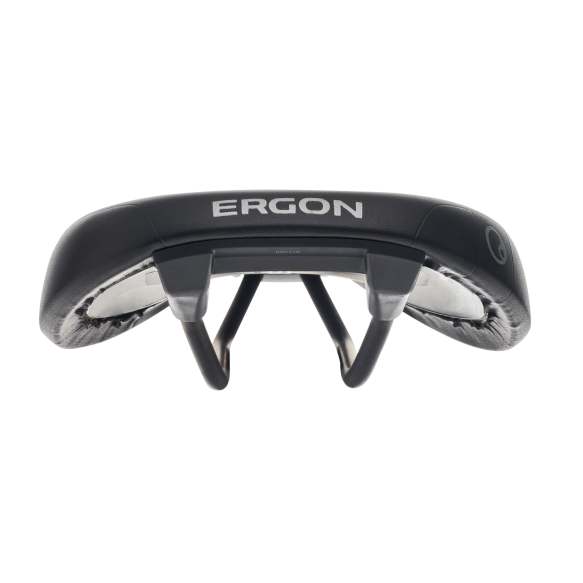 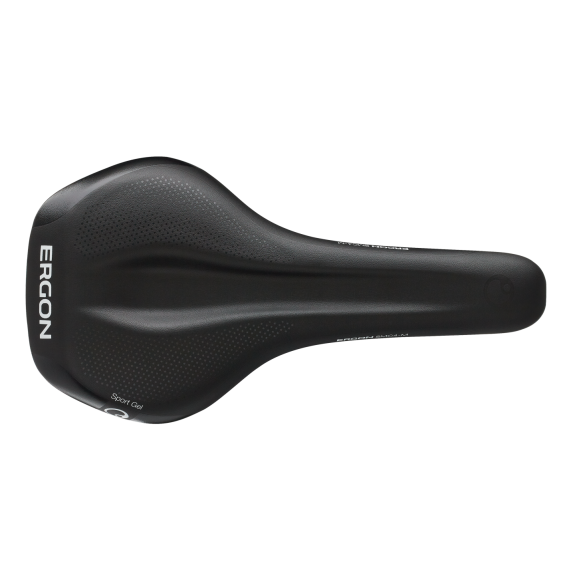 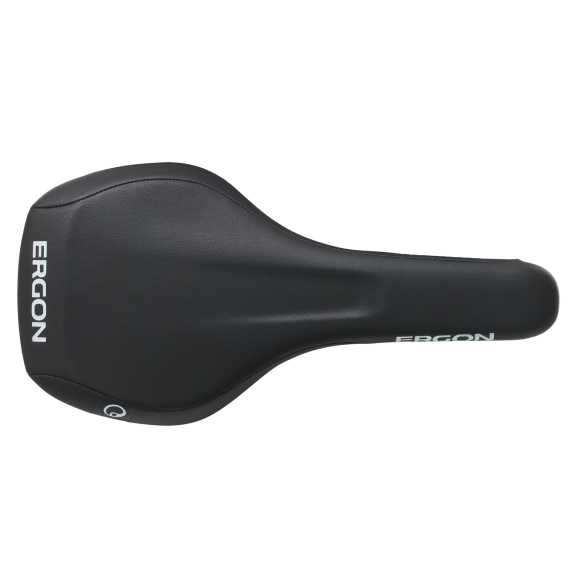 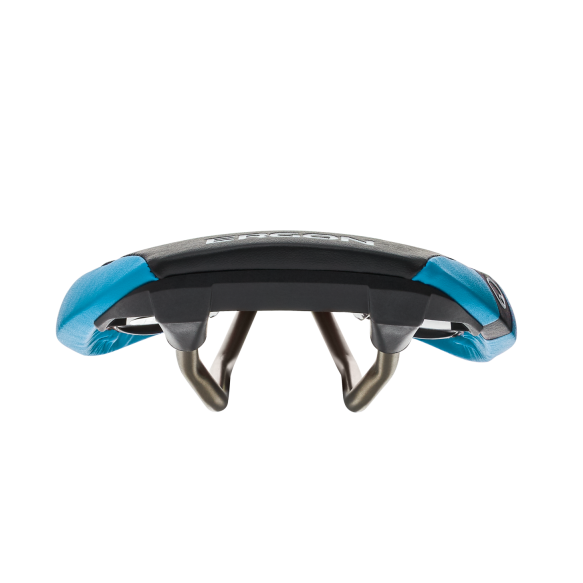 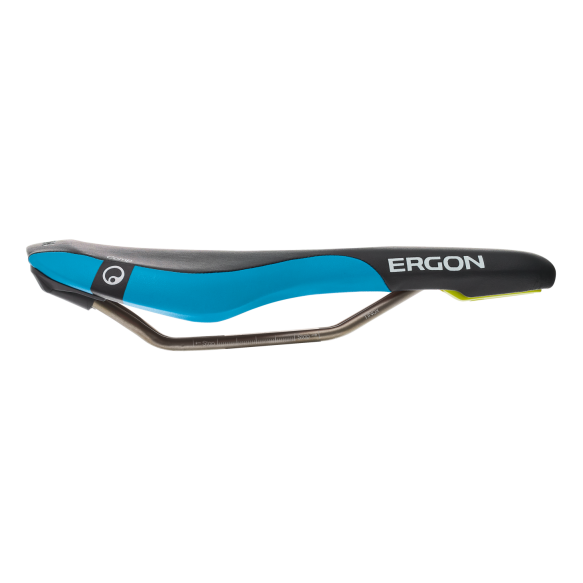 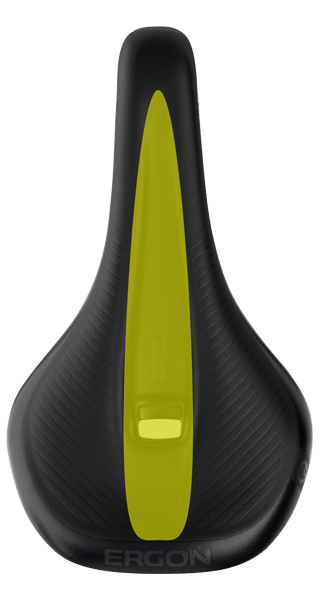 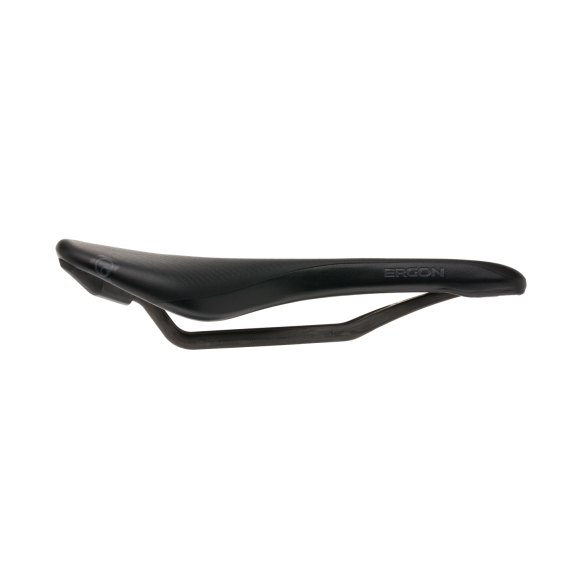 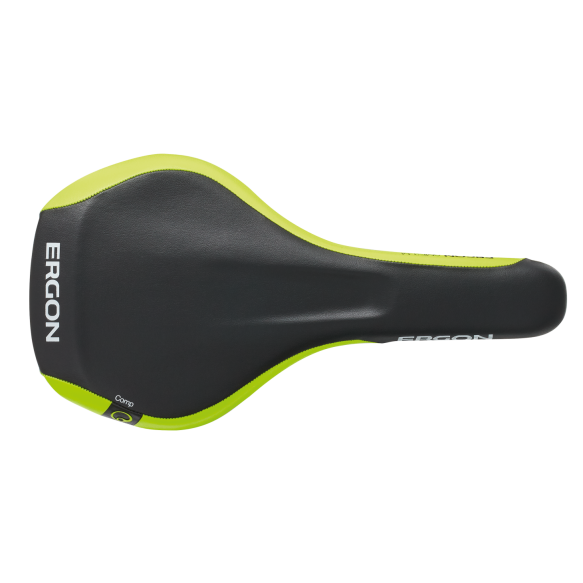 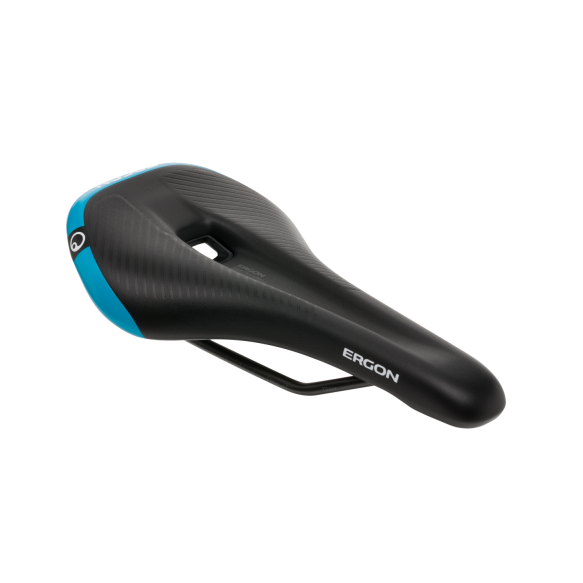 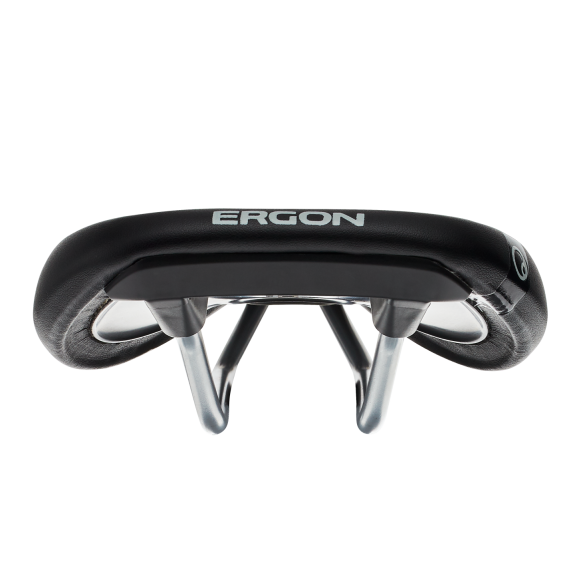 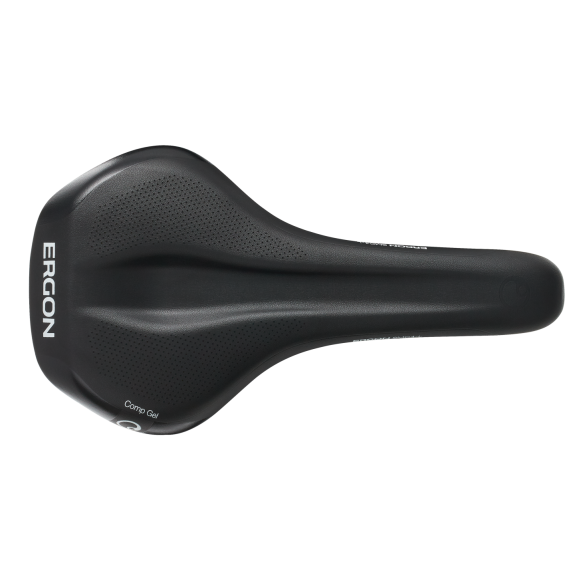 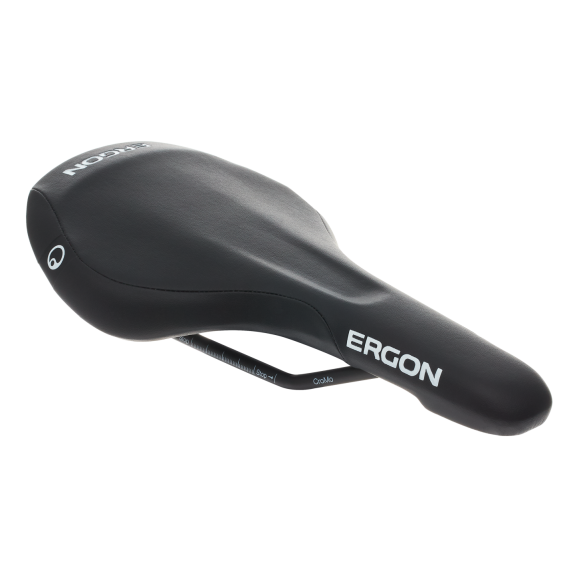 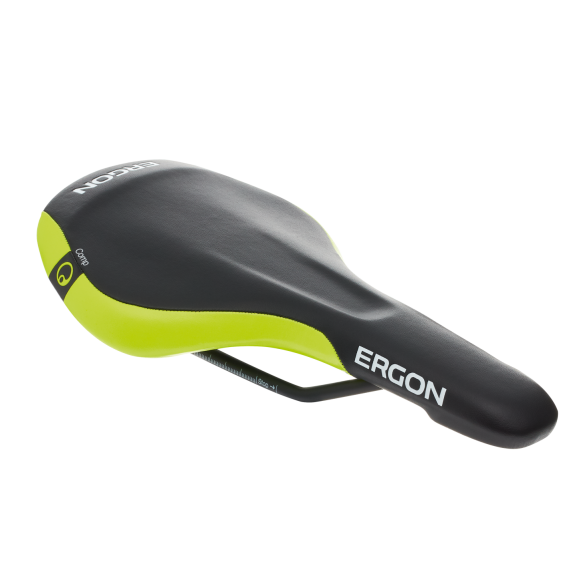 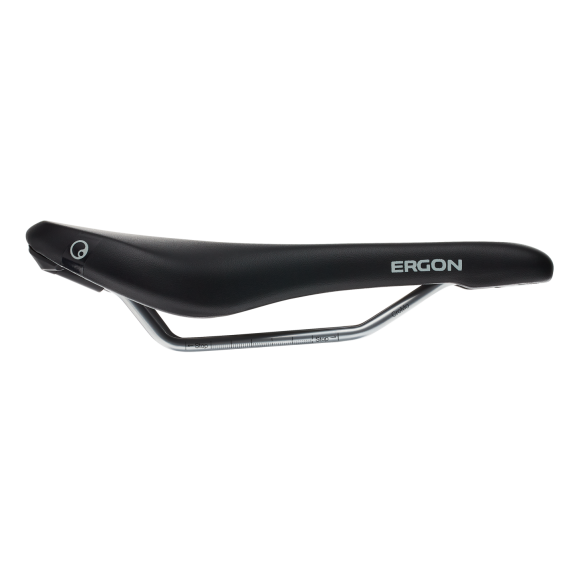 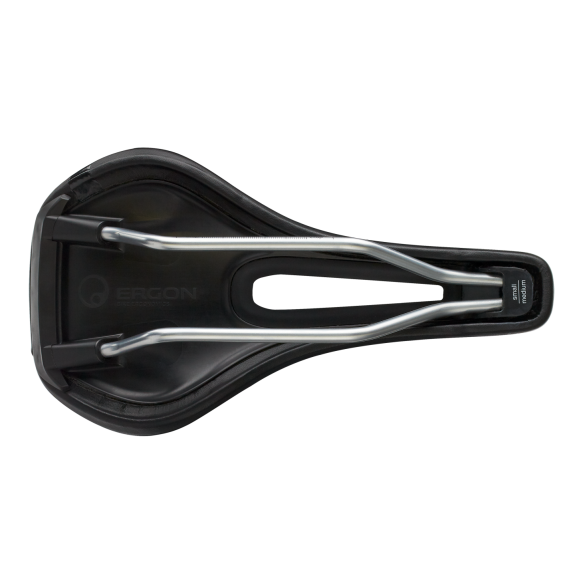 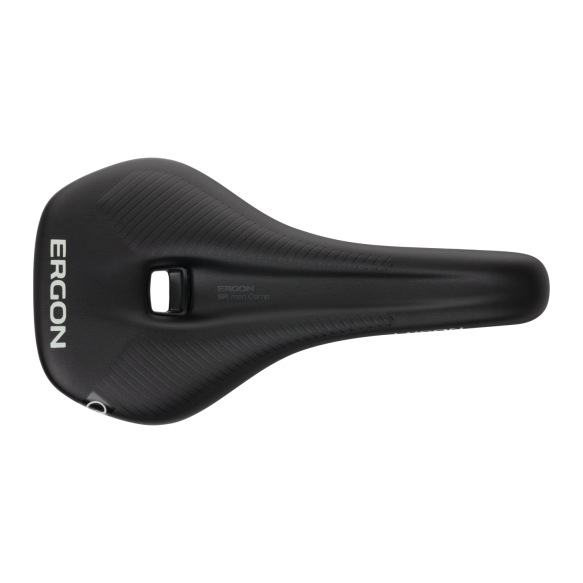 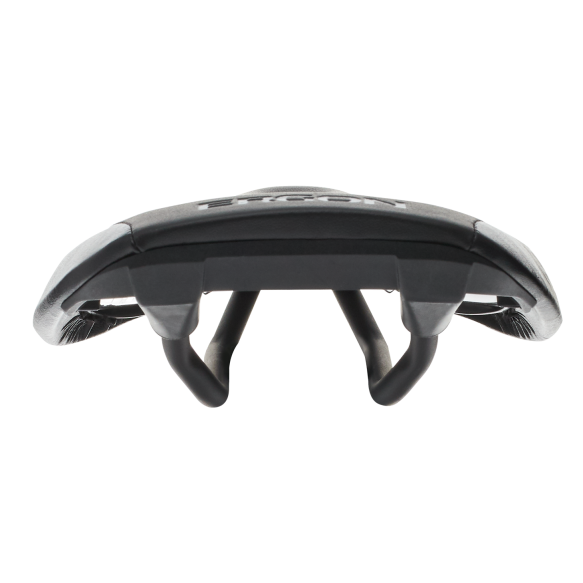 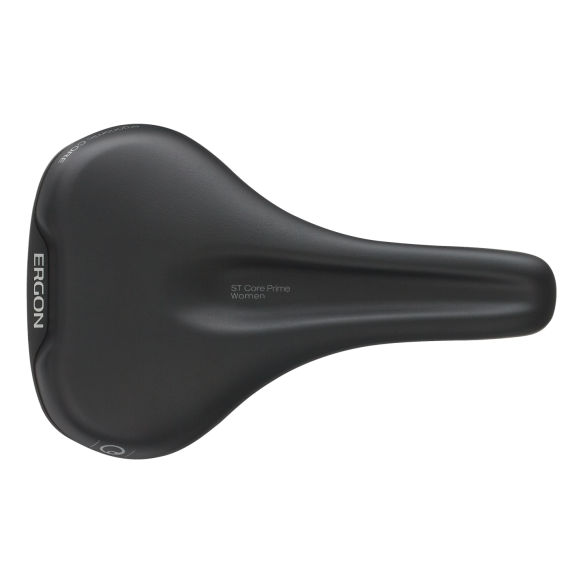 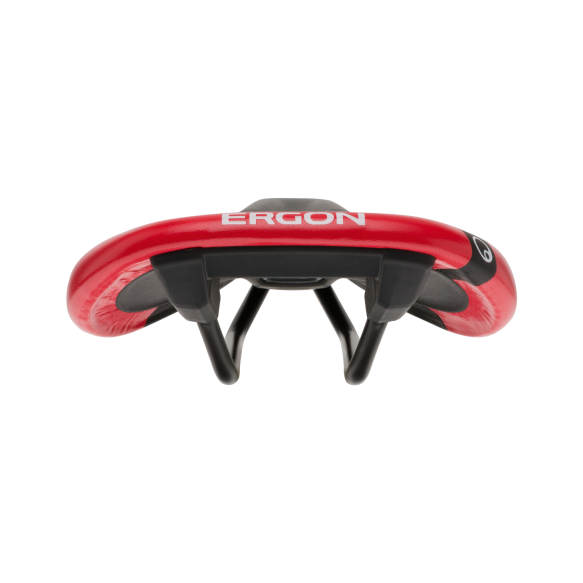 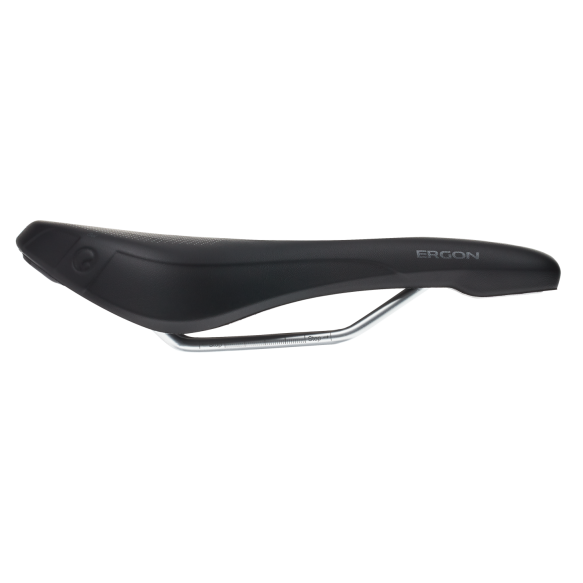 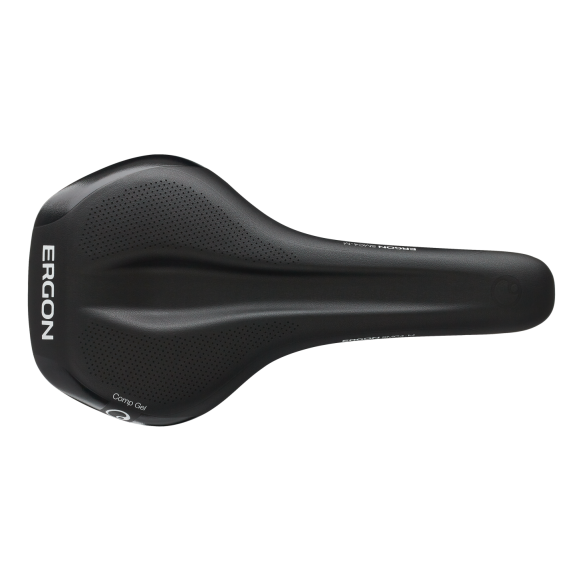 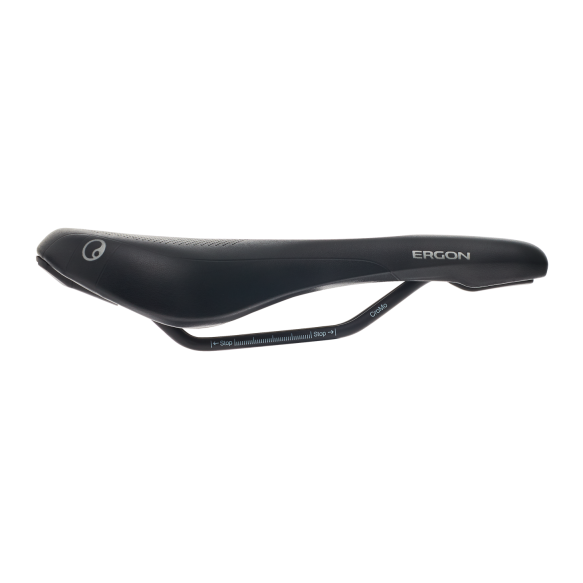 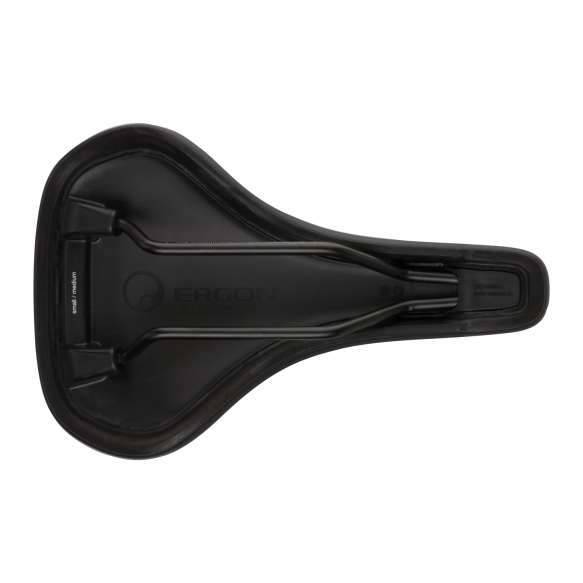 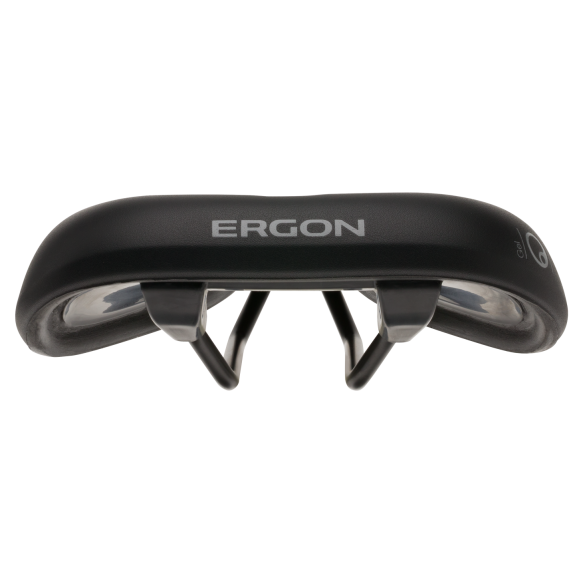 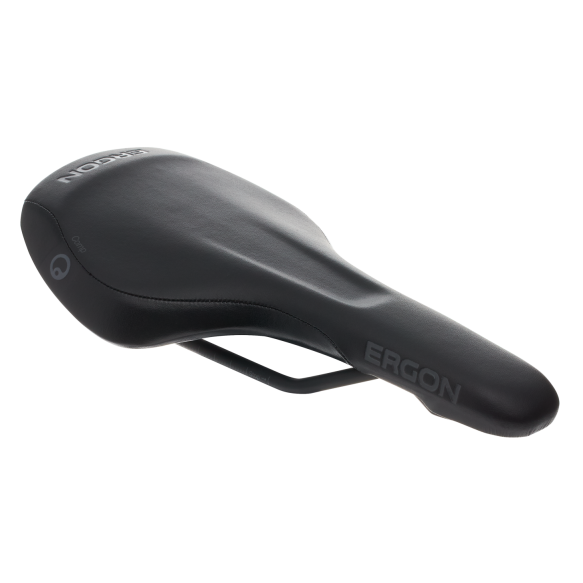 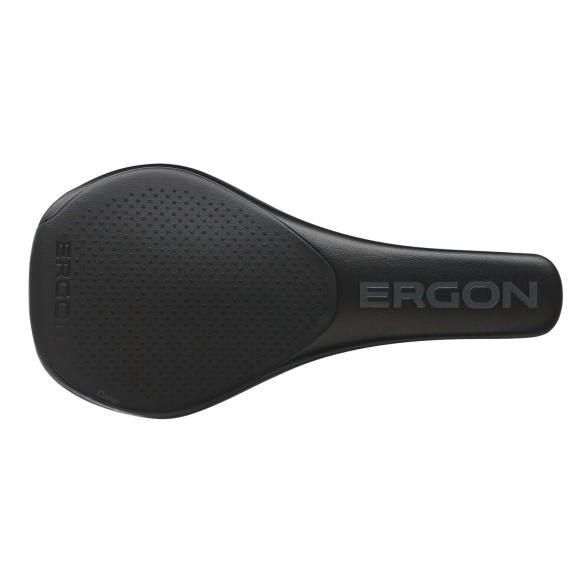 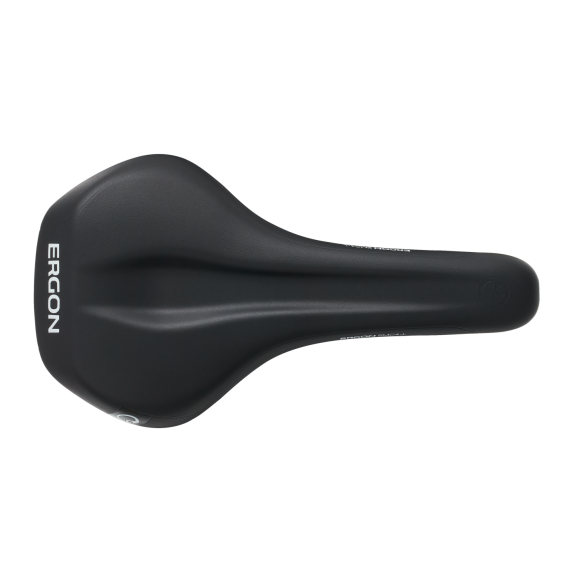 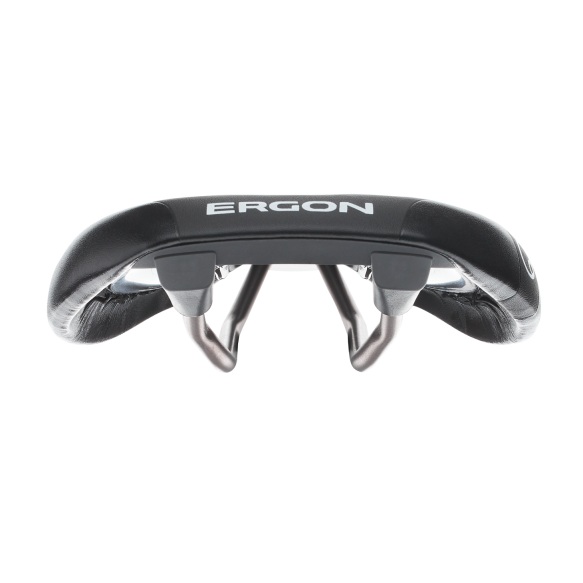 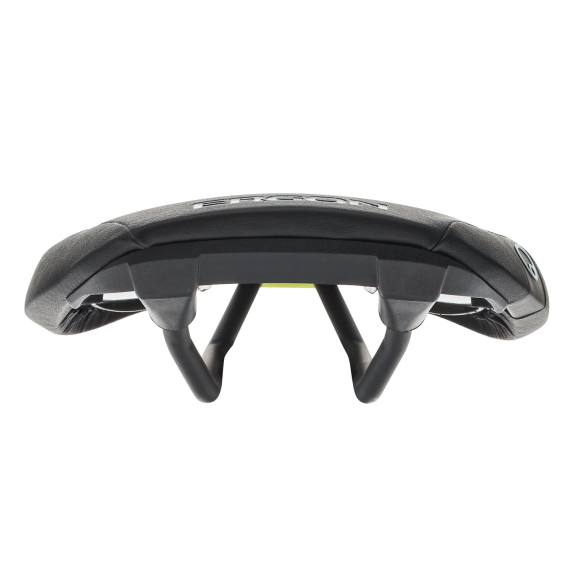 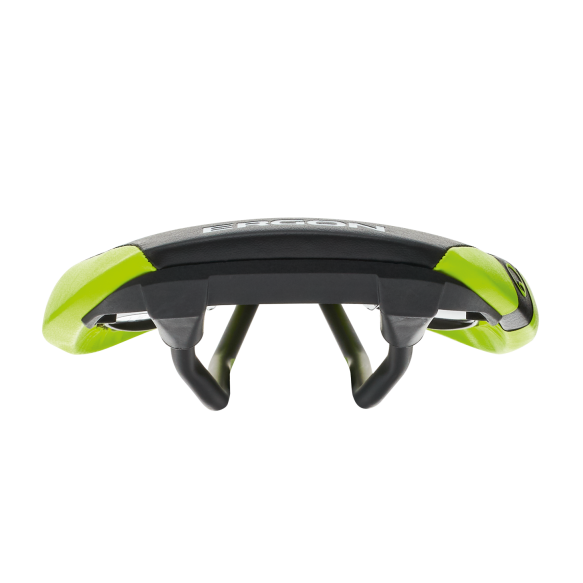 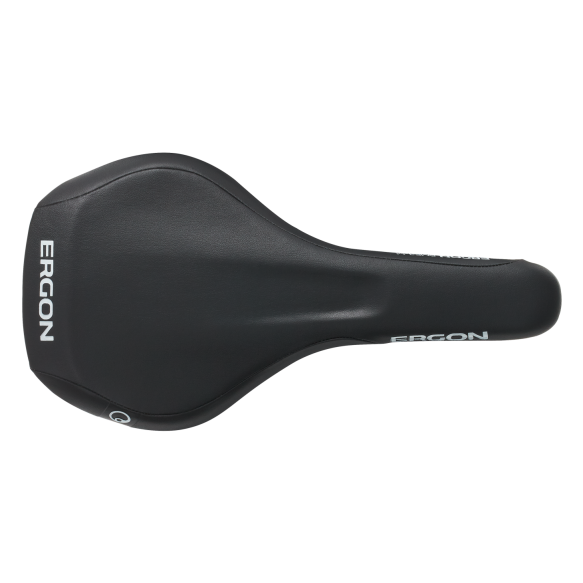 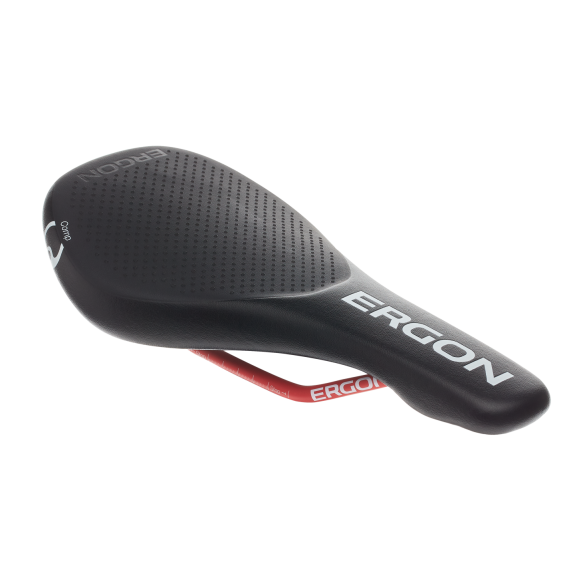 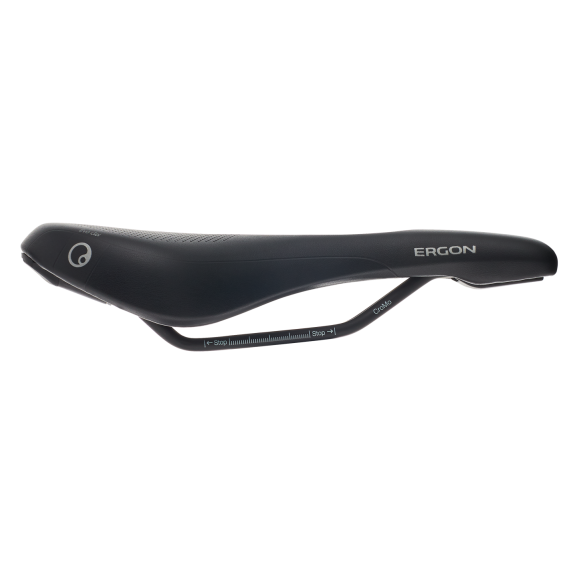 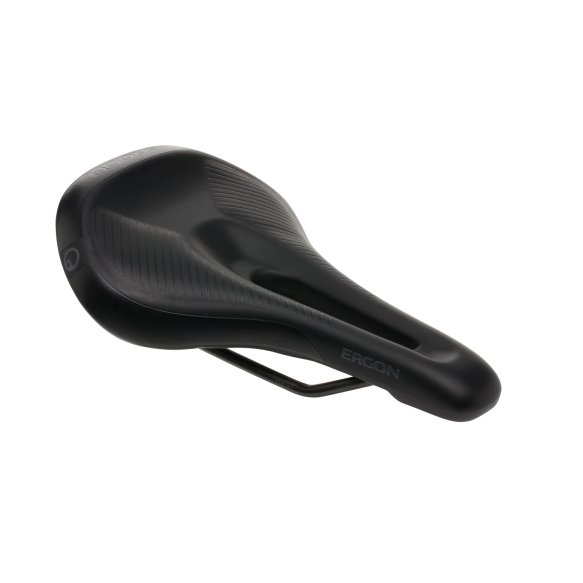 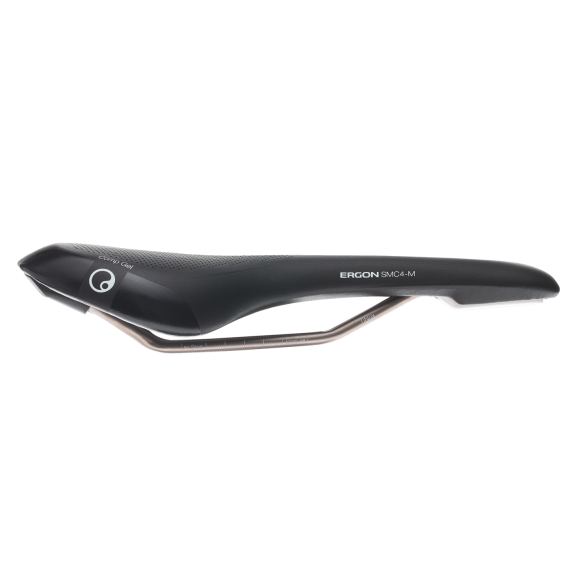 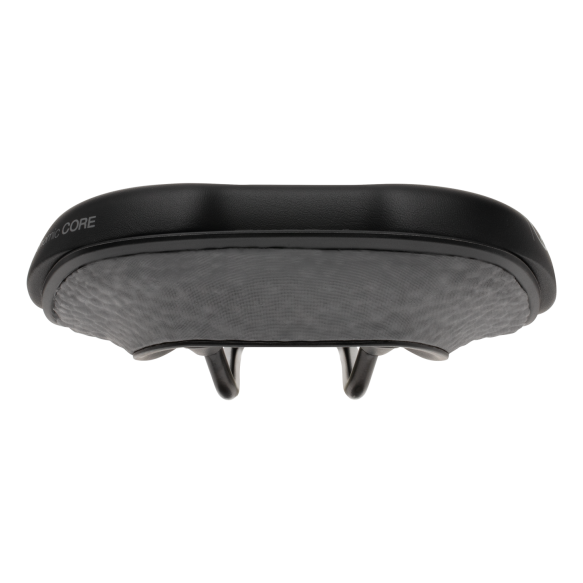 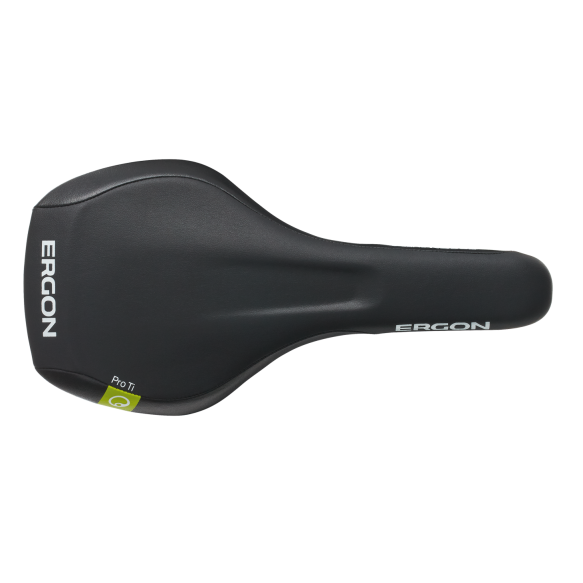 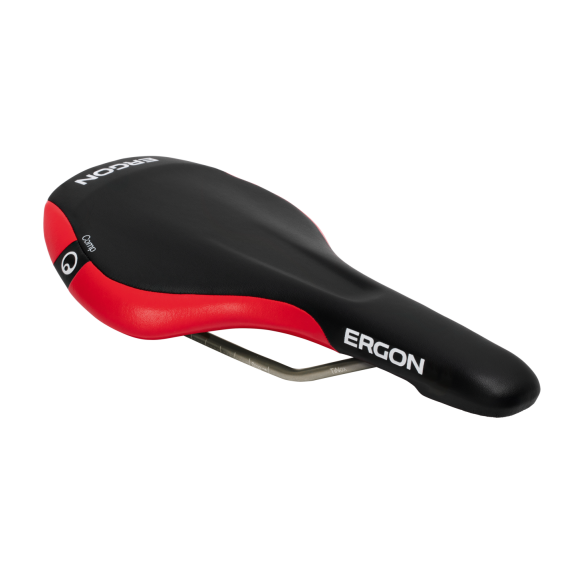 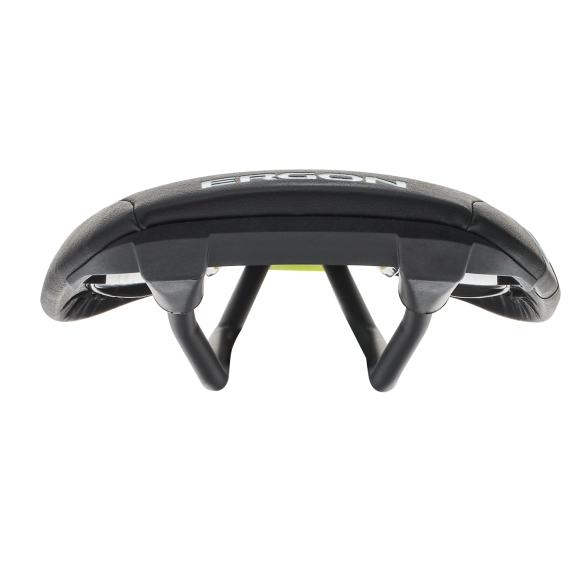 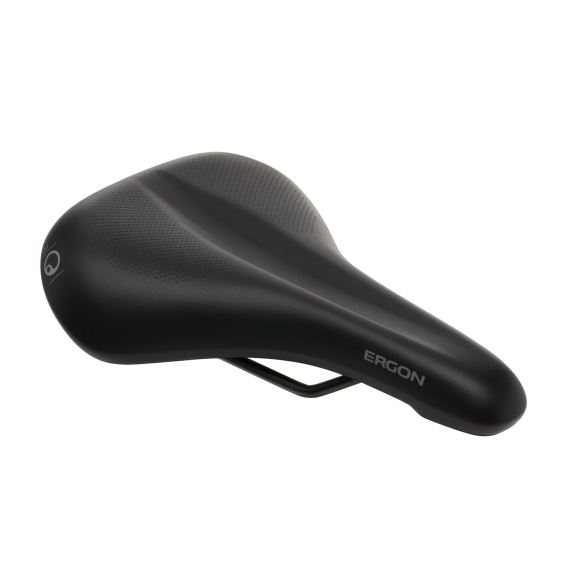 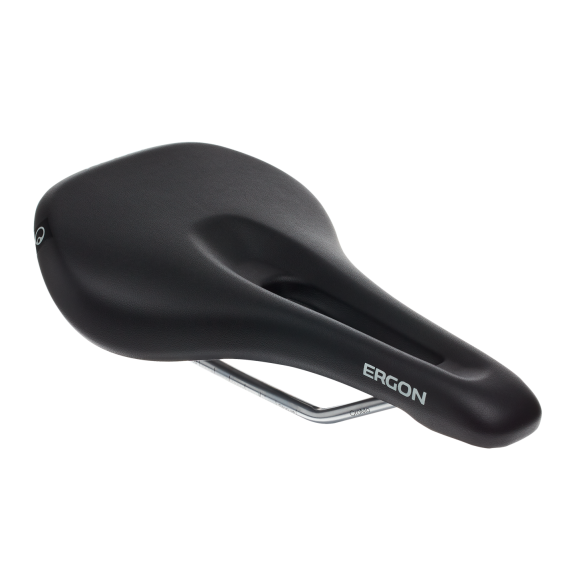 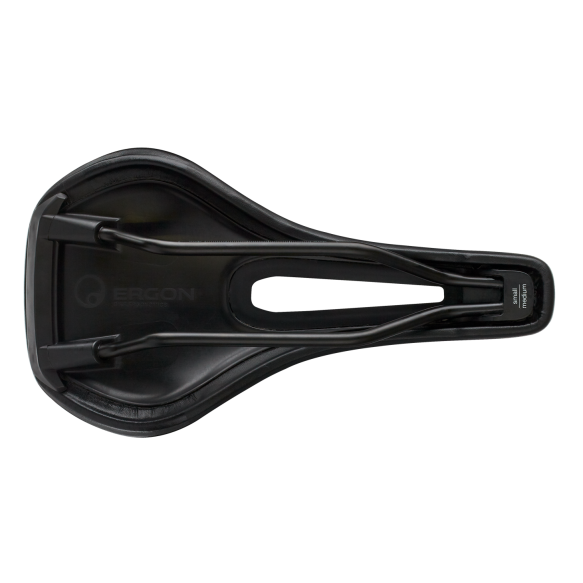 Ergon Core – The Dynamic Saddle with Ergonomic Core. 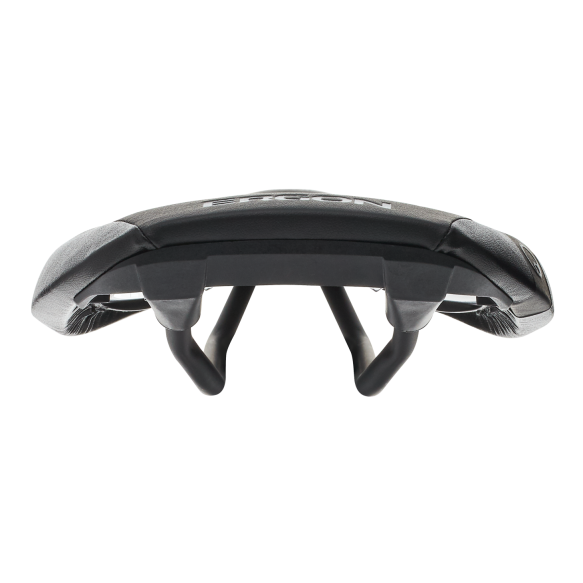 Prevents Numbness in the Soft Tissue Area, Reduced Sit Bone Pressure, Medical Back Support and Floating Motion Support. 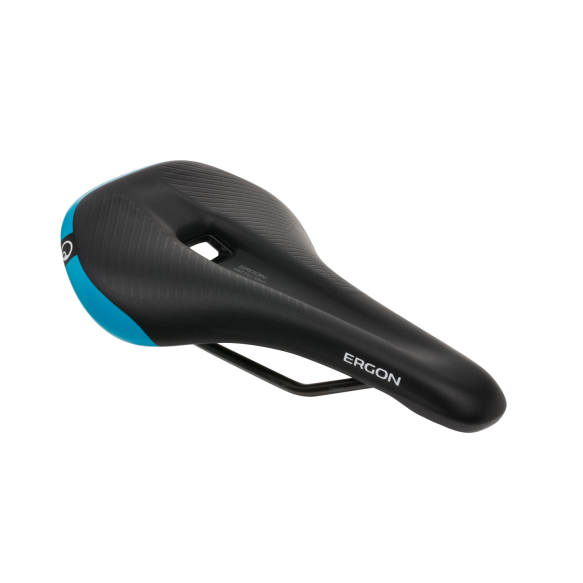 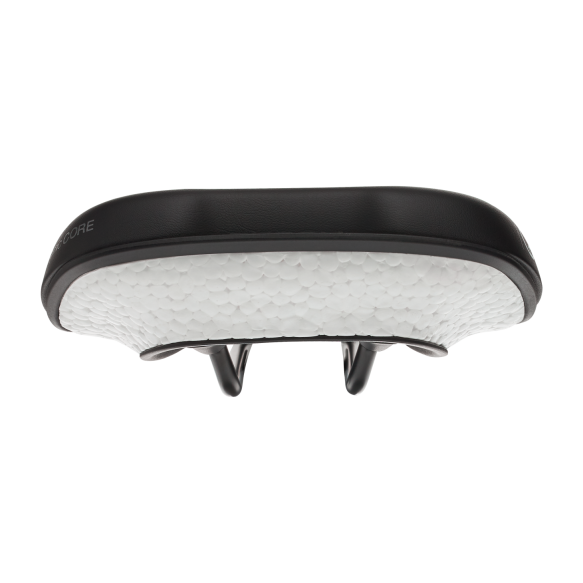 Don‘t go numb – after the successful sales launch of the Ergon Fitness saddle series, Ergon is expanding the range with the new entry model SFC3 Gel with comfort foam. The ergonomic Fitness Saddle with extra comfort provided by gel pads on the seated surface – developed for fitness bikes, E-bikes or sportive touring bikes. 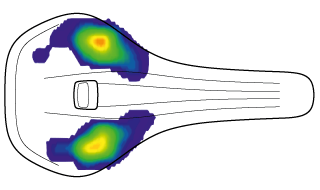 The position of the relief channel was optimized with the help of many test riders by means of the latest pressure measurement technology. Numbness is reduced and riding comfort enhanced. A large seating surface effectively reduces pressure peaks and perfectly distributes the pressure on the sitting bones and pubic bones – even without cycling shorts. 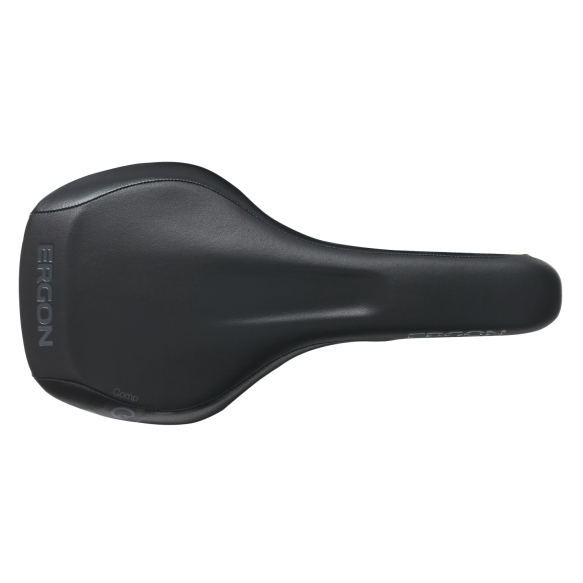 Pressure-free saddle comfort for fitness bikes, e-bikes, and touring bikes. 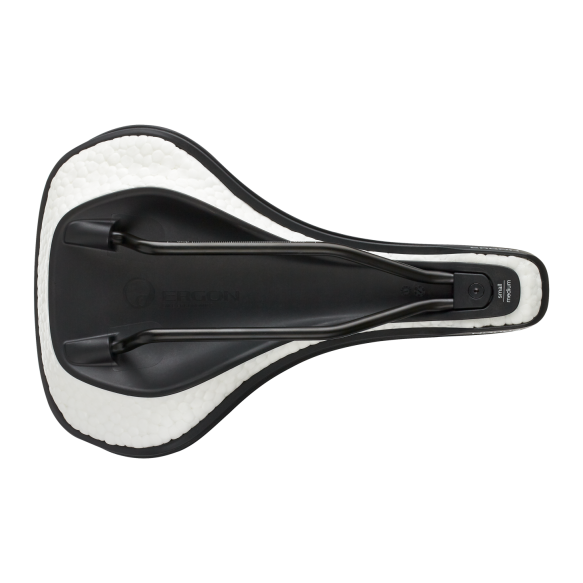 Scientifically and ergonomically tested for effective relief of the perineum and genital area, so numbness is reduced and riding comfort is increased. 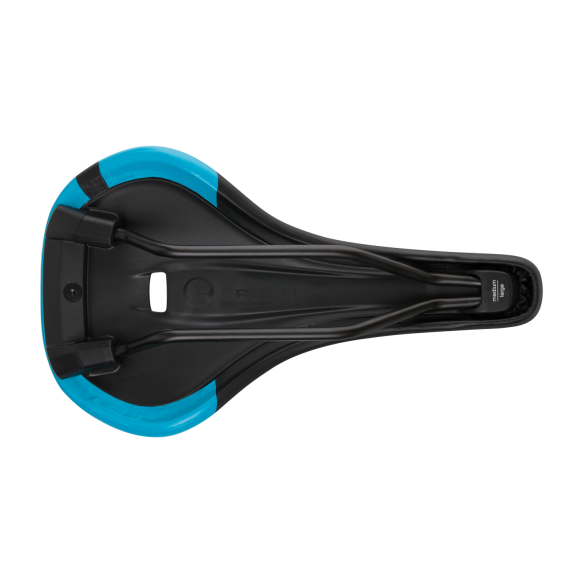 The extra-large seating area effectively reduces pressure points and distributes the pressure optimally to the sit bones and pubic bones, even without wearing padded cycling shorts. 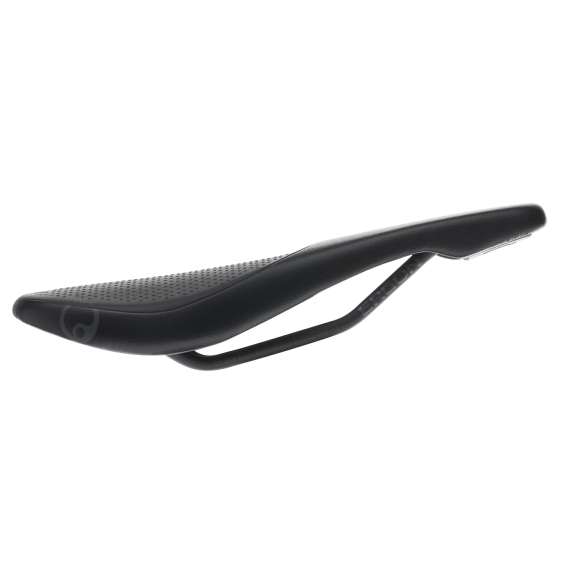 Extensive relief channel raised surface helps to provide increased protection for soft tissue areas. The top of the line model in the SFC3 Series. 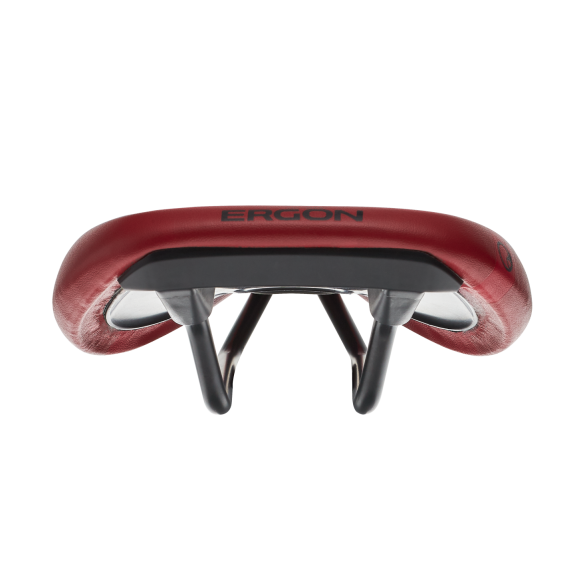 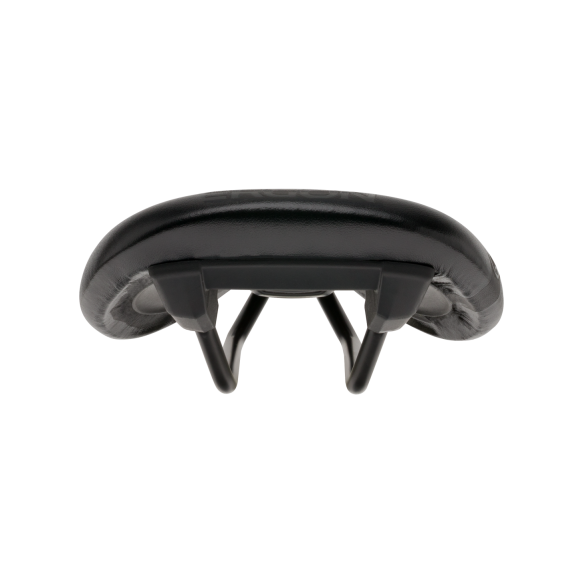 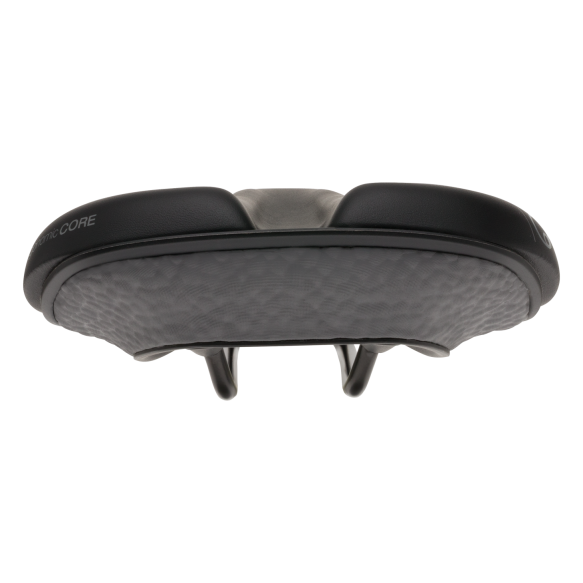 In additon to the features found on the SFC3 Comp, the SFC3 Evo comes with friction-reducing side flanks. 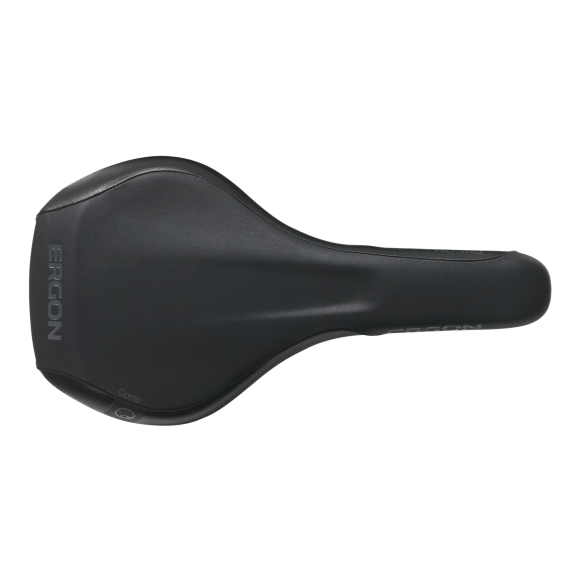 Perfect for pressure-free saddle comfort for fitness bikes, e-bikes, and touring bikes. 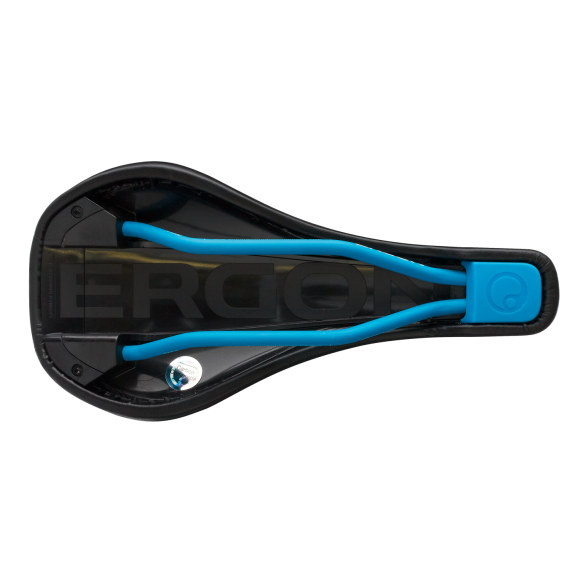 Effective relief for Fitness Bikes, E-Bikes and sportive Trekking Bikes. 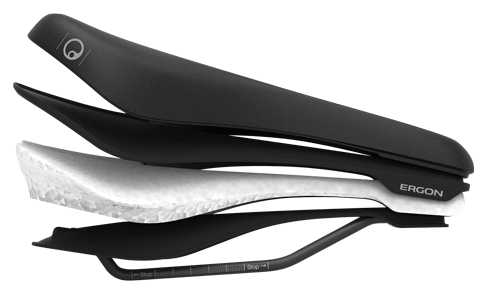 The E-MTB-speciﬁc comfort saddle for women. 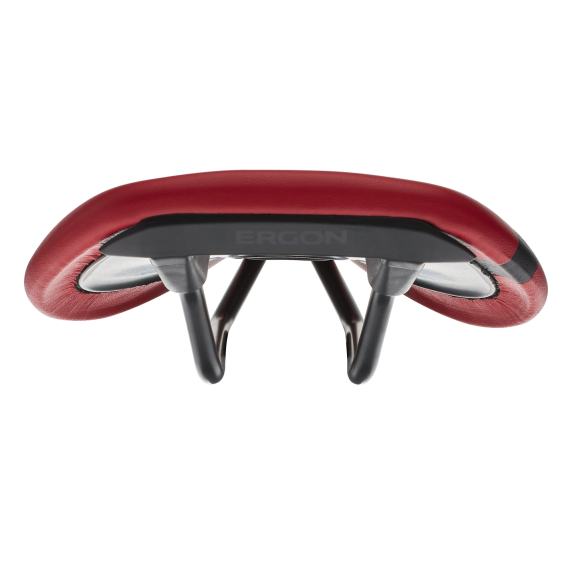 Tailored for prolonged seated climbing and particularly steep ascends. 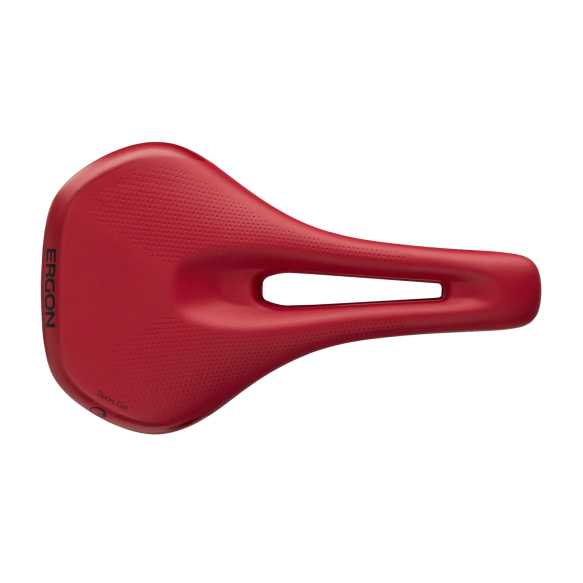 The shape matches the female anatomy, relieves the genital area, effectively preventing discomfort. Features a dynamic comfort padding and a ramping tail with with a ﬂat circumference for great freedom of movement when in the moderately tilted riding position typical for mountain bikes. 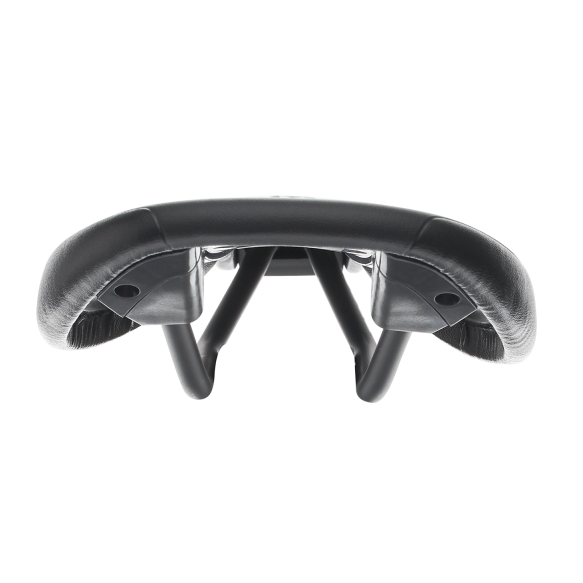 OrthoCell®-Inlays in the seating area generate the best possible pressure distribution – the innovative OrthoCell® material ensures maximum reset force and is also more durable and lighter than gel. 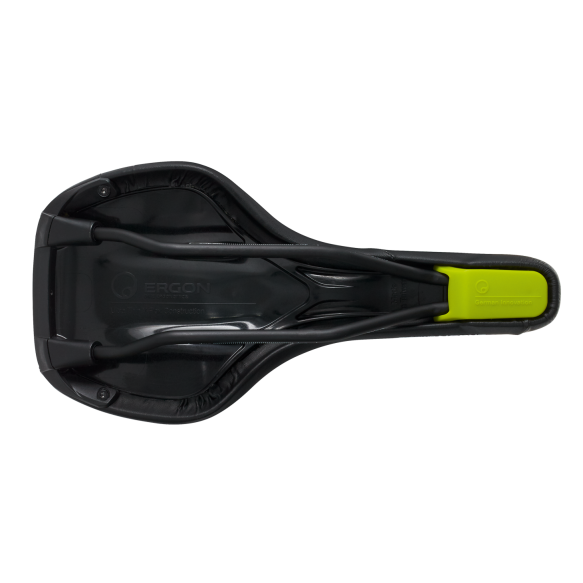 Sliding ﬂanks help reduce friction when pedaling. The rear ramp supports the rider better in steep uphill-riding situations when seated. 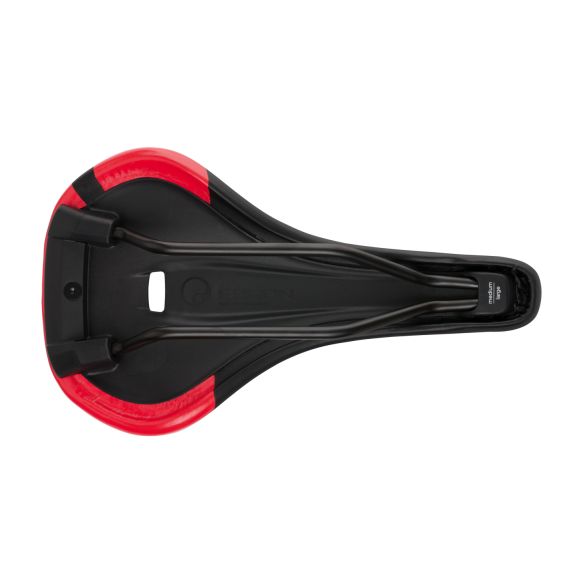 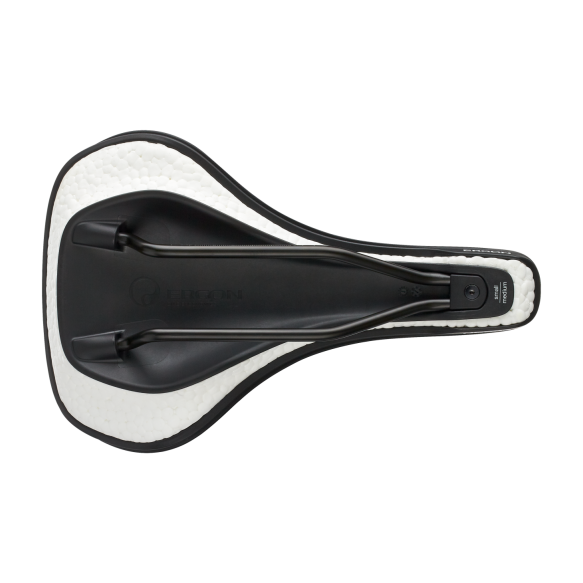 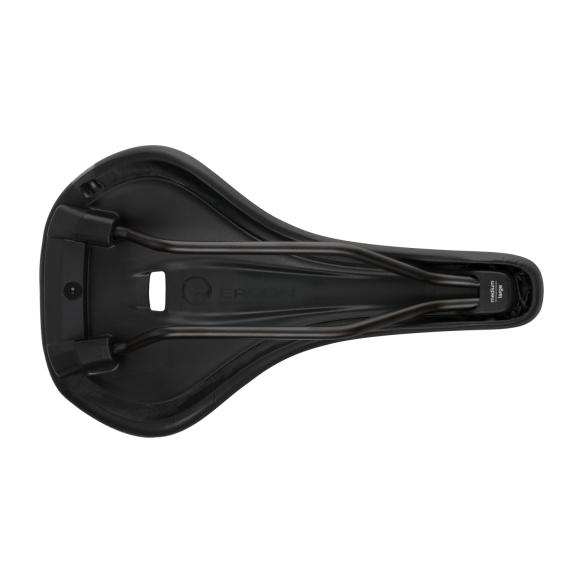 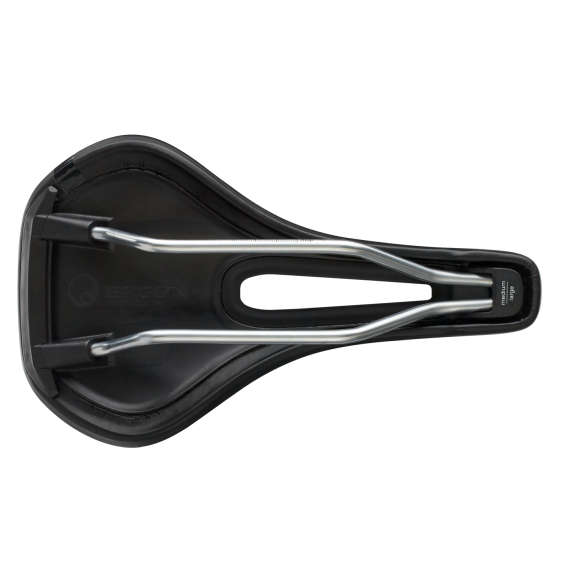 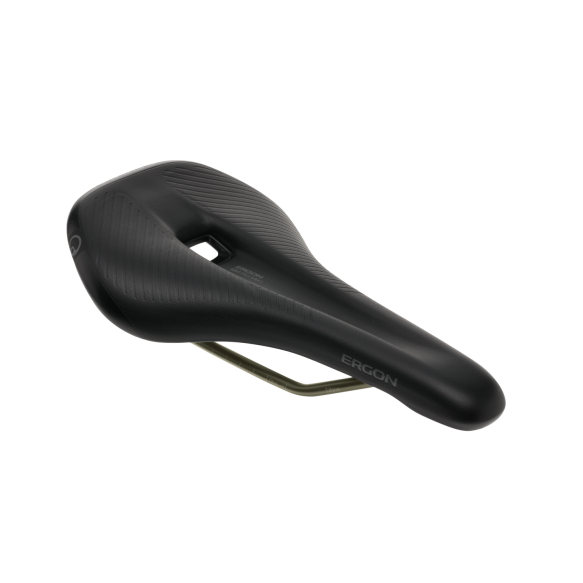 The saddle contours facilitates the change to the downhill position when riding behind the saddle. 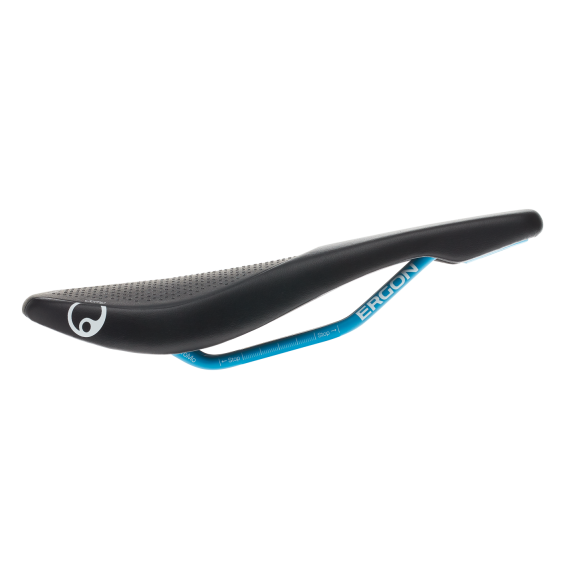 The V-shape also offers freedom of movement across the wide ﬂanks up to the padded nose – important for particularly steep climbs. Strongly raised ramping for maximum support from behind – helps stabilizing your position on the bike and saves energy when riding uphill. 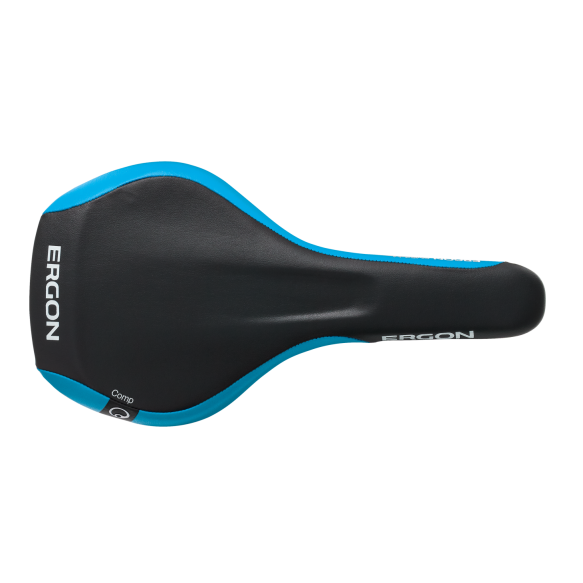 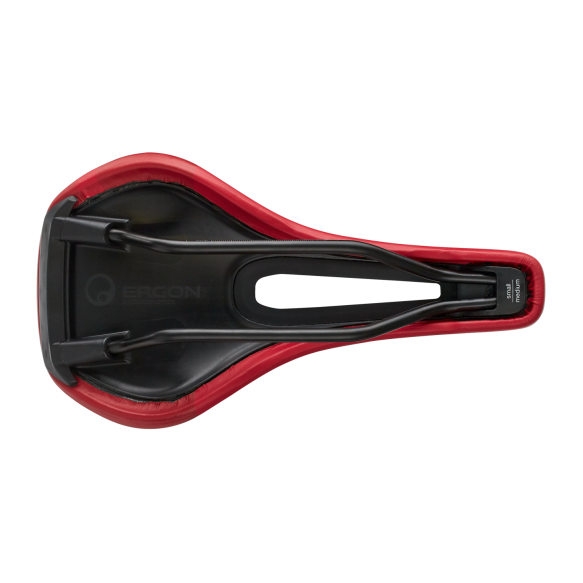 The E-MTB-speciﬁc comfort saddle for men. 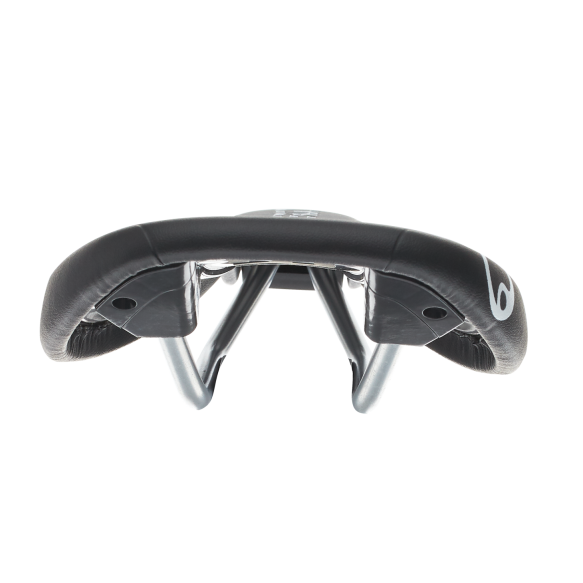 Tailored for prolonged seated climbing and particularly steep ascends. 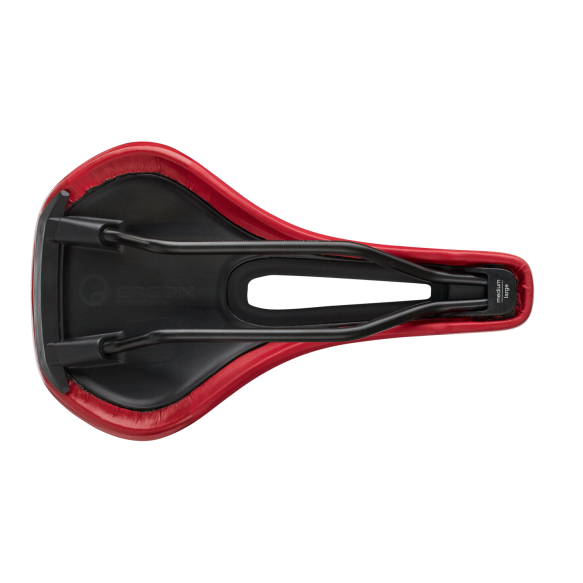 The shape matches the male anatomy, relieves the perineal area, effectively preventing discomfort. 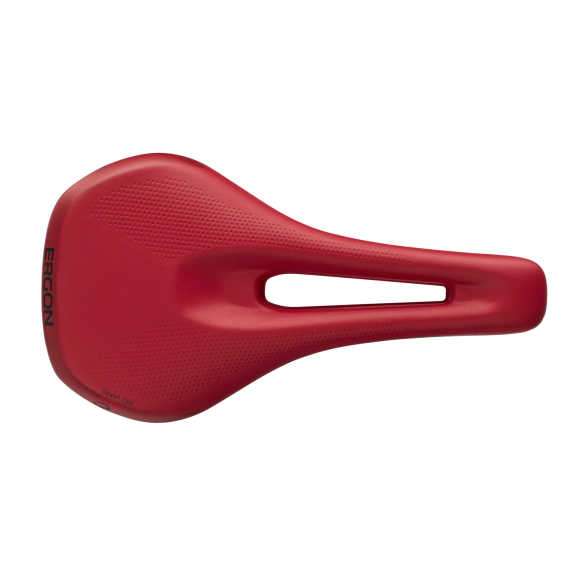 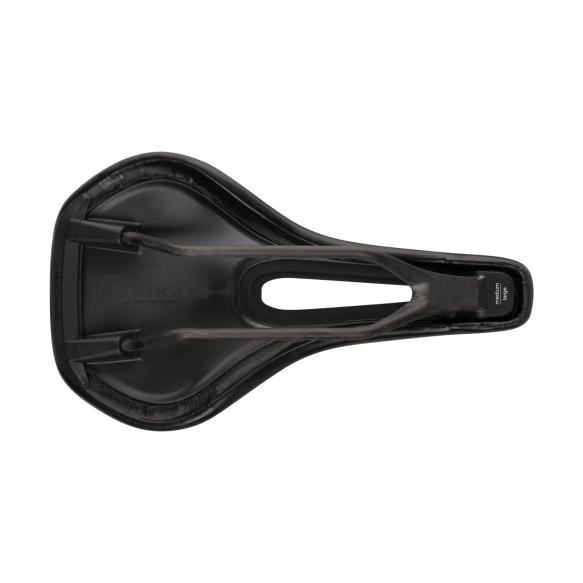 Features a dynamic comfort padding and a ramping tail with a ﬂat circumference for great freedom of movement when in the moderately tilted riding position typical for mountain bikes. 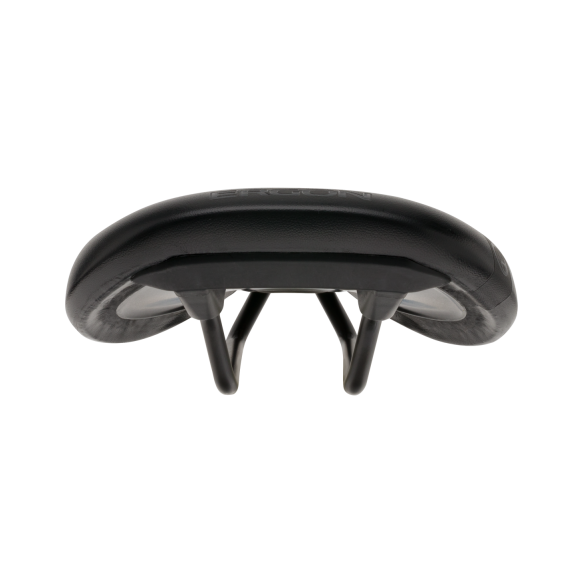 OrthoCell®-Inlays in the seating area generate the best possible pressure distribution – the innovative OrthoCell® material ensures maximum reset forces and is also more durable and lighter than gel. 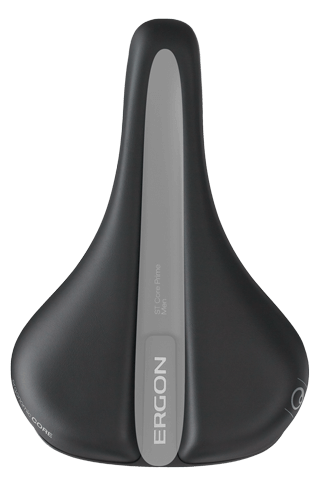 Sliding ﬂanks help reduce friction when pedaling. 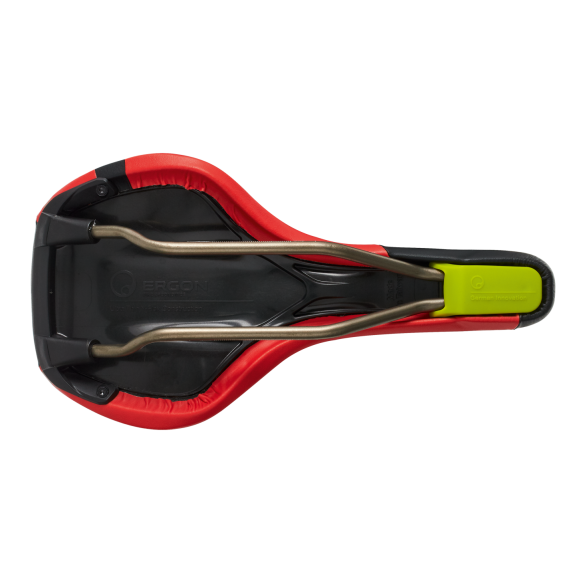 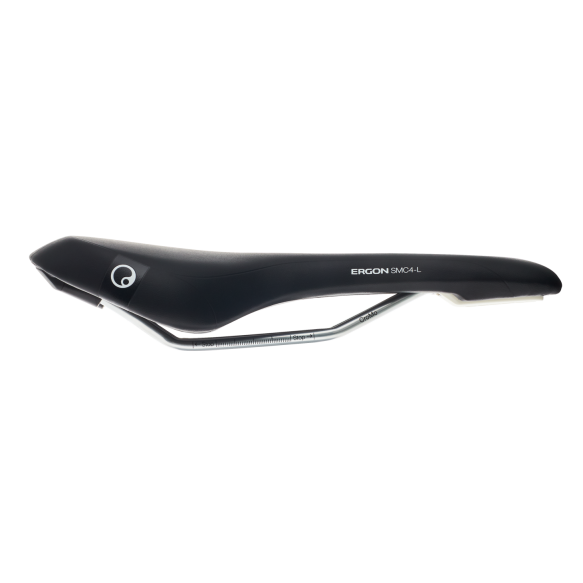 The E-MTB comfort-saddle optimized for long seated-periods and steep climbs. 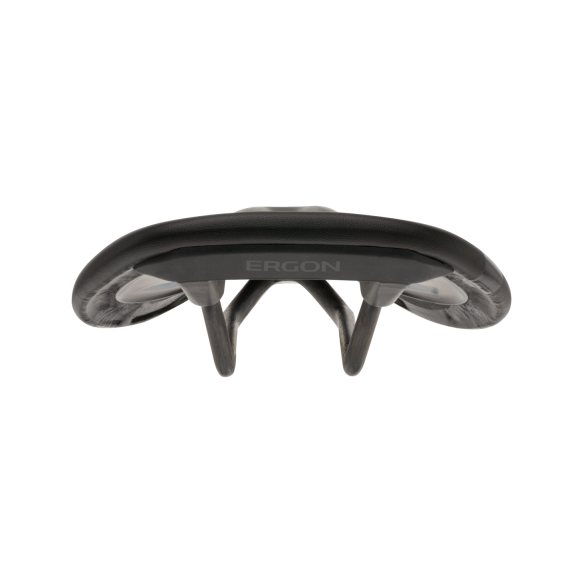 Discomfort is effectively prevented thanks to the anatomically adapted surfaces. 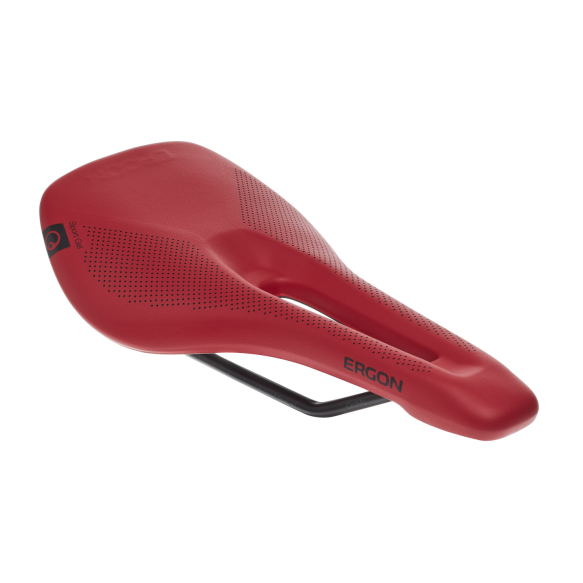 Pressure relief in the seating area: SR Men. 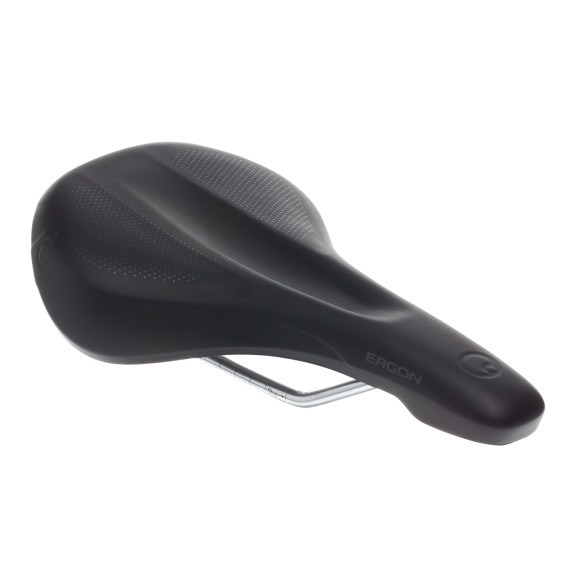 Flat contour, yet still comfortably padded. 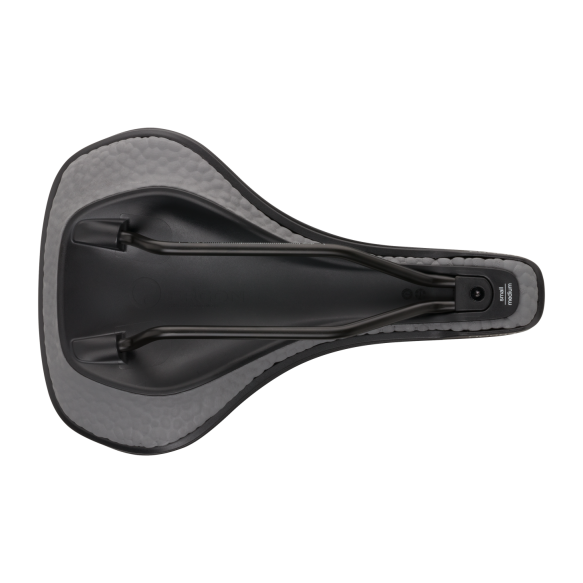 The overall shape and the relief channel with its deep cut-out perfectly match the male anatomy in a low, forward tilted riding position typical for road biking. The highly sensitive perineal area is effectively unloaded, preventing any discomfort. 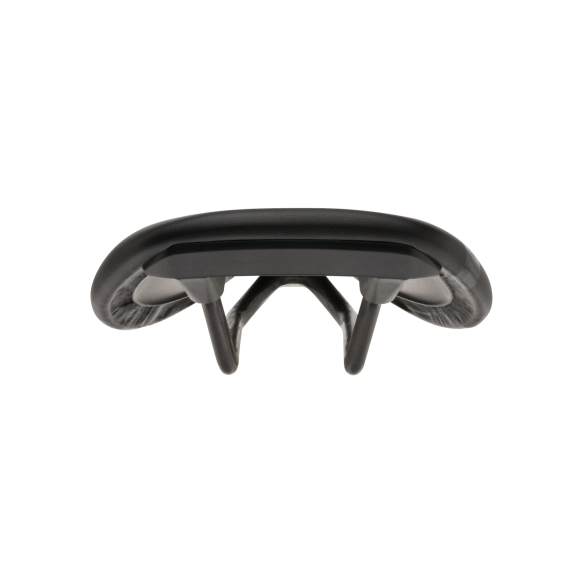 OrthoCell®-Inlays in the seating area generate the best possible pressure distribution – the innovative OrthoCell® material ensures maximum reset forces and is also more durable and lighter than gel. 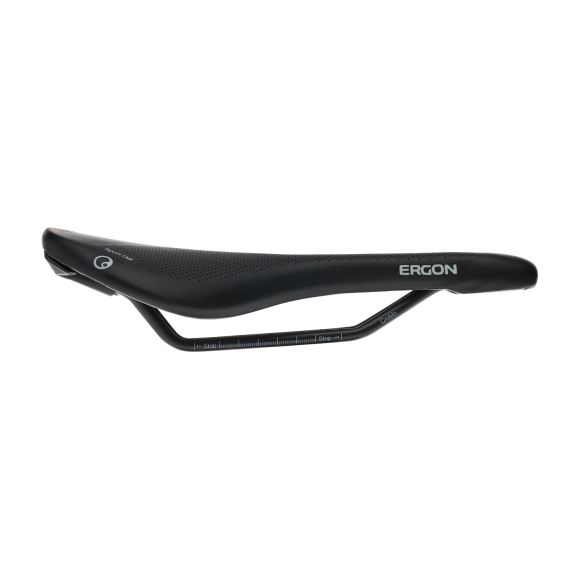 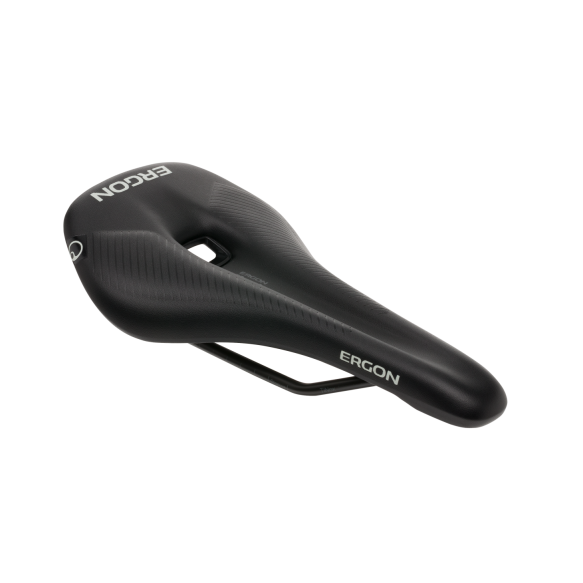 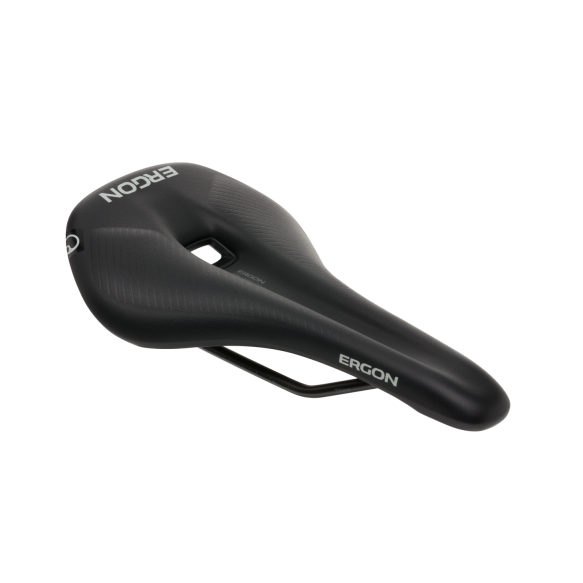 The new Ergon road saddle for men. Due to their speciﬁc pelvic anatomy men are sitting more upright on the saddle. This creates a higher pressure in the highly sensitive perineal area, which often leads to any of the varying forms of discomfort. 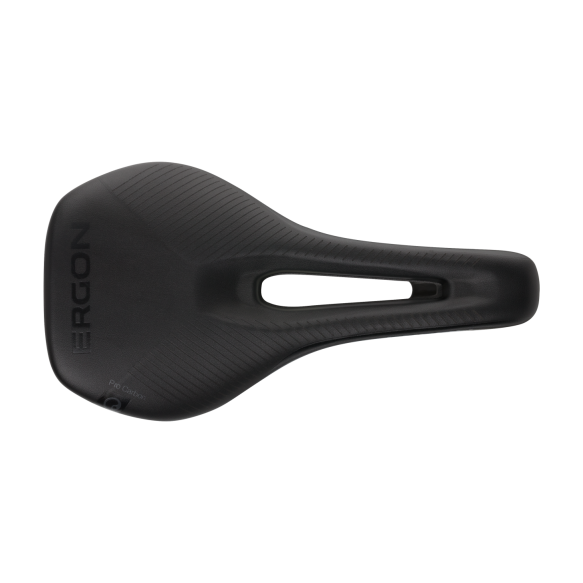 This is where the relief concept of the SR Men saddle comes into play. 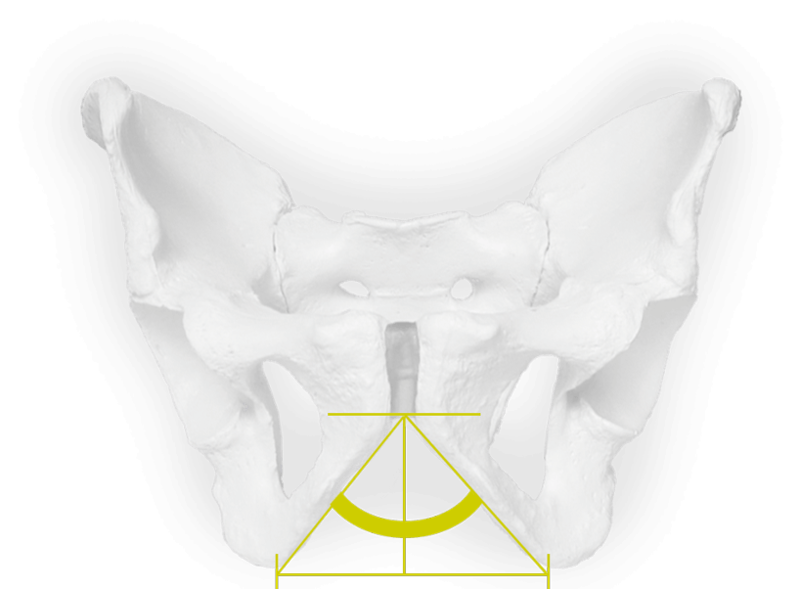 Through the deepening relief channel with cut-out, the resulting pressure is evenly distributed onto the bone structures (sit bone and parts of the pubic blades). The Y-shape helps keeping the freedom of movement high even when riding in the low position typical for road biking. Finally you can get more comfort on a road bike. 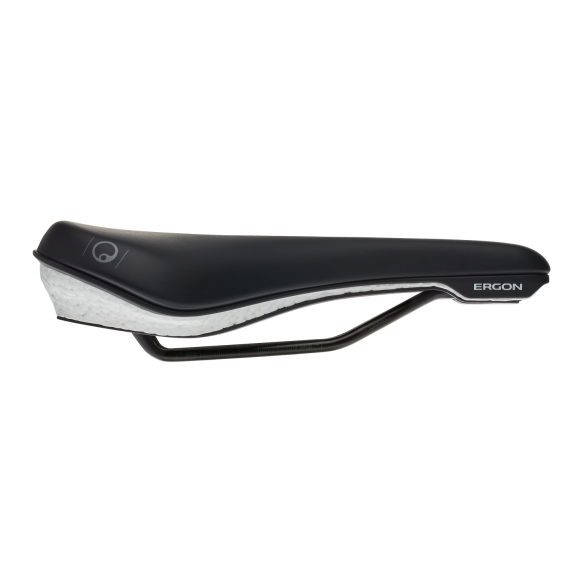 The new SR Pro Men has a ﬂat contour, yet still is comfortably padded. 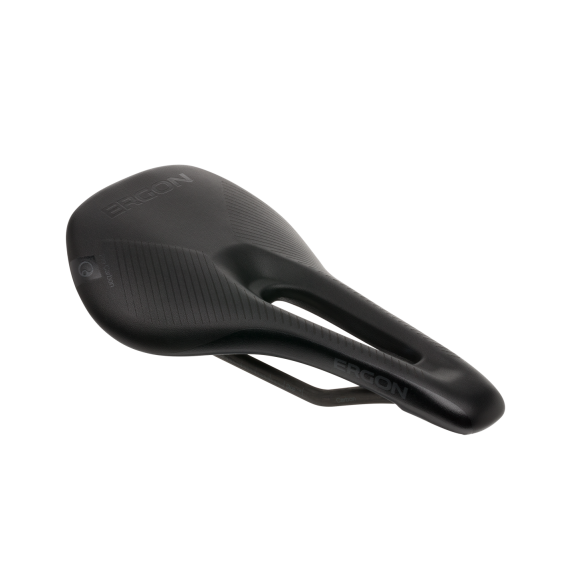 The overall shape and the relief channel with its deep cut-out perfectly match the male anatomy in a low, forward tilted riding position typical for road biking. 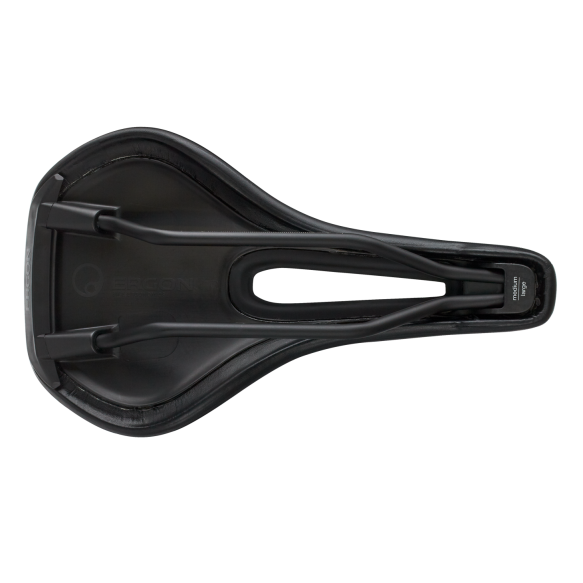 The highly sensitive perineal area is effectively unloaded, preventing any discomfort. 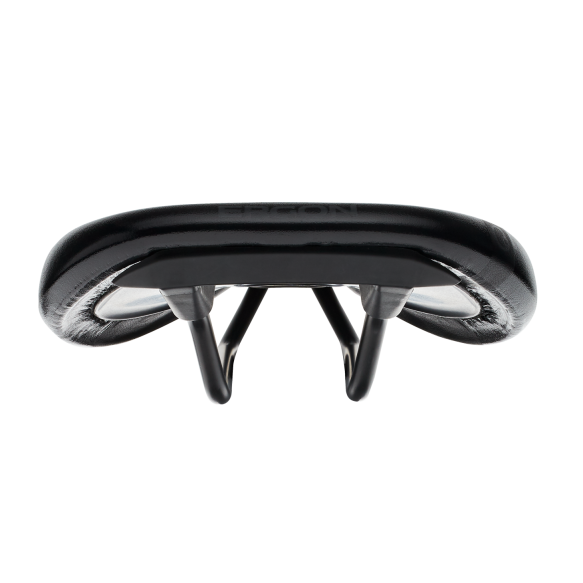 OrthoCell®-Inlays in the seating area generate the best possible pressure distribution – the innovative OrthoCell® material ensures maximum reset forces and is also more durable and lighter than gel. 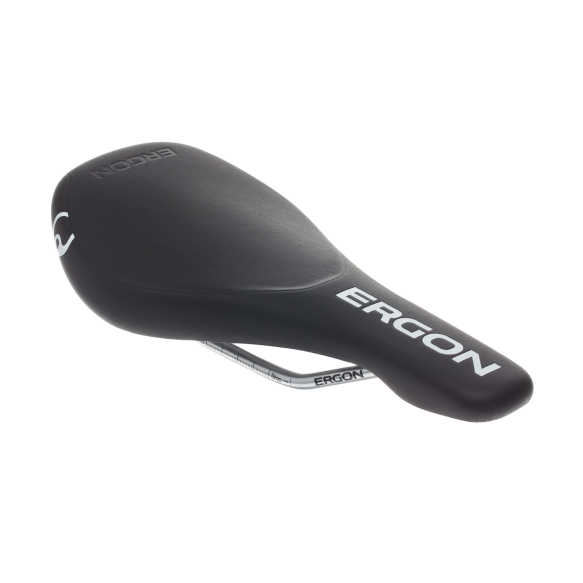 Finally you can get more comfort on a road bike. The new SR Pro Men has a ﬂat contour, yet still is comfortably padded. 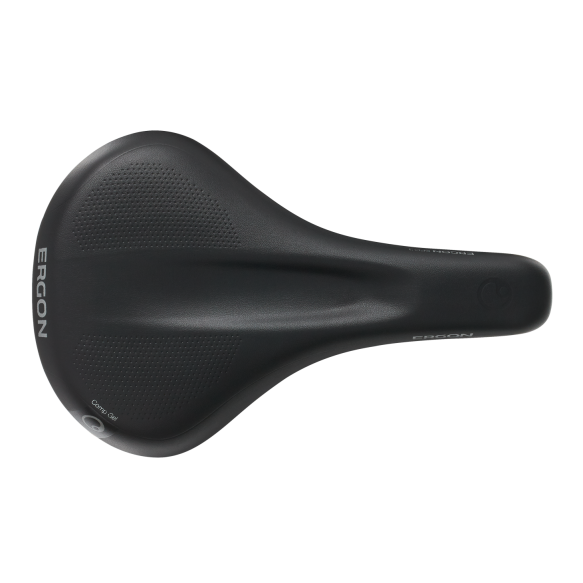 The overall shape and the relief channel with its deep cut-out perfectly match the male anatomy in a low, forward tilted riding posi-tion typical for road biking. The highly sensitive perineal area is effectively unloaded, preventing any discomfort. 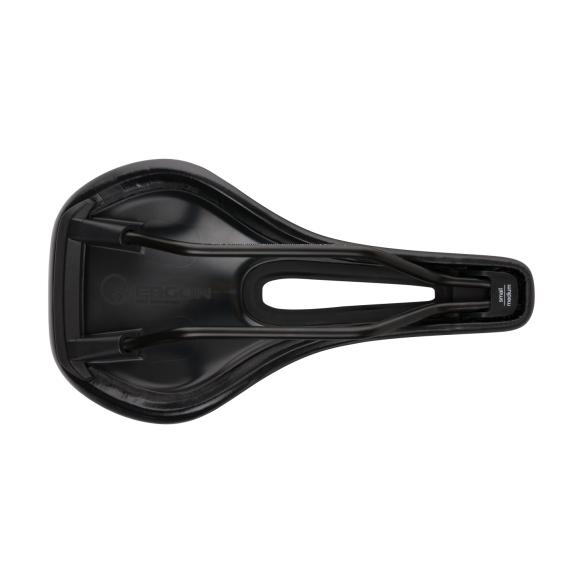 OrthoCell®-Inlays in the seating area generate the best possible pressure distribution – the innovative OrthoCell® material ensures maximum reset forces and is also more durable and lighter than gel. Ergonomics meet carbon: SR Pro Carbon Men. Flat contour, yet still comfortably padded. The overall shape and the relief channel with its deep cut-out perfectly match the male anatomy in a low, forward tilted riding position typical for road biking. The highly sensitive perineal area is effectively unloaded, preventing any discomfort. 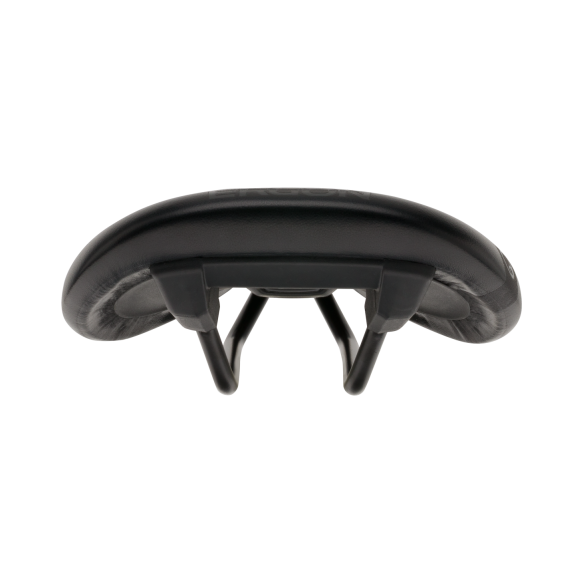 OrthoCell®-Inlays in the seating area generate the best possible pressure distribution – the innovative OrthoCell® material ensures maximum reset forces and is also more durable and lighter than gel. 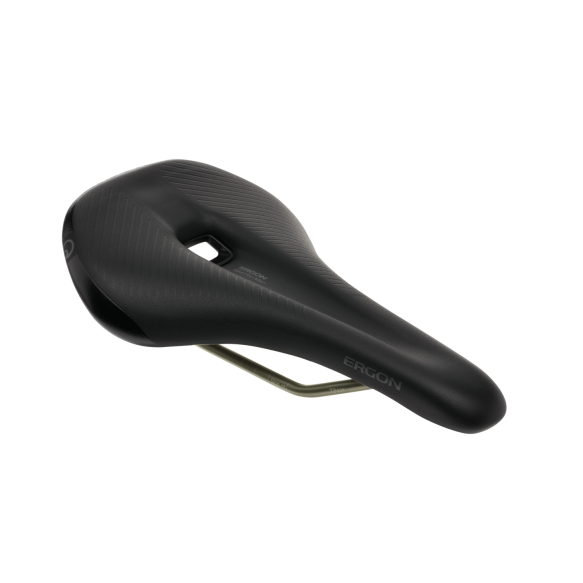 Lightweight version with carbon rails and carbon composite saddle shell – only 175 grams (size S/M). 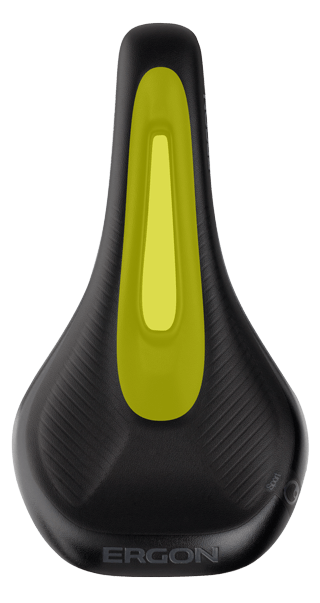 Men's health in focus. 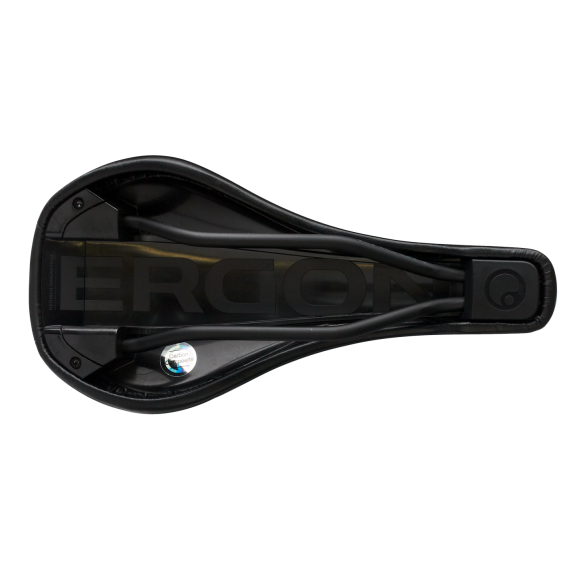 The SR Men series provides effective relief for the extremely sensitive male perineum area. Riding in comfort, with no pressure peaks or hot spots. The surface design closely follows the female anatomy and eliminates pressure on the genital area, effectively preventing discomfort. 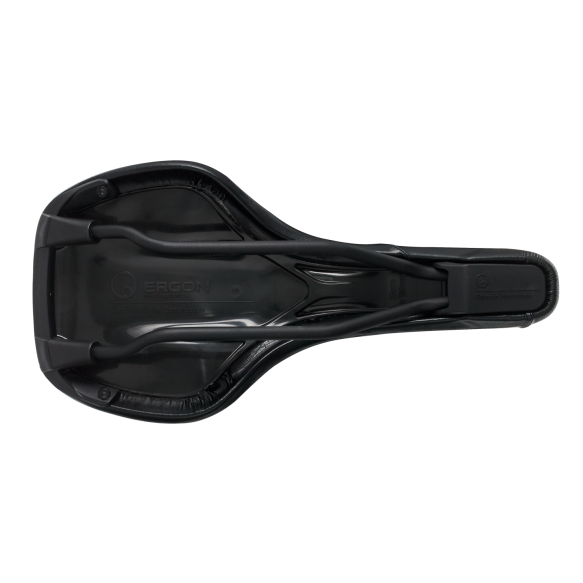 Sensations of numbness are prevented and the addition of gel pads under the sit bones increases riding comfort even further. 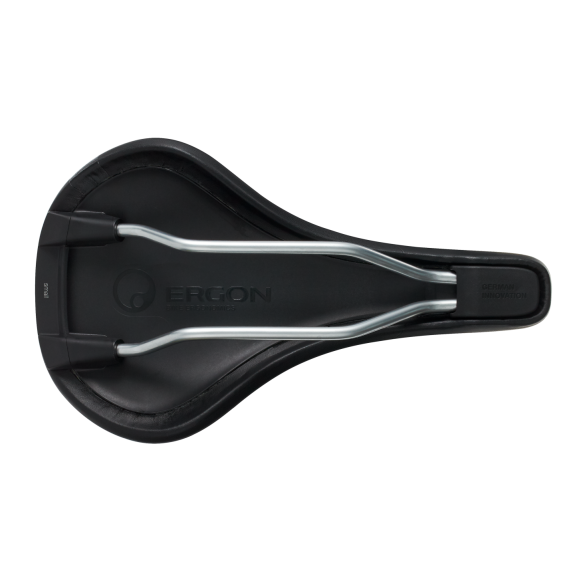 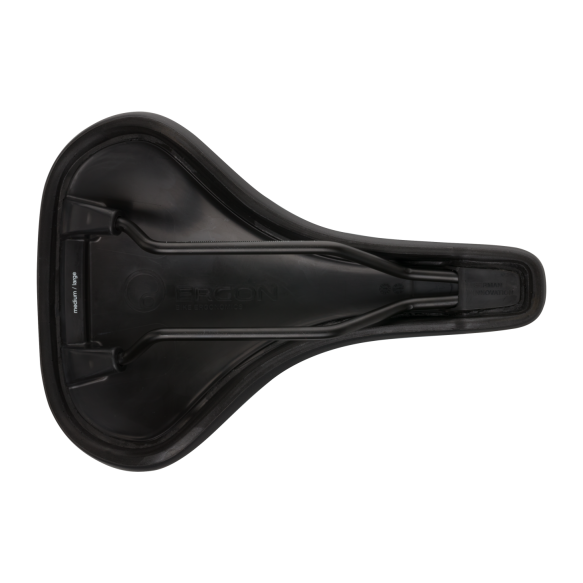 The soft side transition prevents localized pressure around the saddle’s edges, while the generous sitting area reduces hot spots and distributes the pressure optimally to the sit and pubic bones – even without padded cycling shorts. In addition to the construction of the saddle, the gender speciﬁc form of the seating area is also brand new. In the genital area, men and women differentiate strongly. 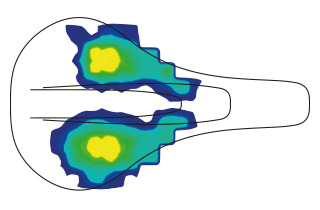 It is most often in this area that pressure points lead to numbness and difﬁculties while riding. Ergon has designed the relief surfaces using the latest scientiﬁc research and extensive testing. 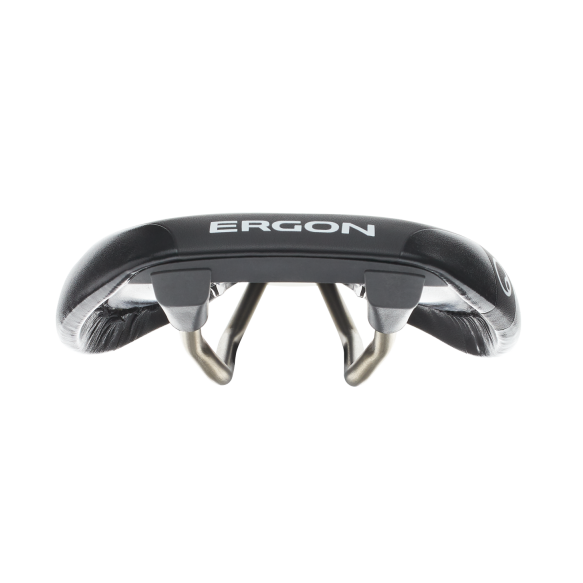 The results are gender speciﬁc shapes and relief channels – creating maximum comfort for women and men. 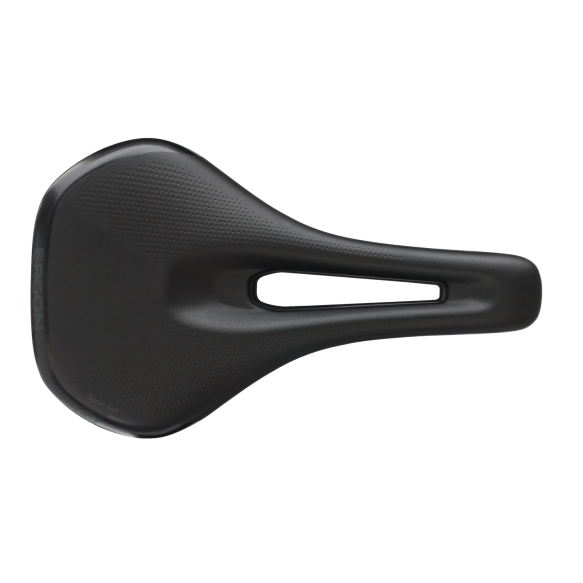 In the genital area, men and women differentiate strongly. 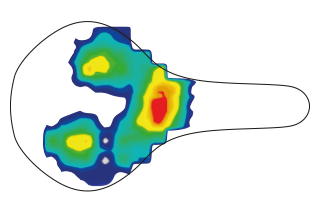 It is most often in this area that pressure points lead to numbness and difficulties while riding. 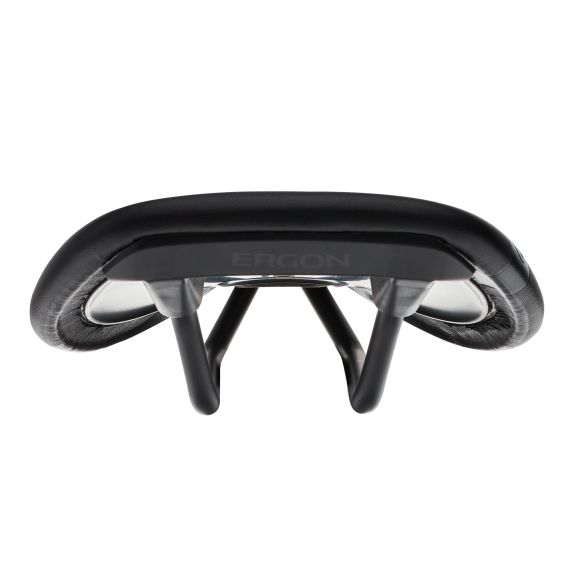 The touring saddle with the extra comfort of gel pad inserts. The design, with its generous relief channel, suits the male anatomy and eliminates pressure on the sensitive perineal area while effectively preventing discomfort. Sensations of numbness are prevented, riding comfort is enhanced and pressure is ideally distributed to the sit bones – even without padded cycling shorts. Extra comfort for long tours. 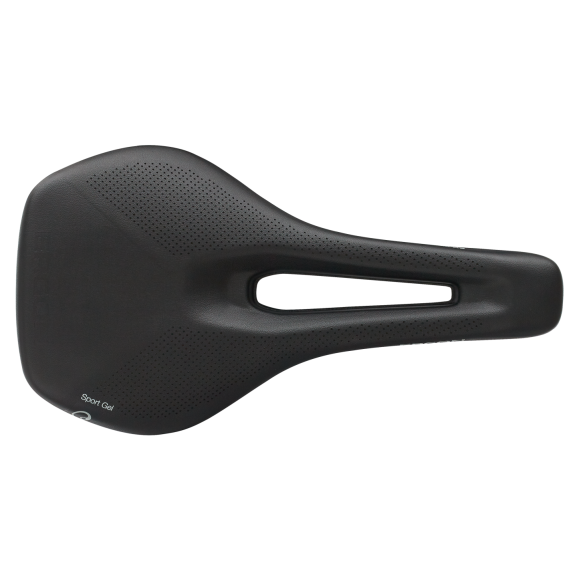 The surface design adapted to the male and female anatomy prevents numbness and seated discomfort. 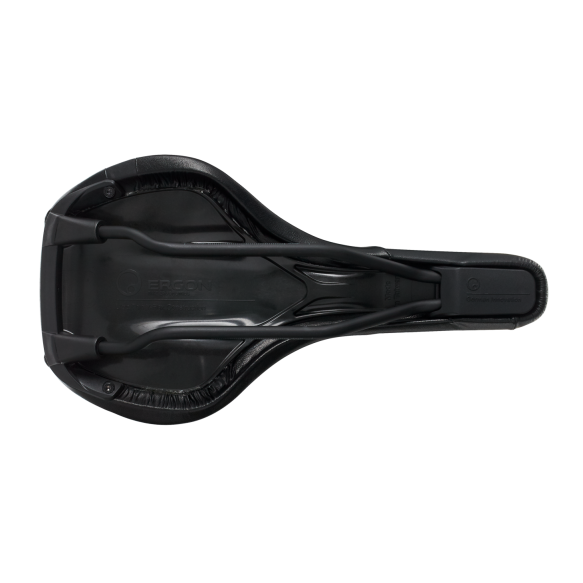 The SMC4 offers the most comfort and relief for touring riders and mountain bikers. 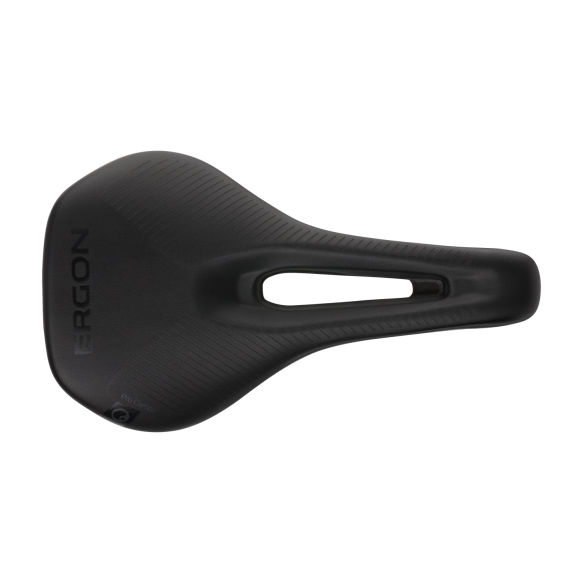 Numbness is diminished or prevented through the soft and deep padding. 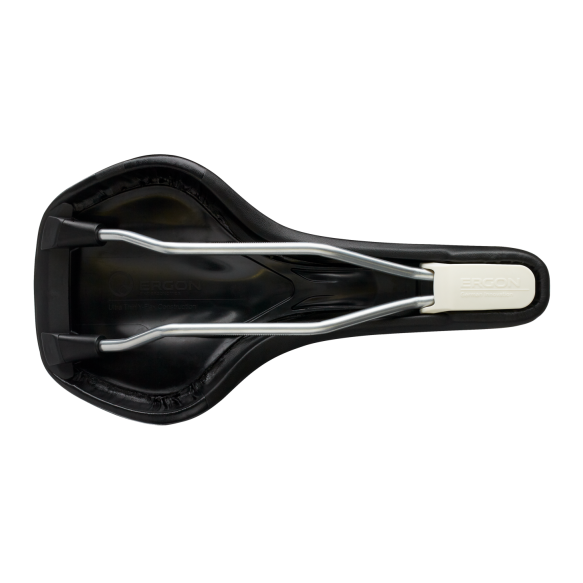 The 9mm relief channel offers maximum pressure relief for the perineal area. 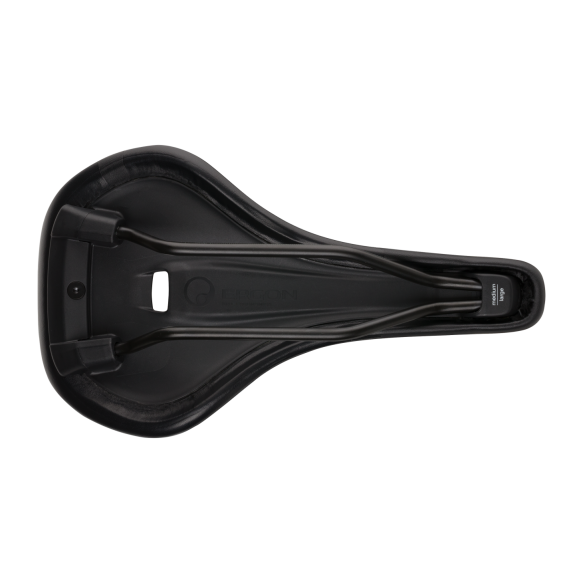 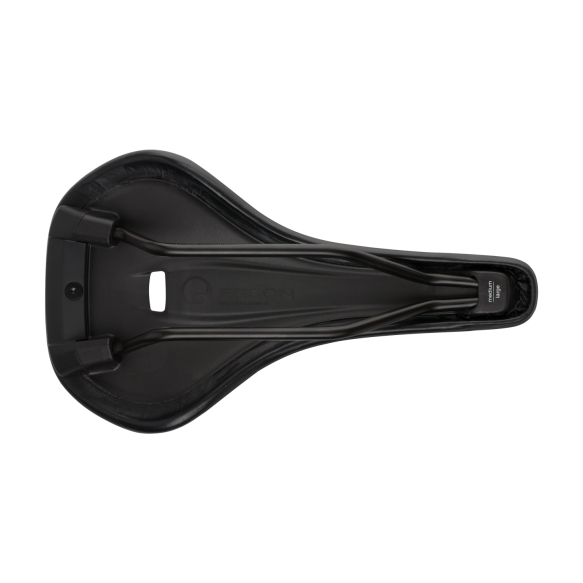 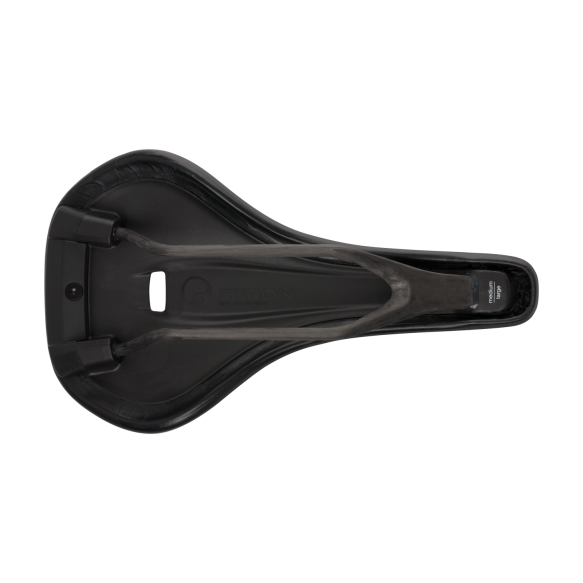 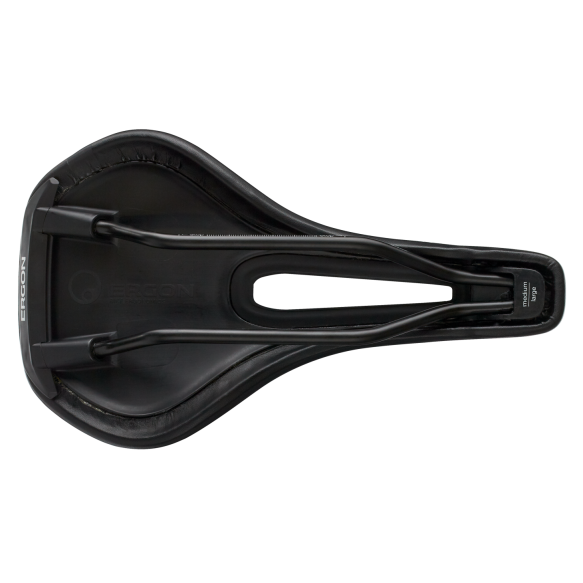 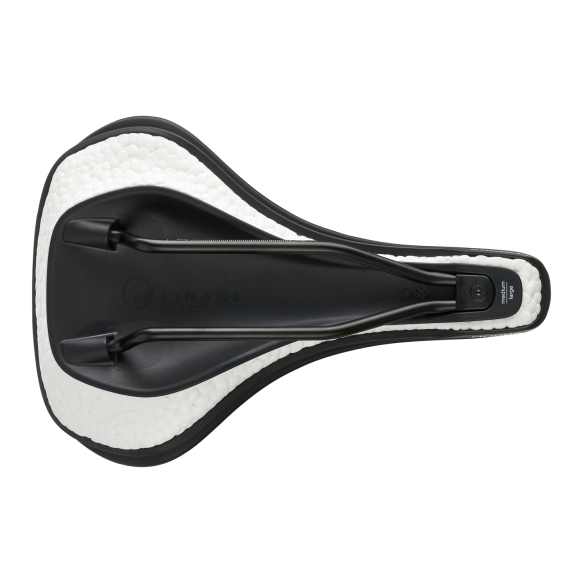 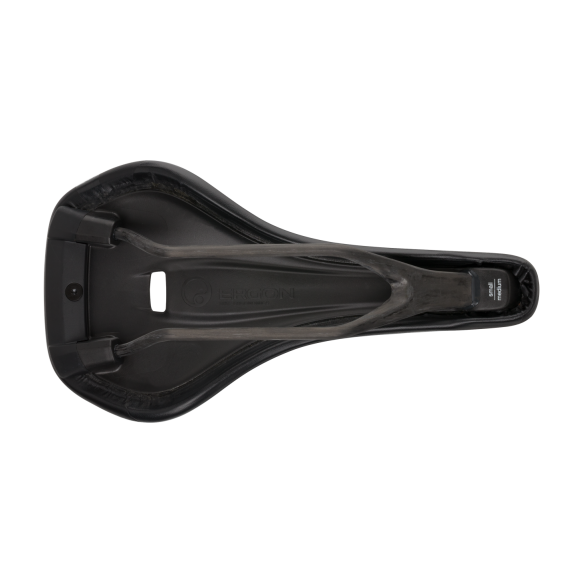 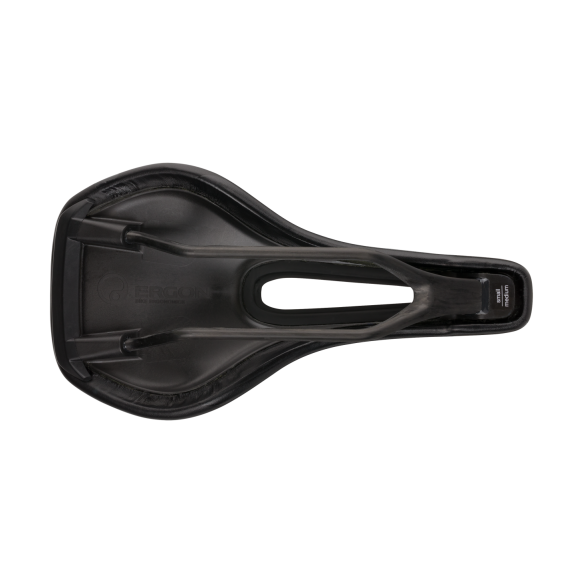 The large sitting area of the saddle effectively reduces pressure points, distributing the pressure equally across the sit bones. Unlike step-saddles, the flat seating surface of the SMC4 enables dynamic sitting positions. 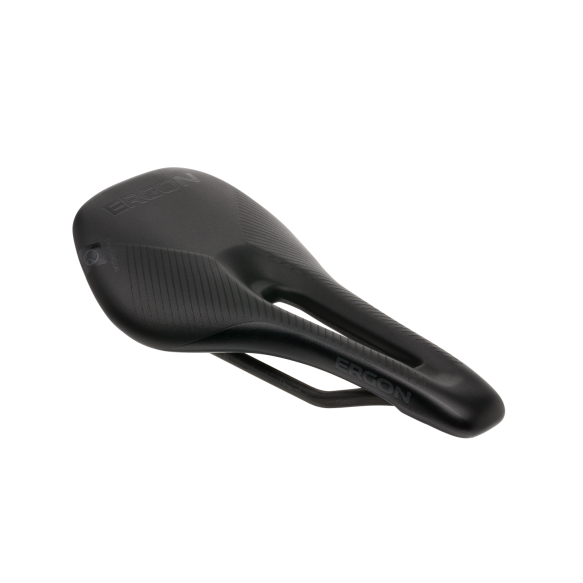 Cyclist in a sporty position naturally have their pelvis rocked forward on the saddle. The result is more pressure to the pubic bone. 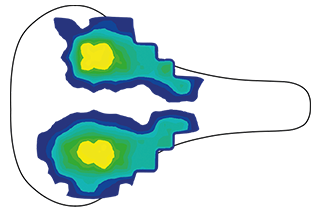 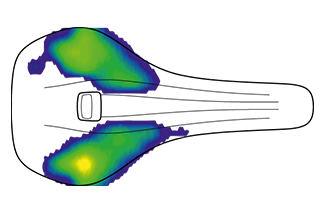 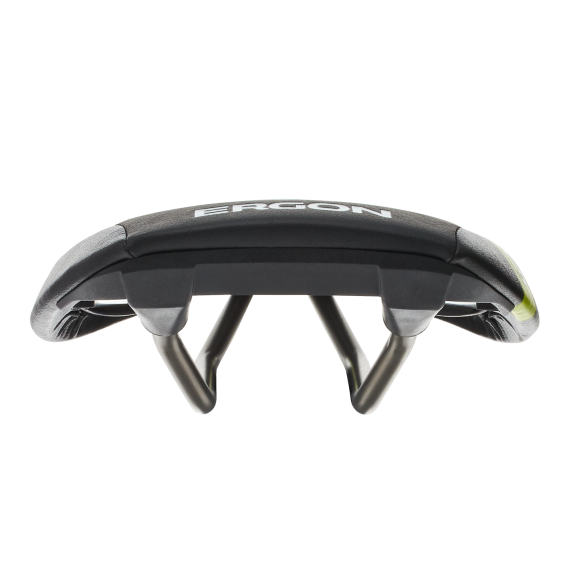 Ergon saddles take this into account and the result is large area pressure distribution without pressure points. 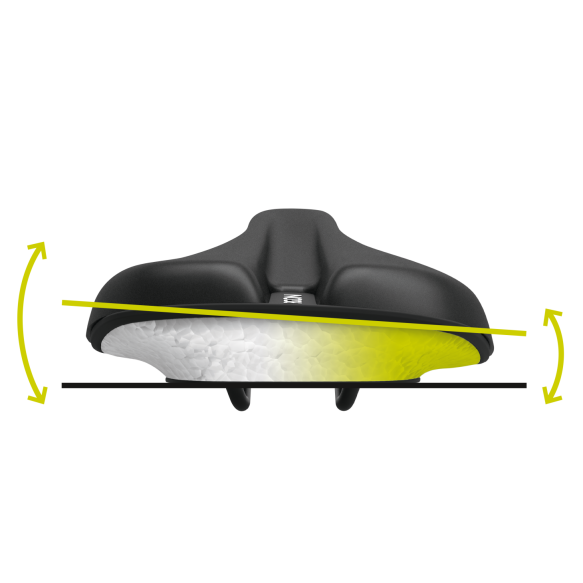 Optimal pressure distribution for effective relief and protection of the soft-tissue area. 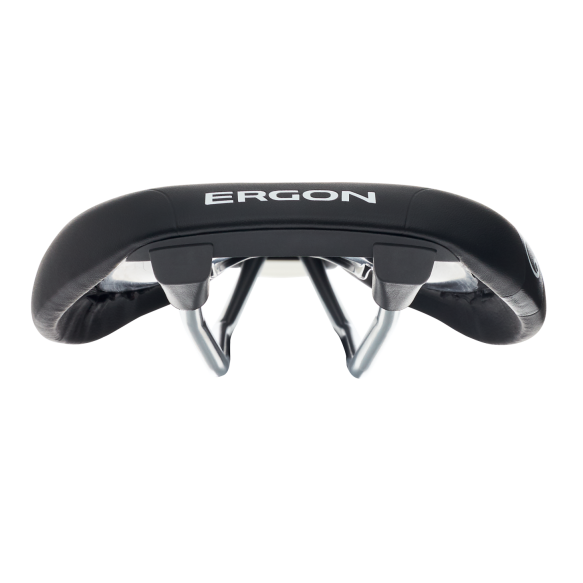 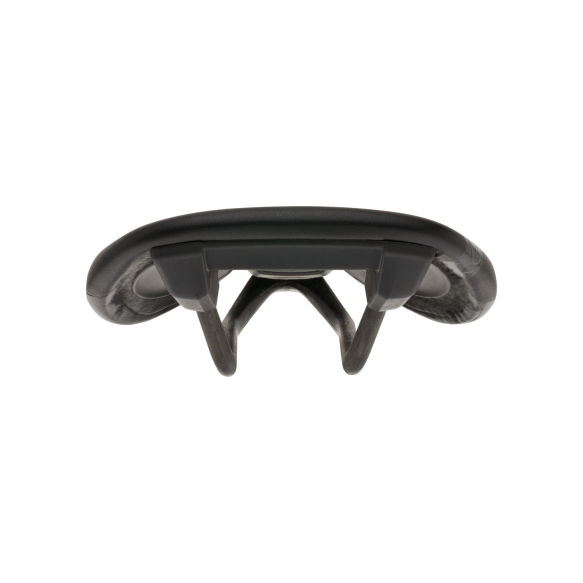 Extra comfort is delivered by large surface gel pads that move with the sitbones during pedaling. 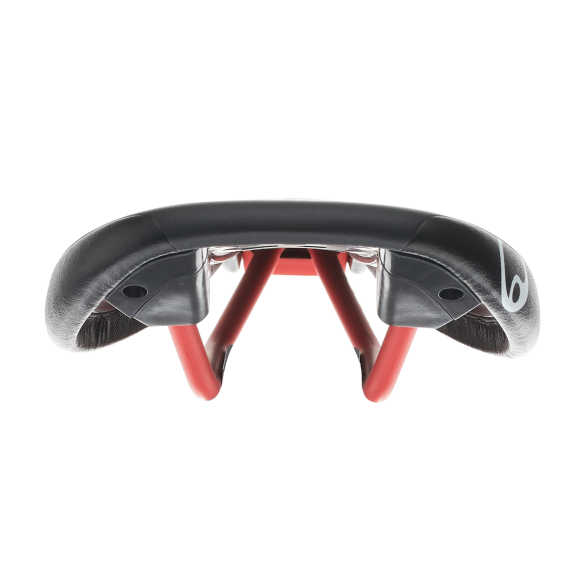 The lightweight and top of the line SMC4 models aimed at touring riders and mountain bikers. Thanks to the additon of broad gel pads, even more rider comfort and pressure relief is possible. 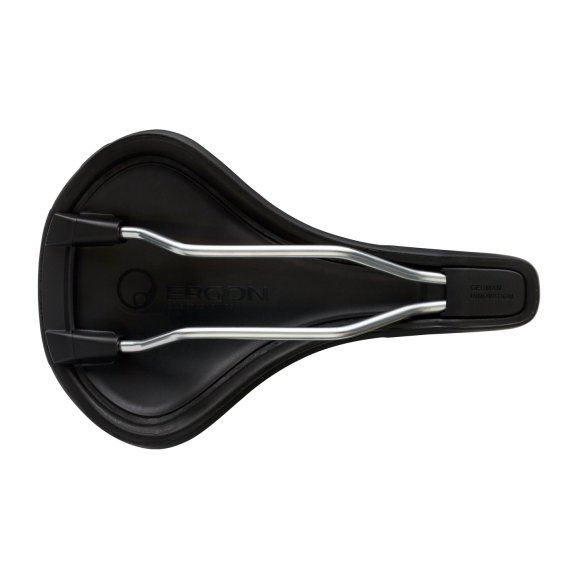 The 9mm relief channel offers maximum pressure relief for the perineal area. The large sitting area of the saddle effectively reduces pressure points, distributing the pressure equally across the sit bones. 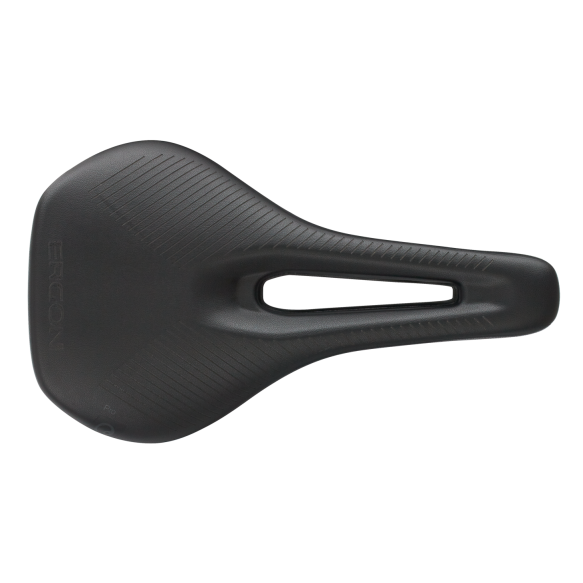 Unlike step-saddles, the flat seating surface of the SMC4 enables dynamic sitting positions. 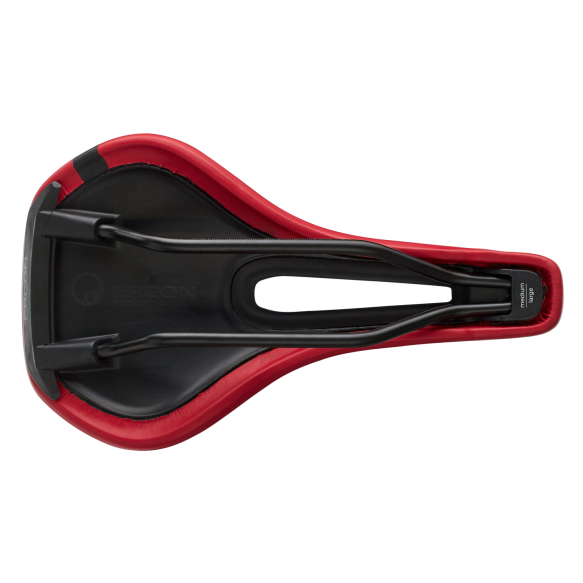 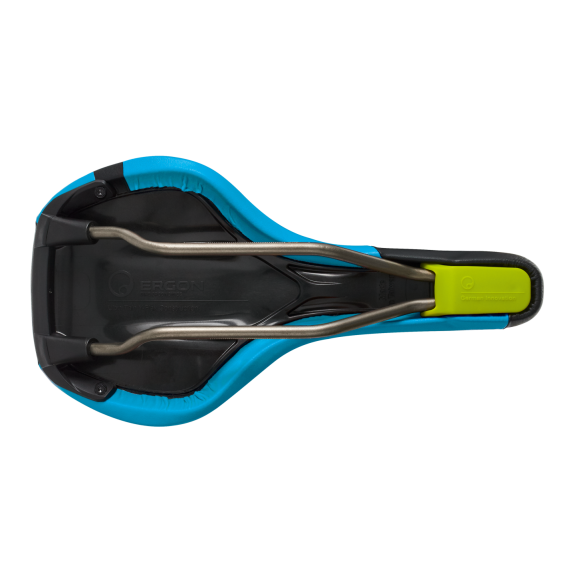 Core Comfort -The ergonomic focus is on maximizing rider comfort and relief of the soft tissue areas of mountain bikers. Saddle ergonomics in every detail. The flawless road bike saddle for women. Flat but still comfortably padded. Shape and relief exactly fit the female anatomy in the typical racing-related sitting position. 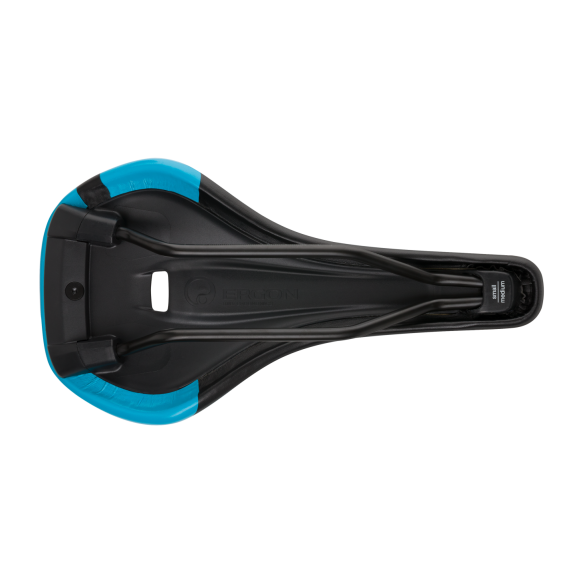 The genital and seating areas are noticeably relieved by means of large gel pads. 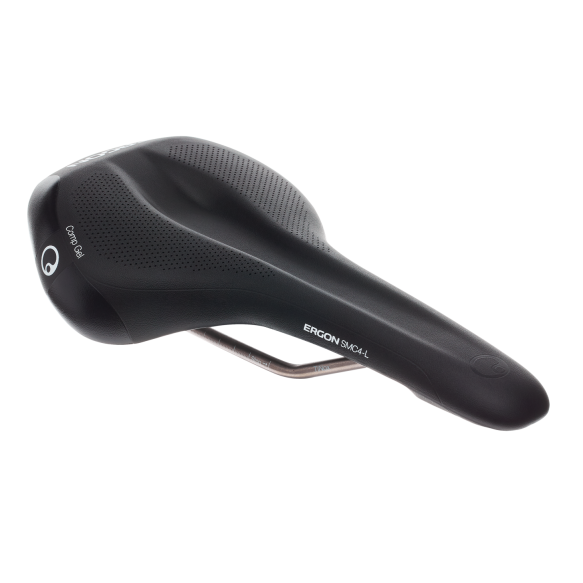 It could not be better – The choice of world champion Pauline Ferrand Prévot. Flat but still comfortably padded. 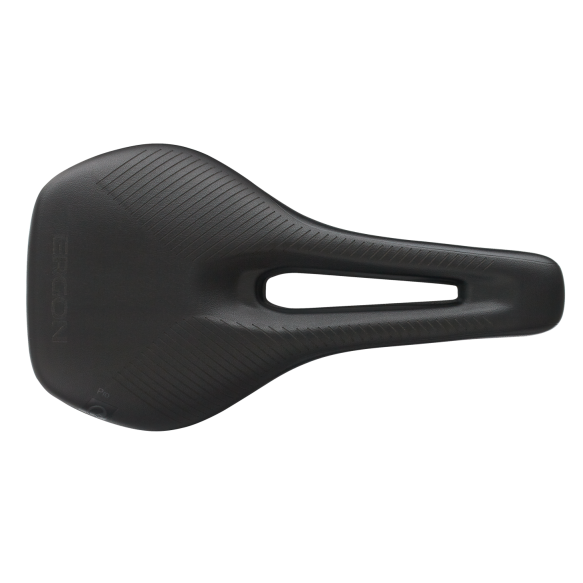 Shape and relief exactly fit the female anatomy in the typical racing-related sitting position. 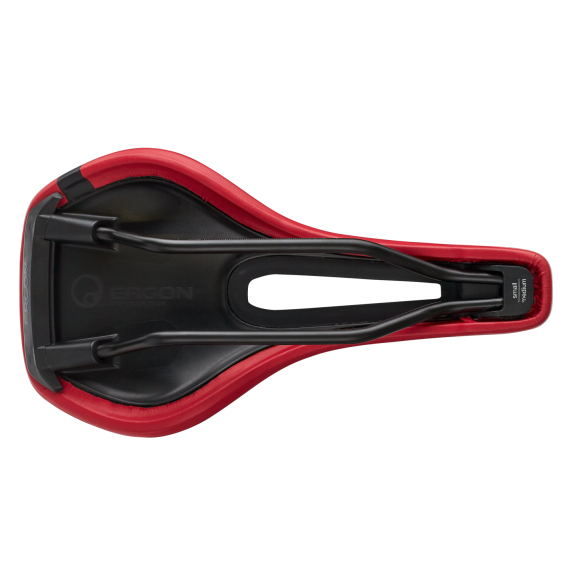 OrthoCell® inlays in the genital and sitting area provide optimum pressure distribution – the innovative OrthoCell® material ensures maximum reset force and is also more durable and lighter than gel. 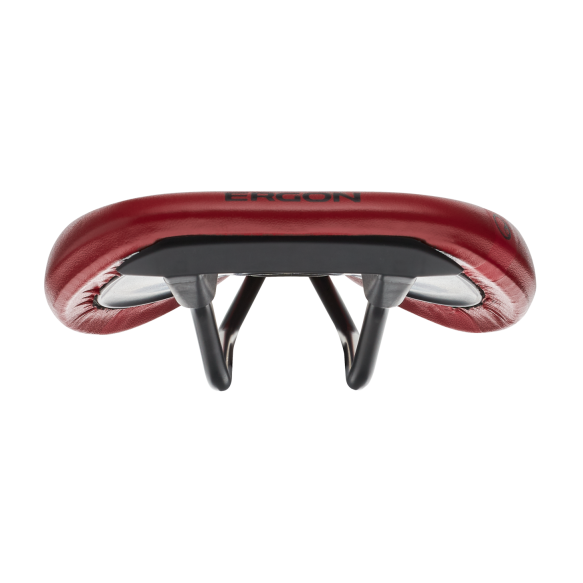 Sliding flanks help reduce friction when pedaling. It could not be better – The choice of world champion Pauline Ferrand Prévot. Flat but still comfortably padded. Shape and relief exactly ﬁt the female anatomy in the typical racingrelated sitting position. OrthoCell® inlays in the genital and sitting area provide optimum pressure distribution – the innovative OrthoCell® material ensures maximum reset force and is also more durable and lighter than gel. Sliding ﬂanks help reduce friction when pedalling. 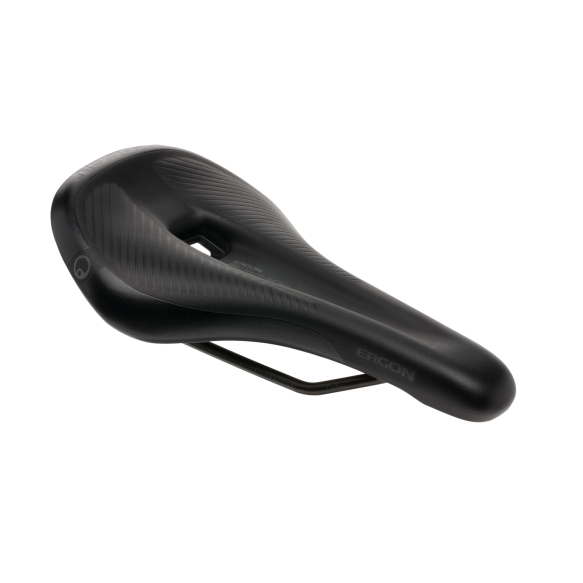 Lightweight version with carbon rail and carbon composite saddle shell – only 170 gram (Size S/M). Using world champion Pauline Ferrand Prévot’s Canyon//SRAM UCI women’s team, we managed,with the help of many workshops and training camps, to develop a new generation of saddles combining maximum comfort with 100% racing suitability.